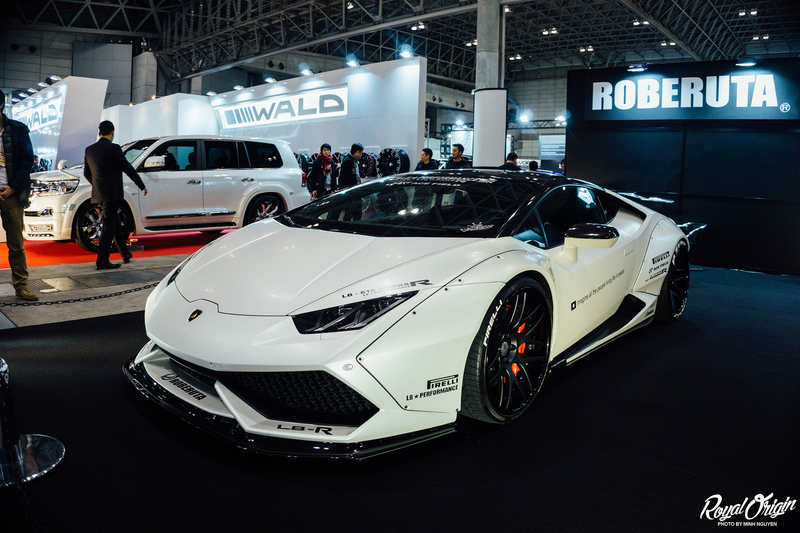 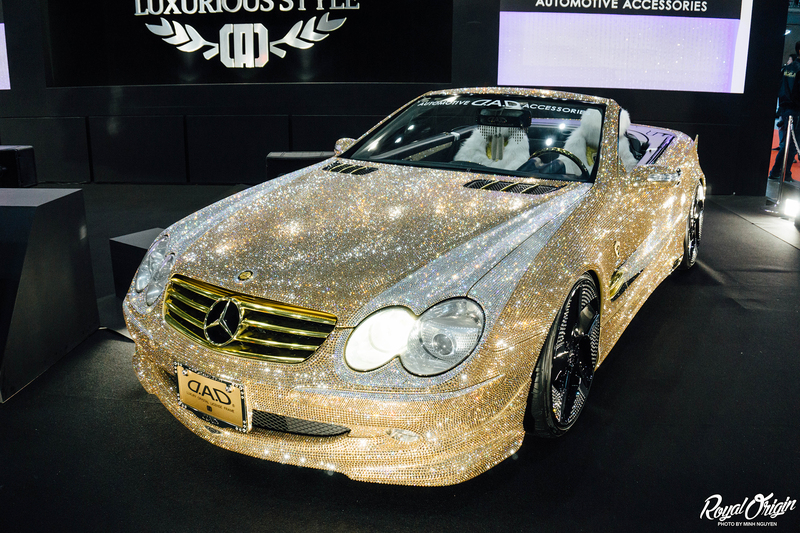 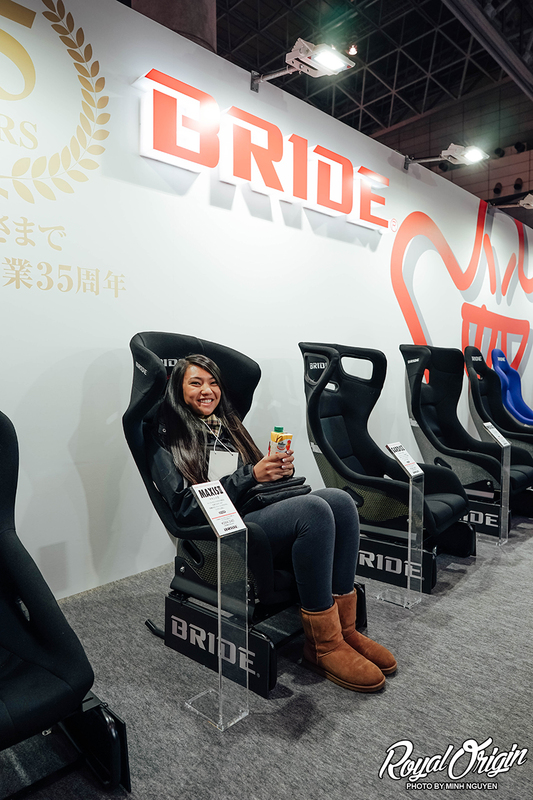 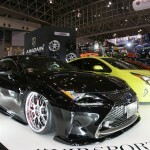 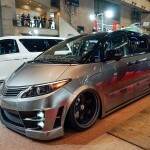 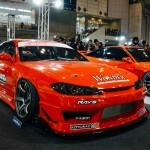 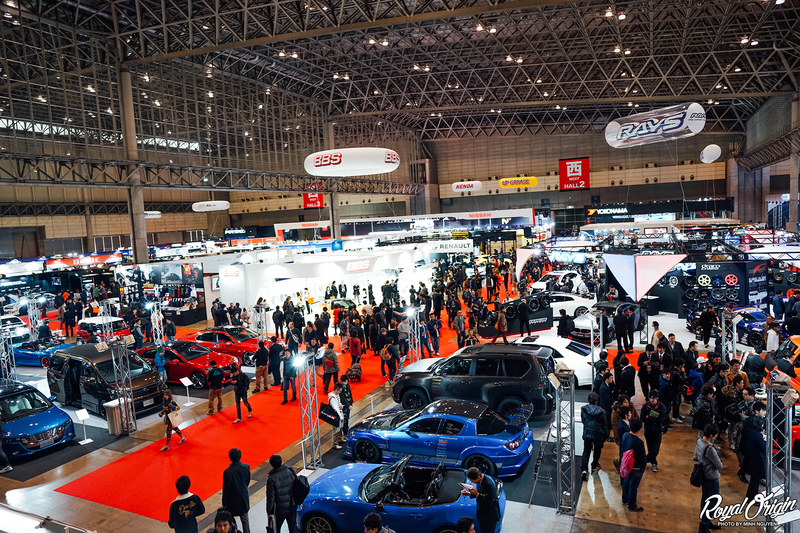 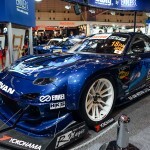 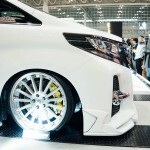 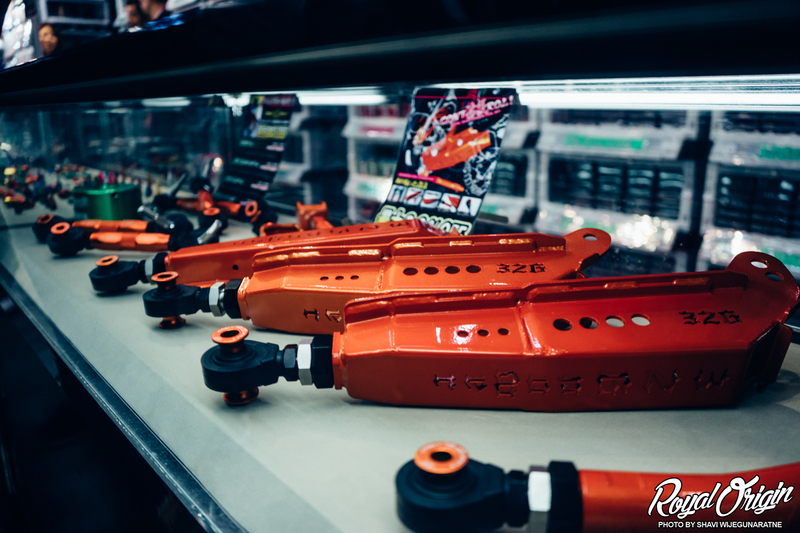 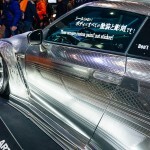 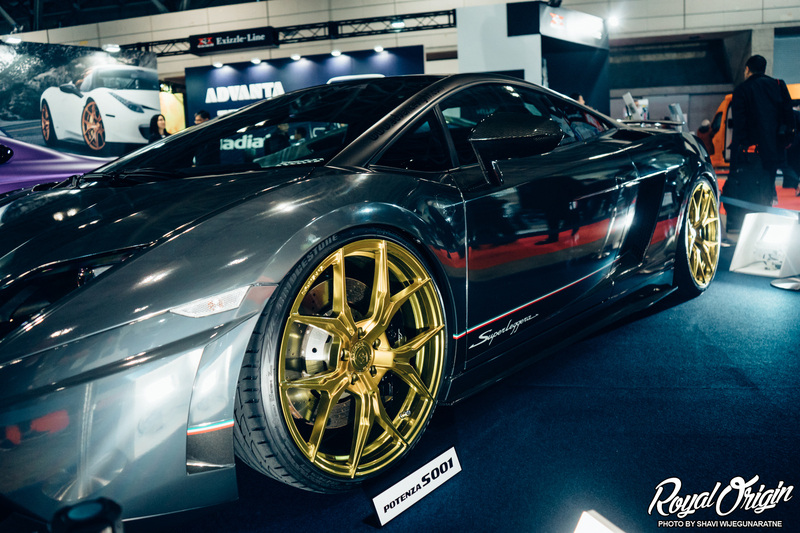 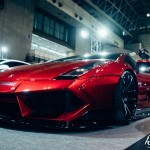 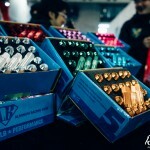 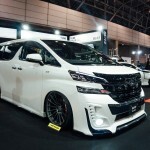 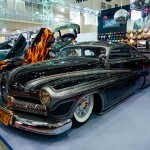 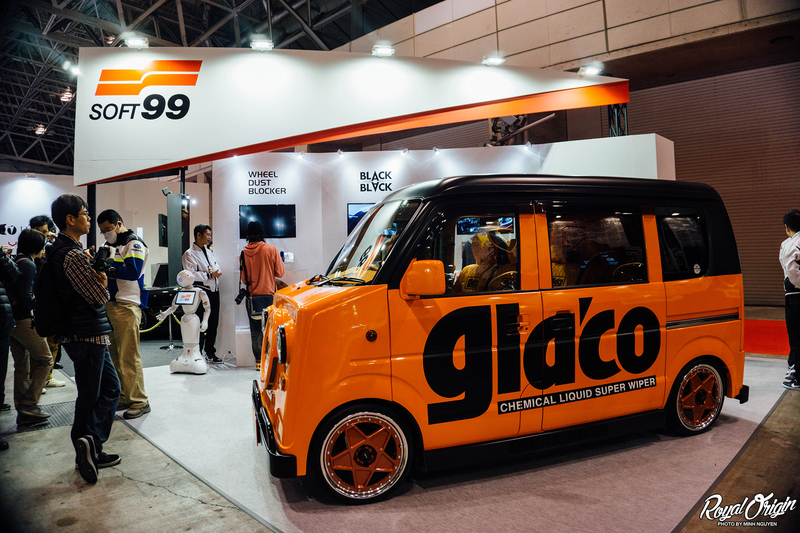 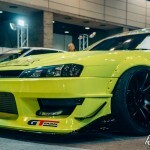 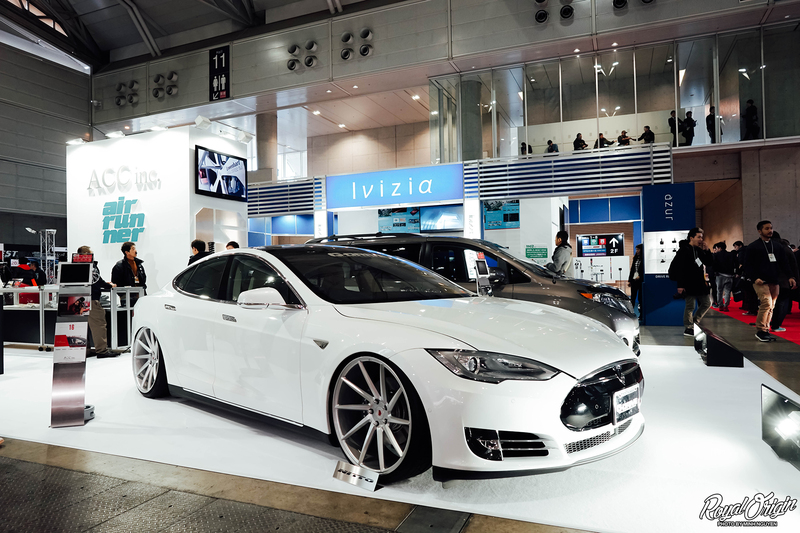 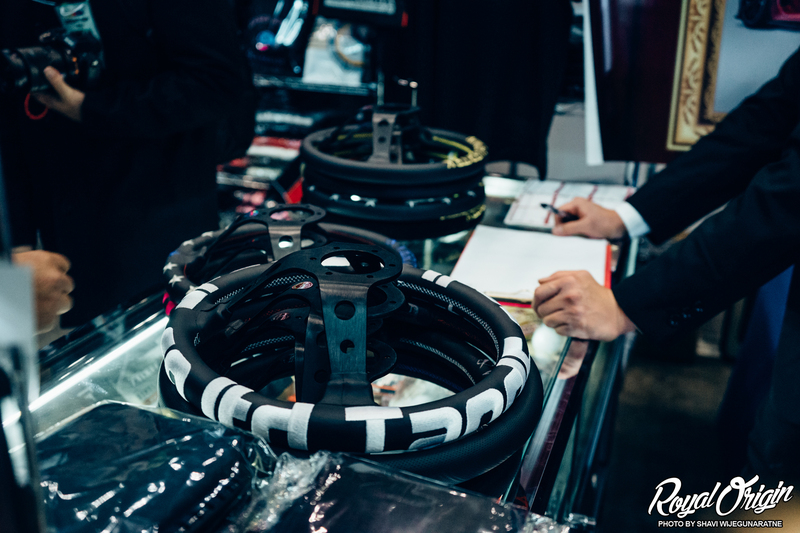 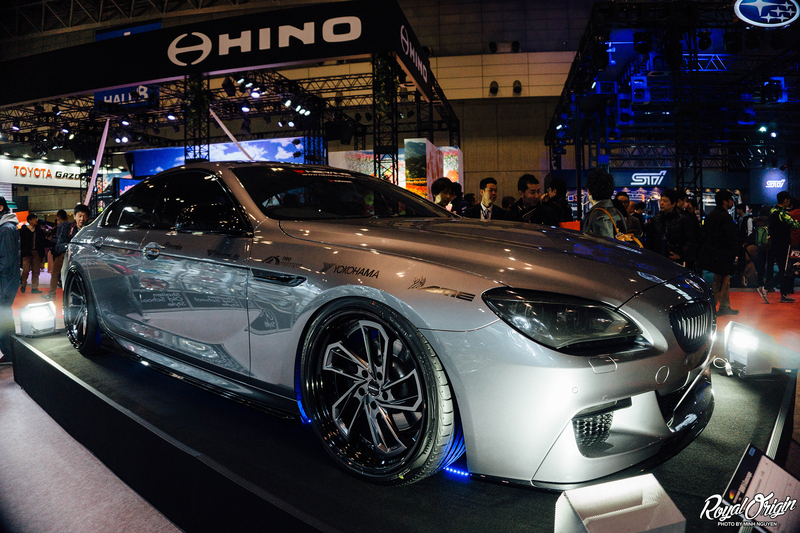 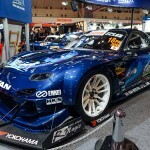 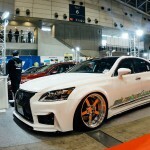 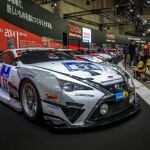 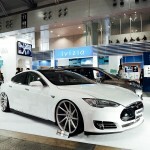 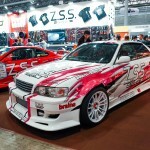 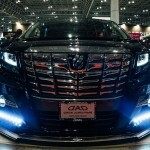 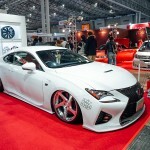 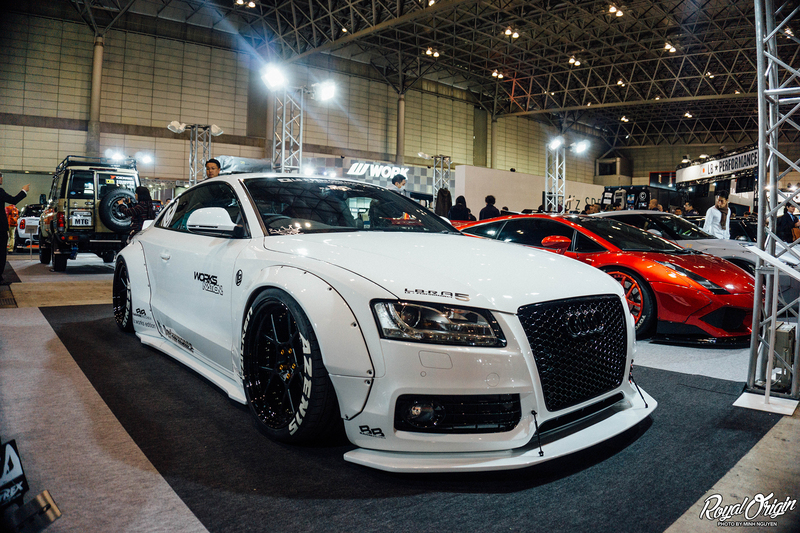 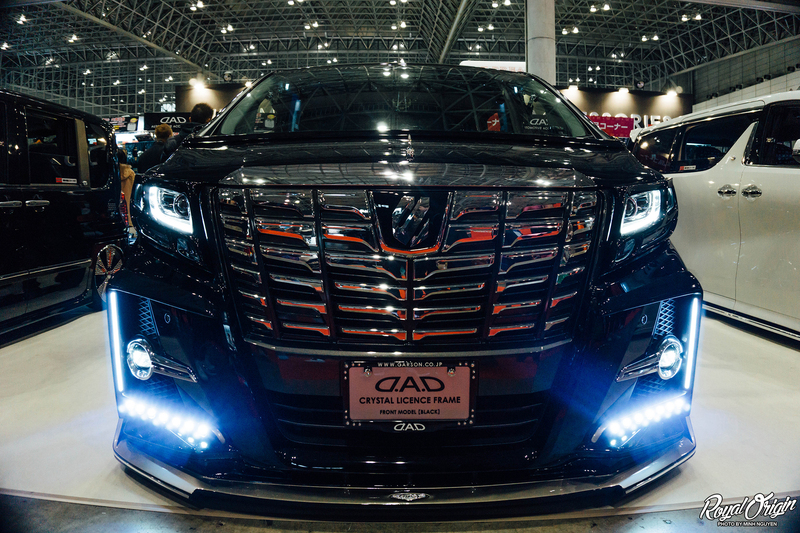 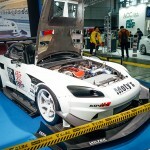 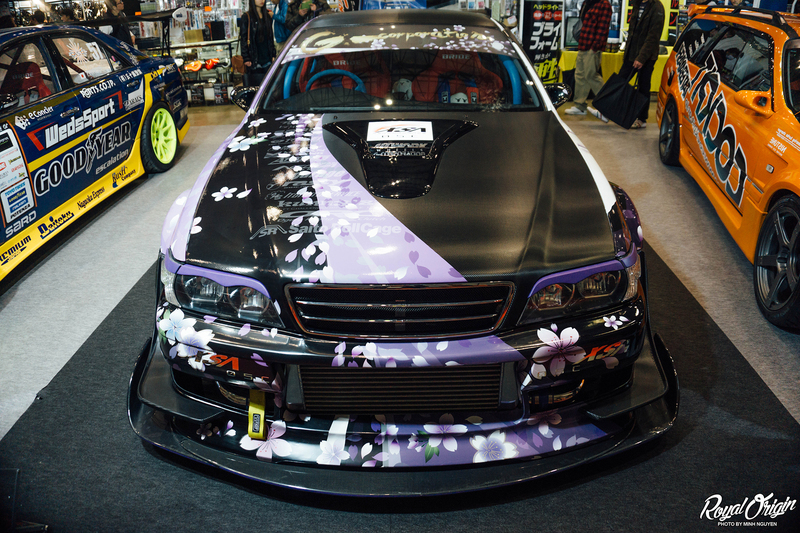 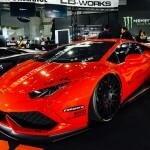 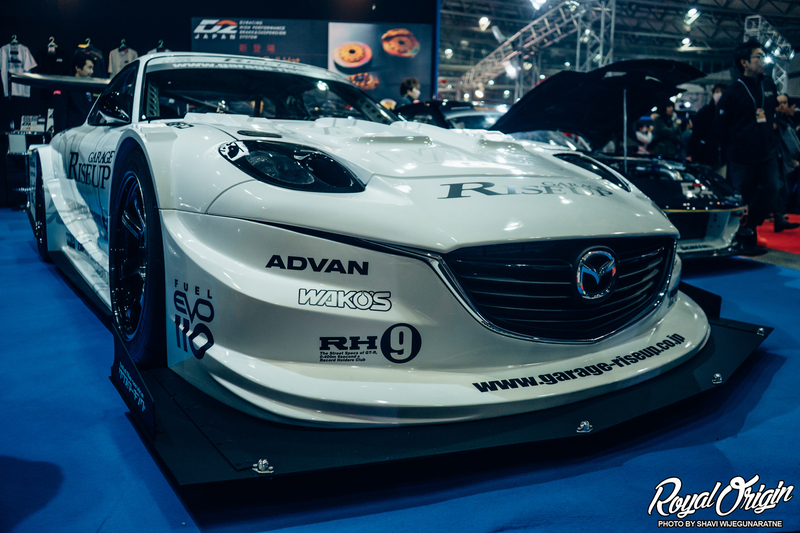 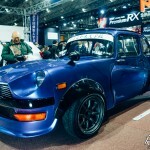 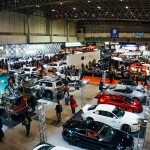 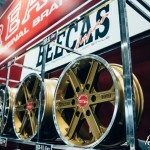 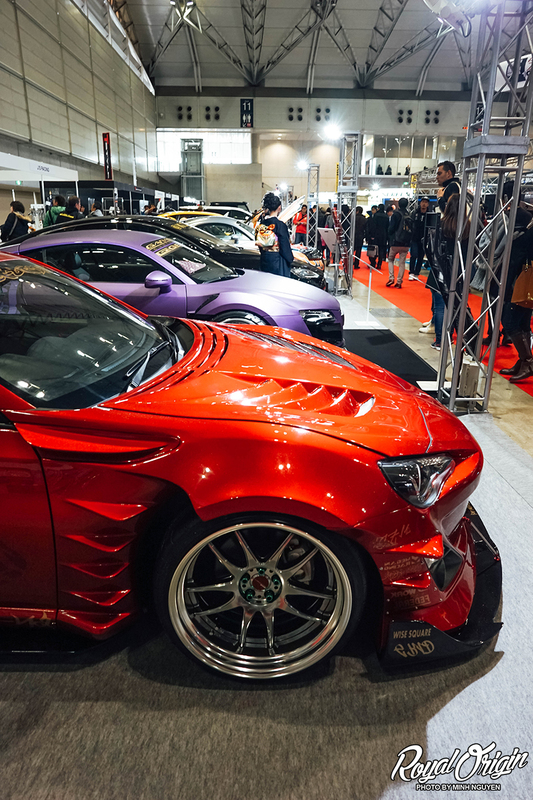 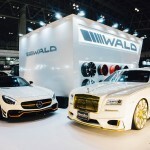 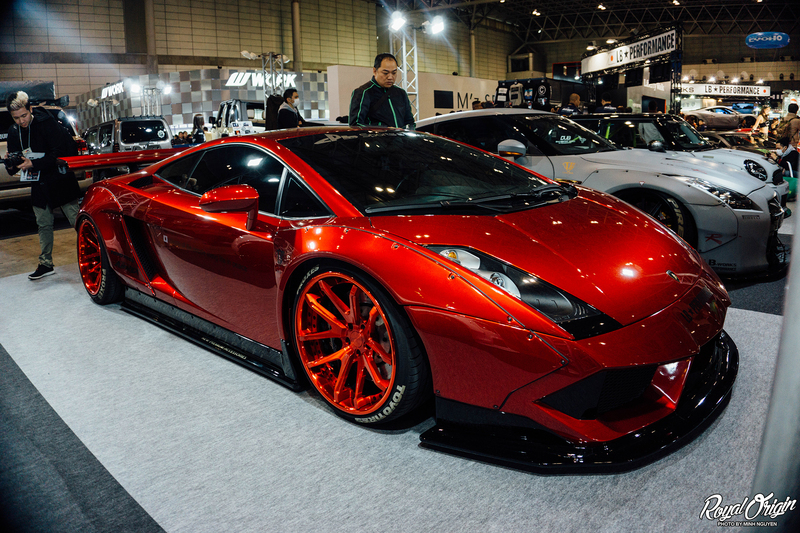 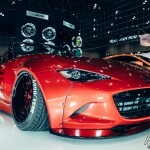 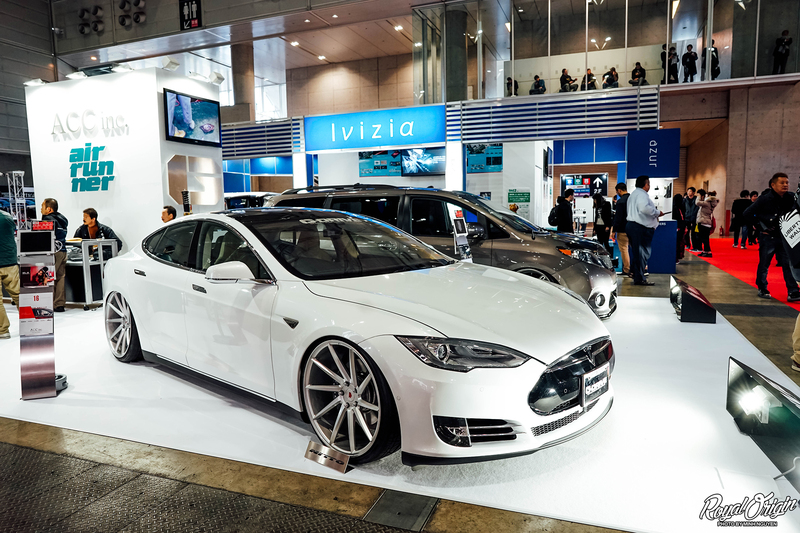 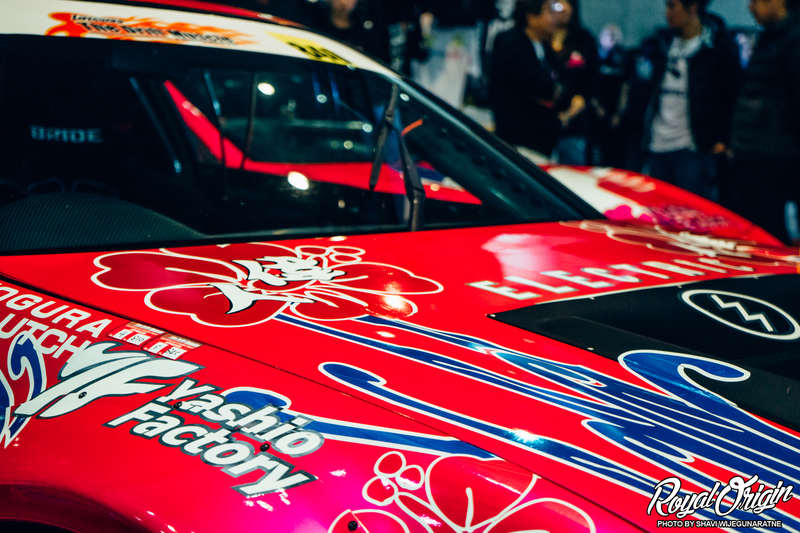 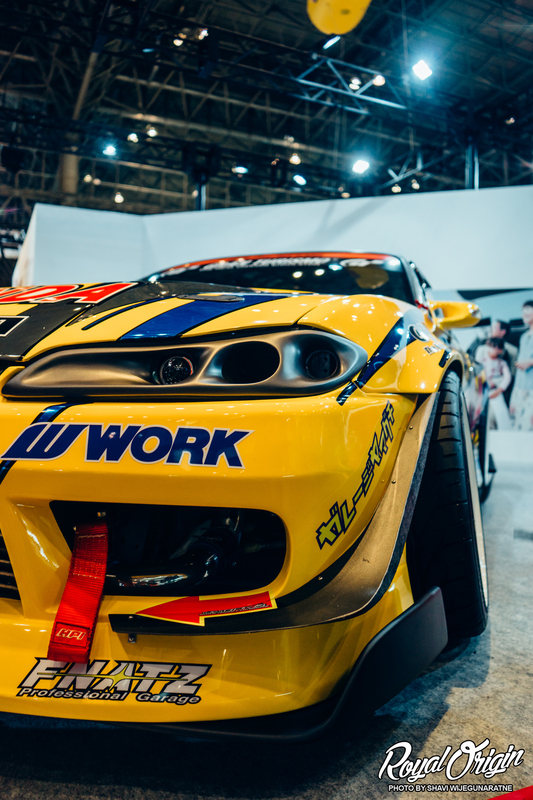 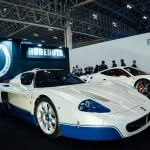 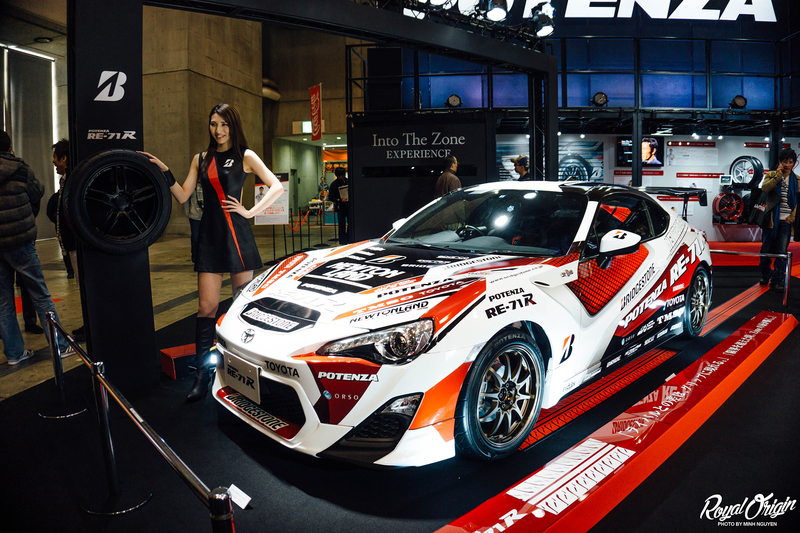 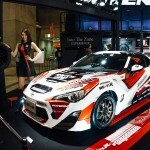 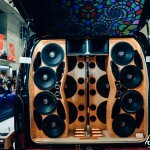 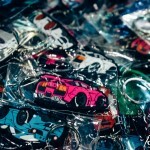 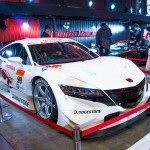 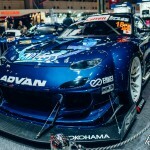 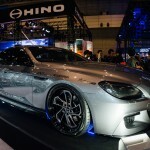 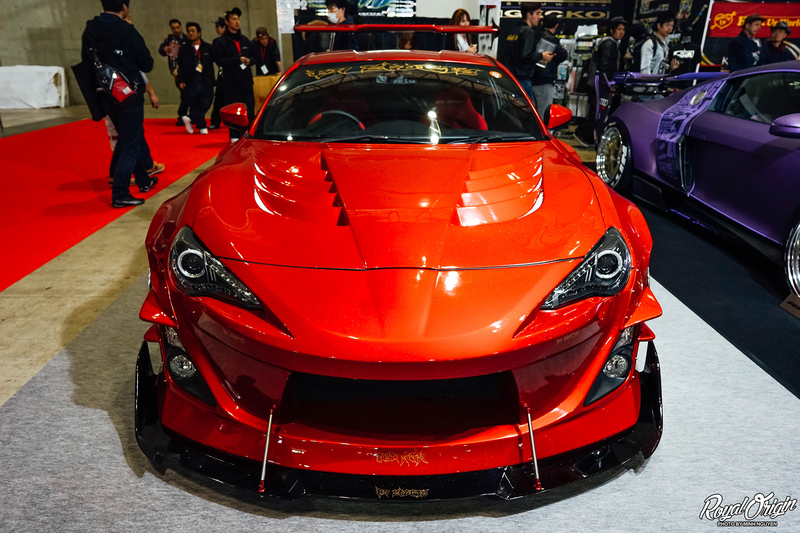 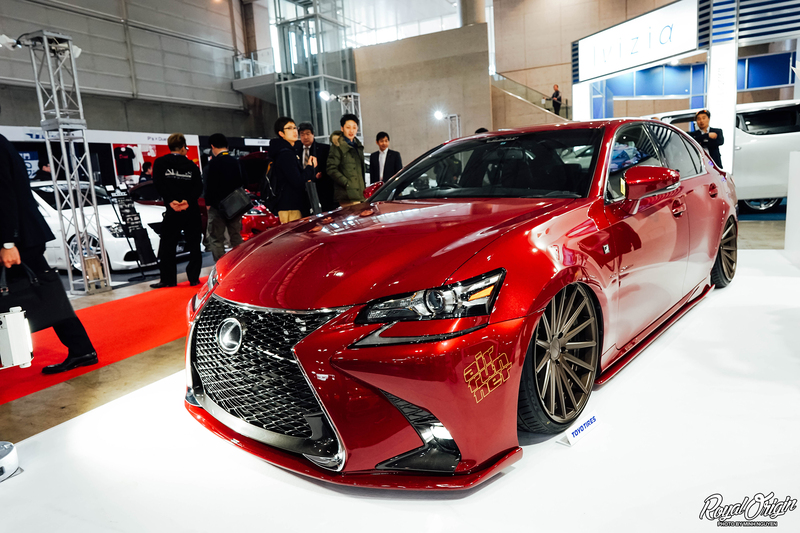 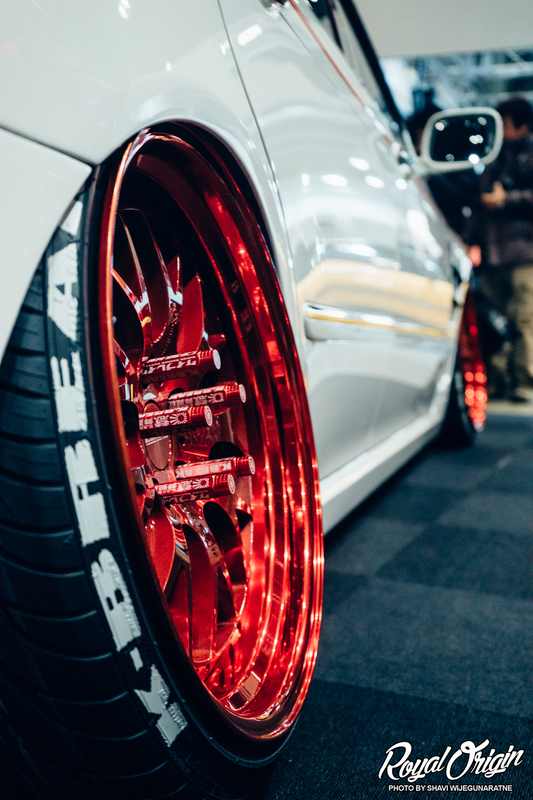 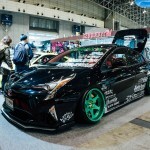 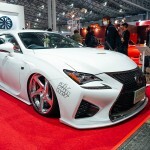 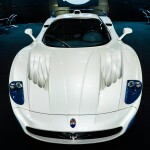 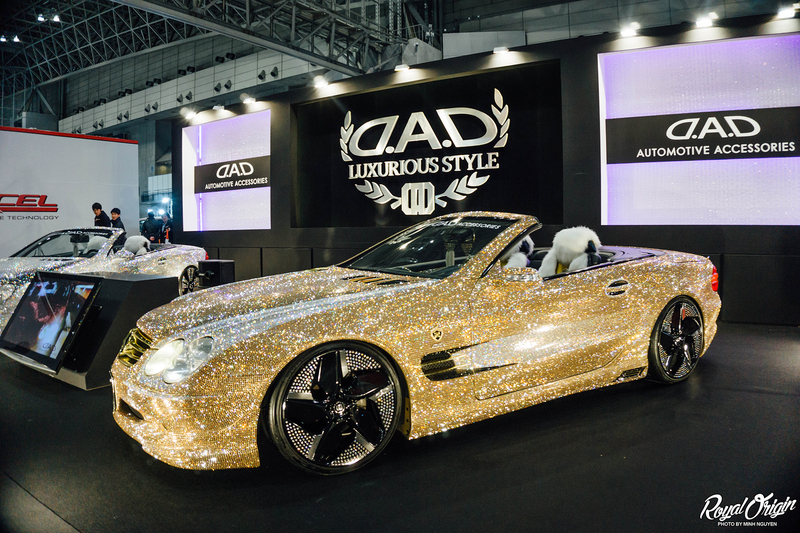 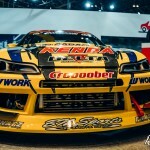 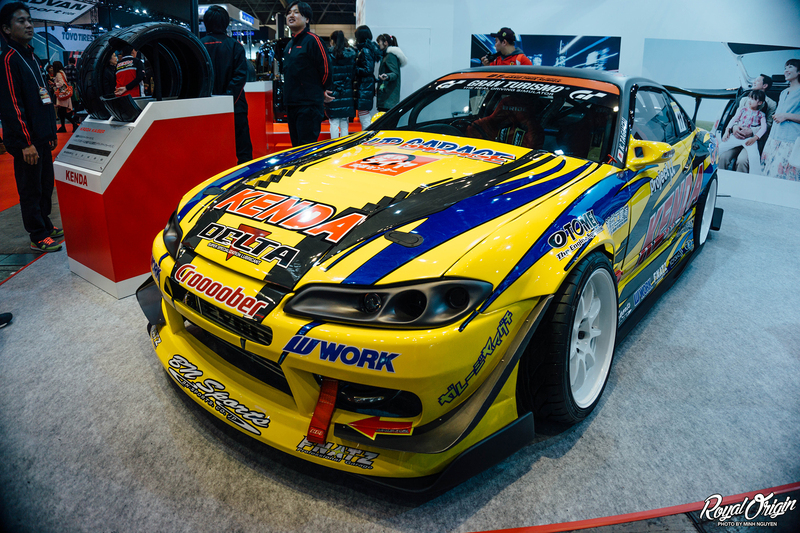 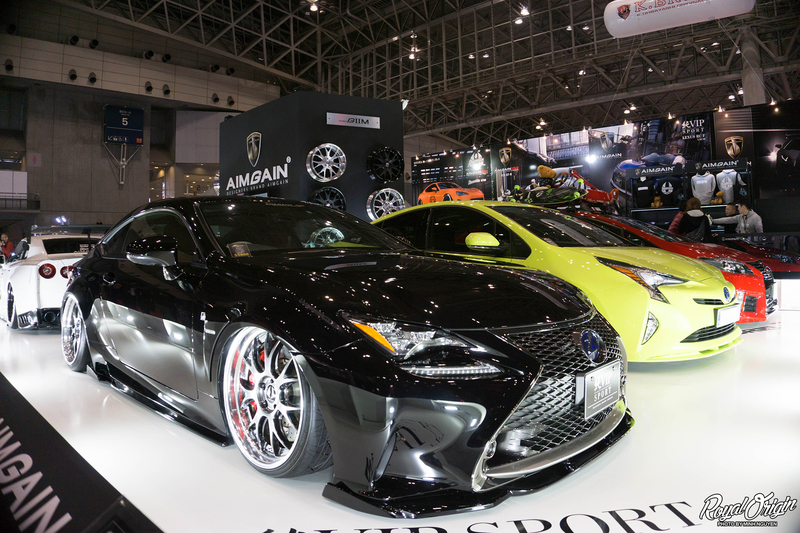 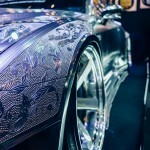 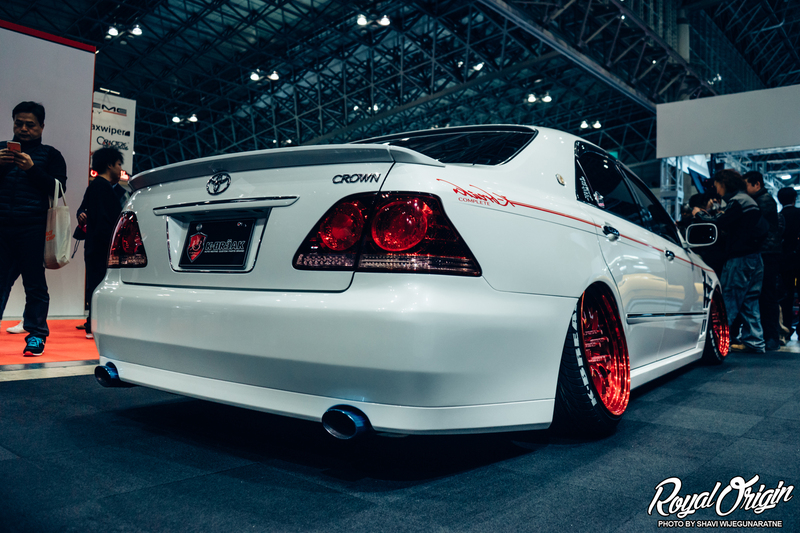 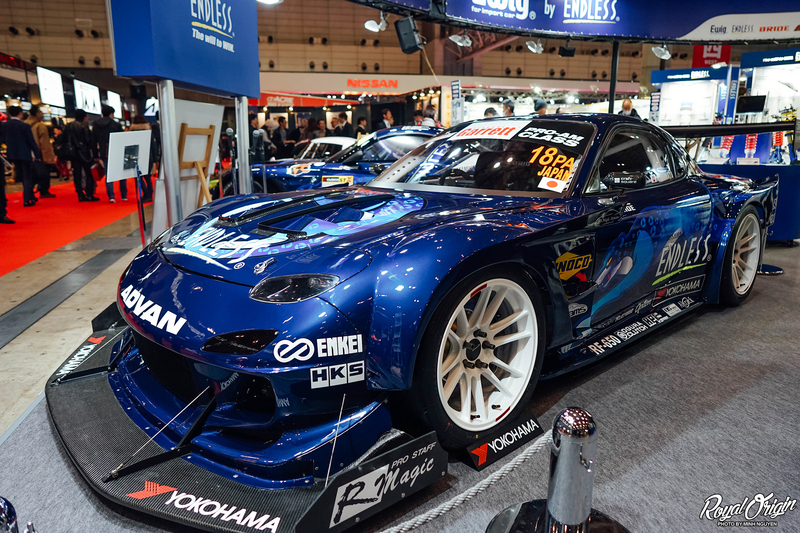 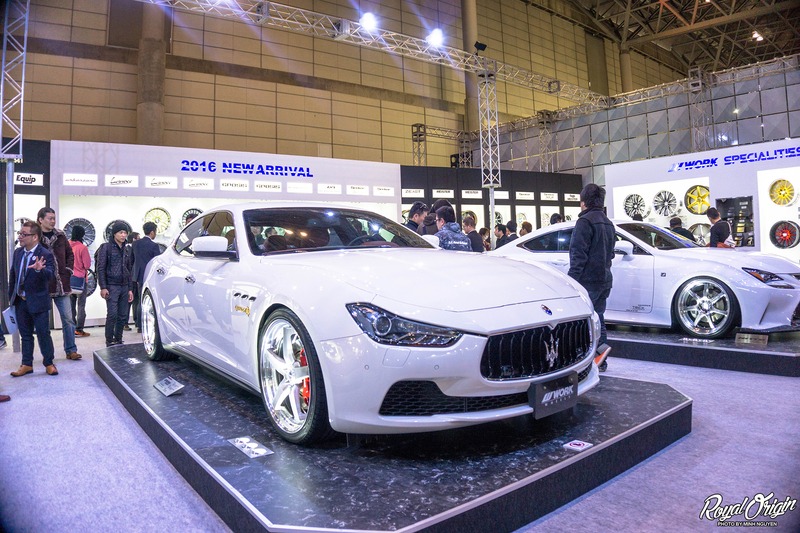 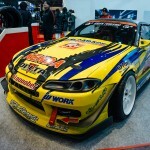 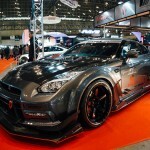 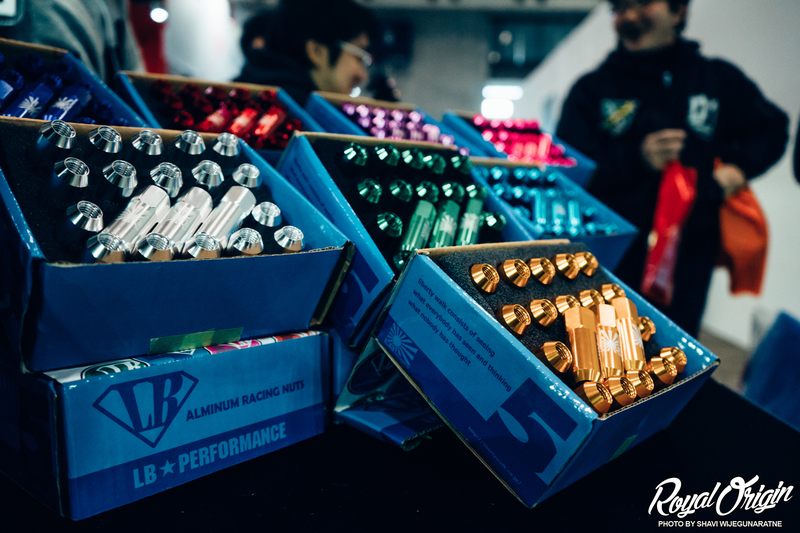 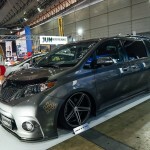 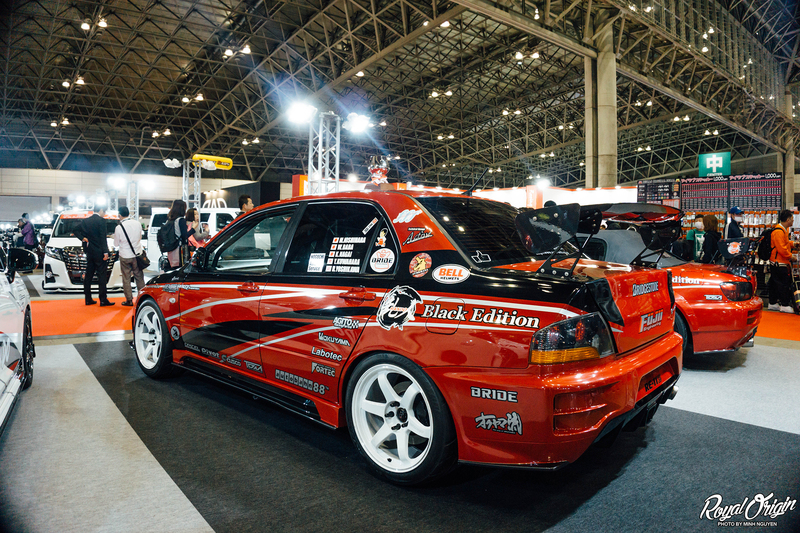 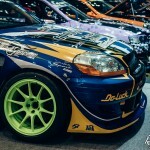 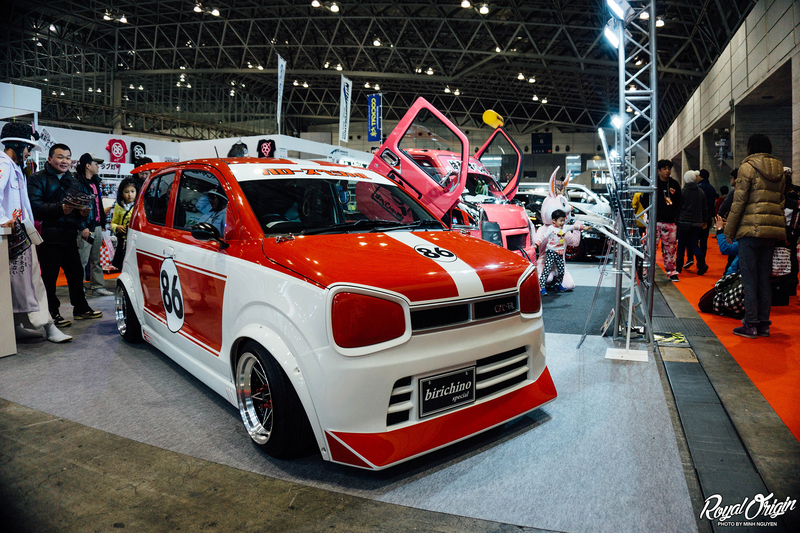 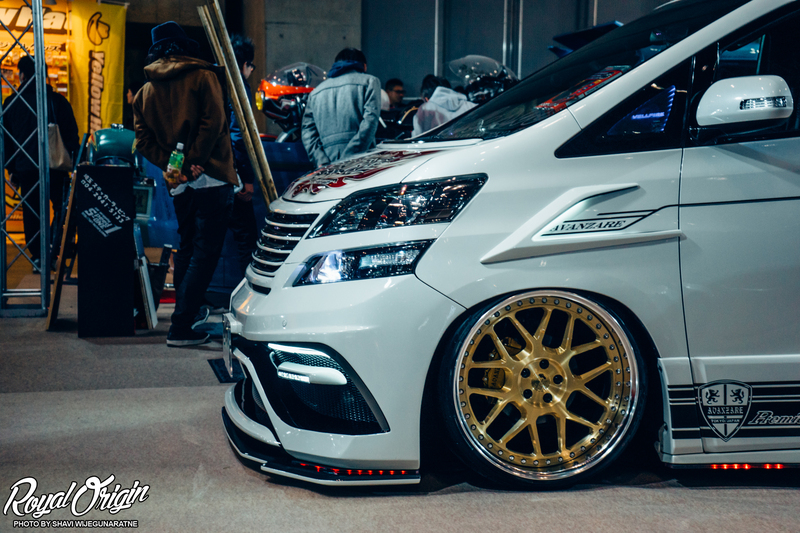 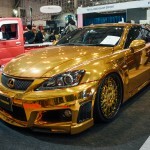 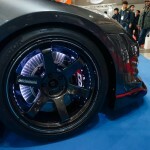 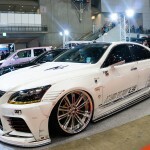 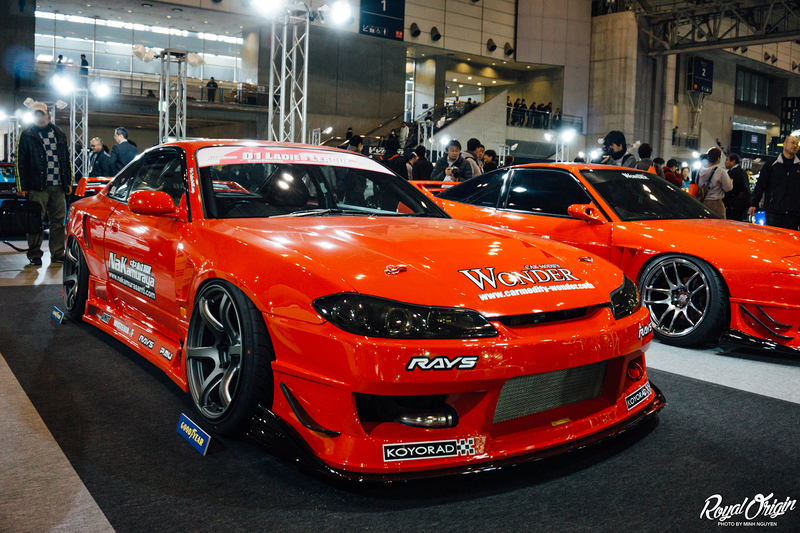 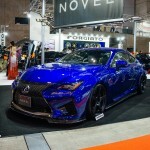 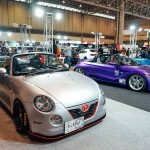 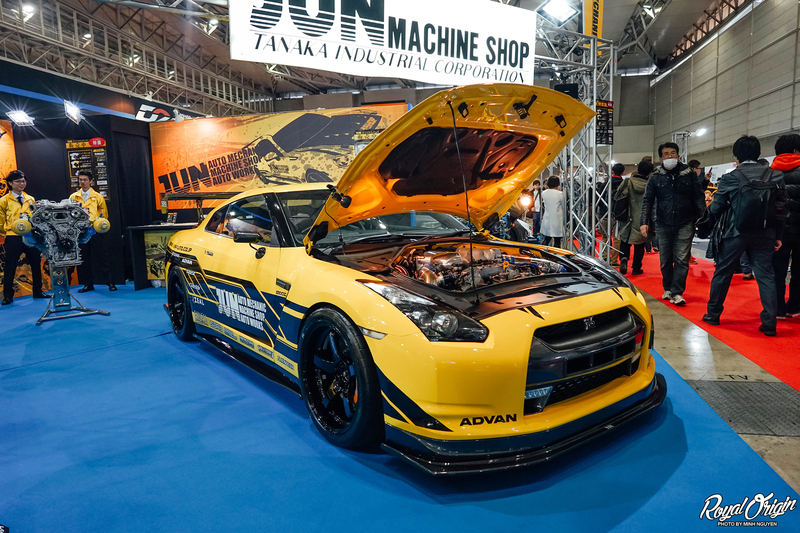 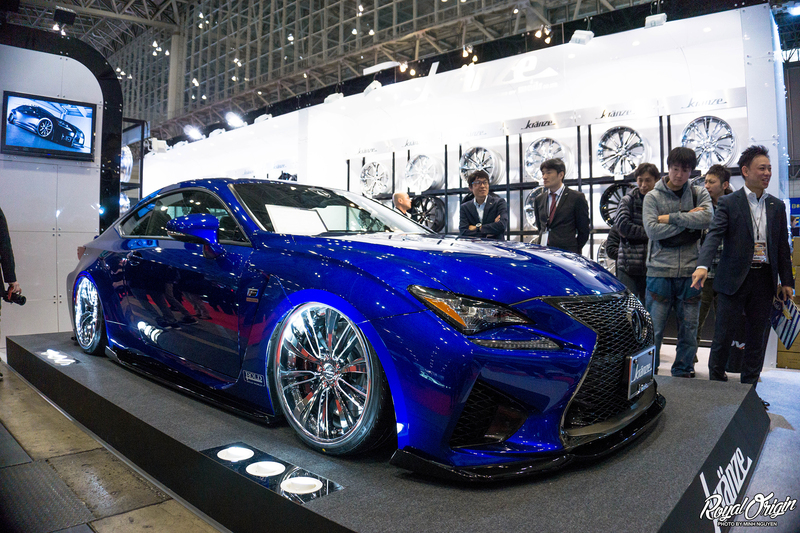 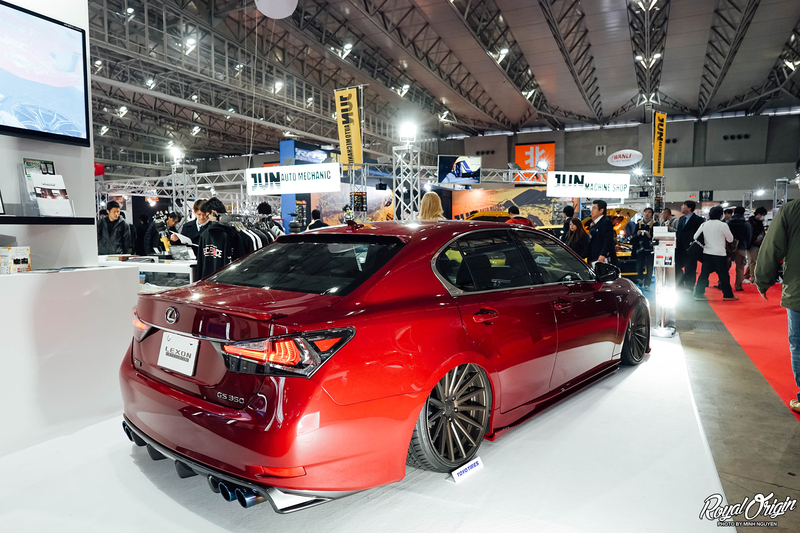 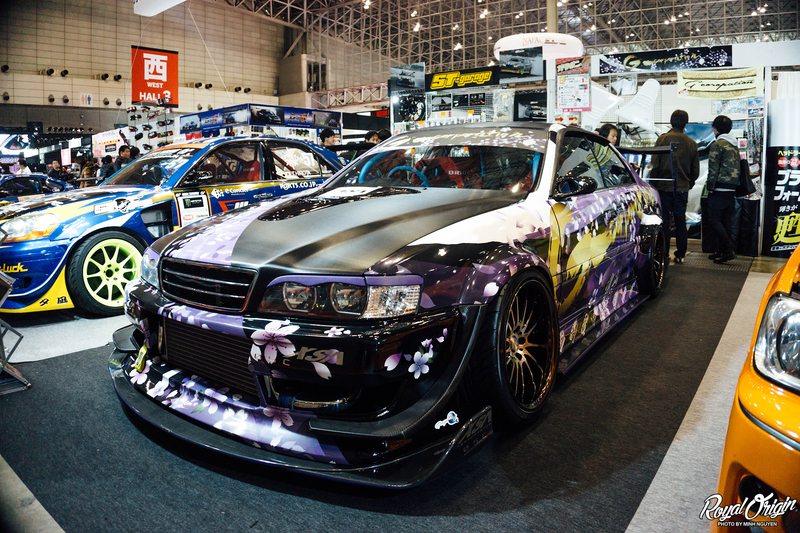 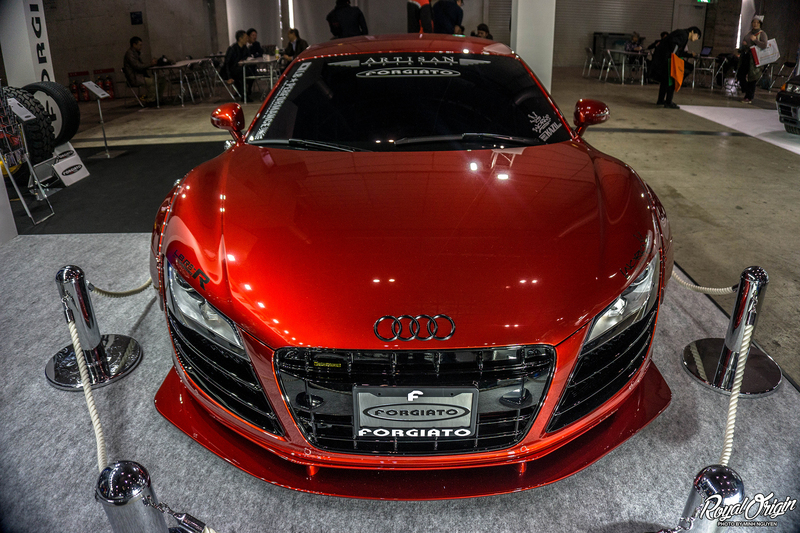 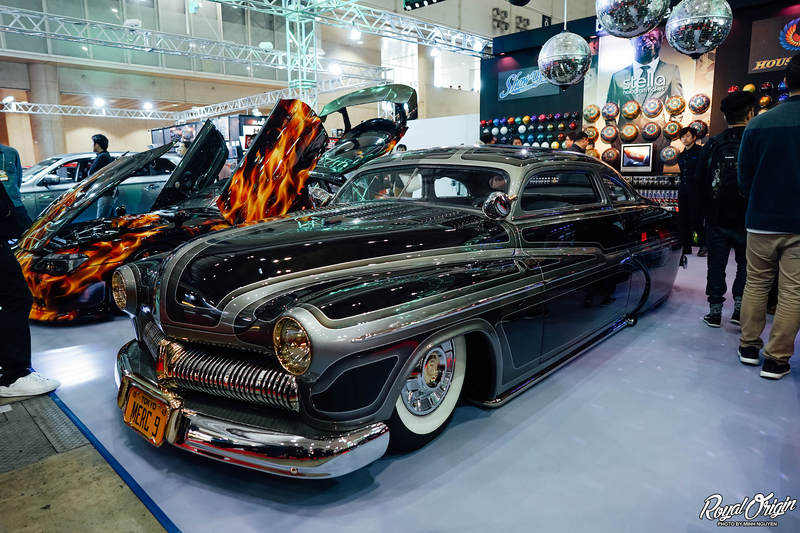 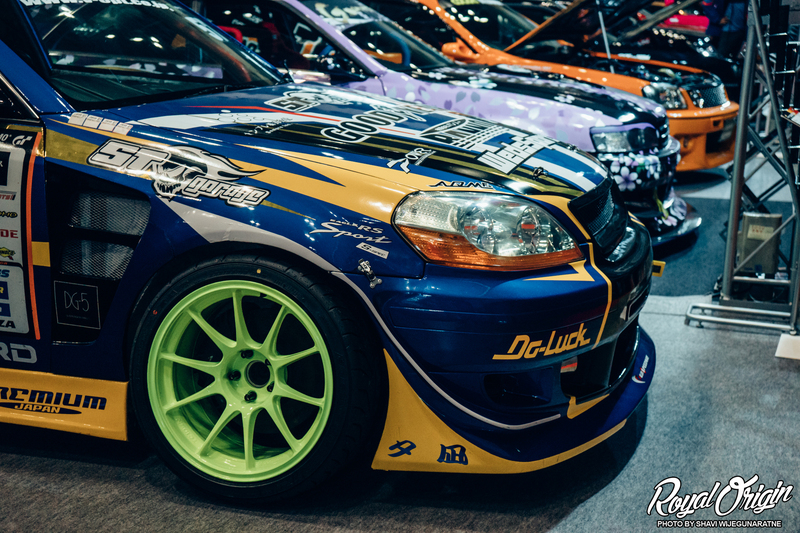 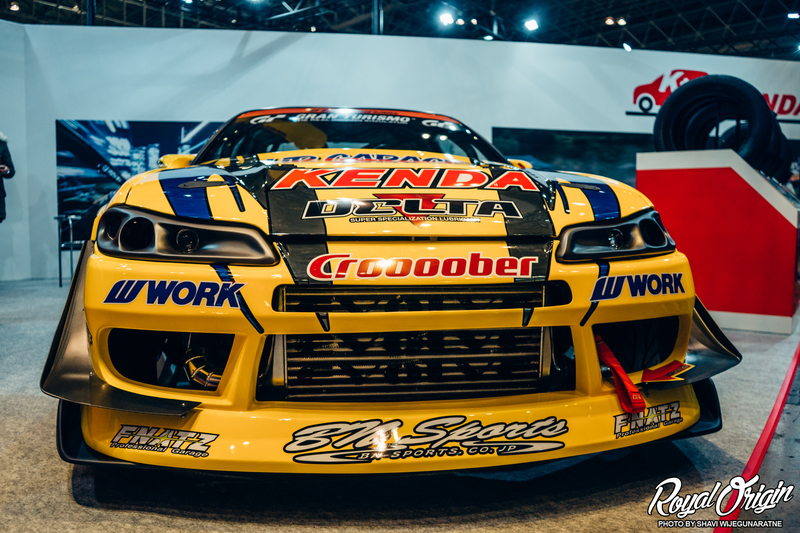 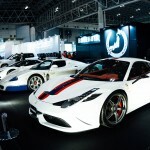 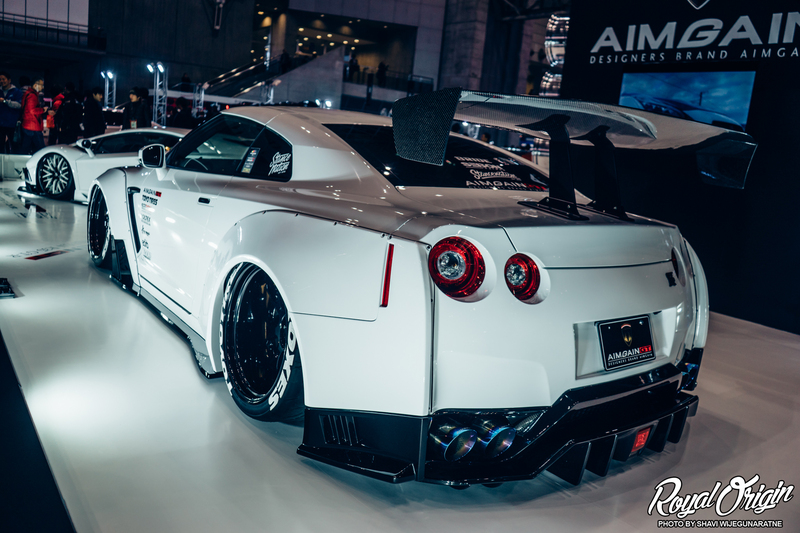 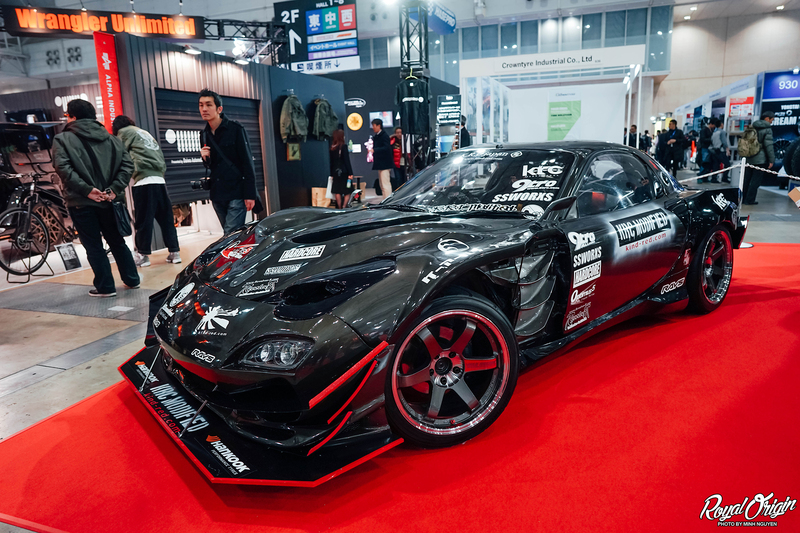 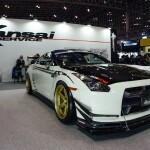 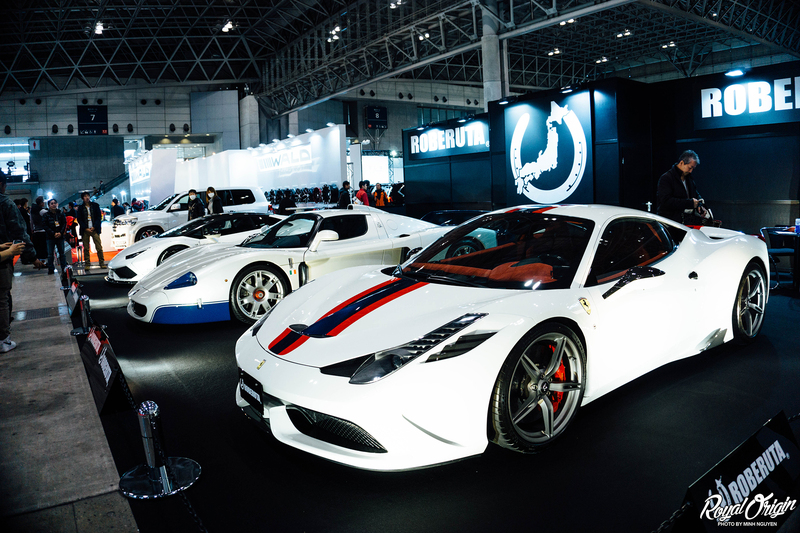 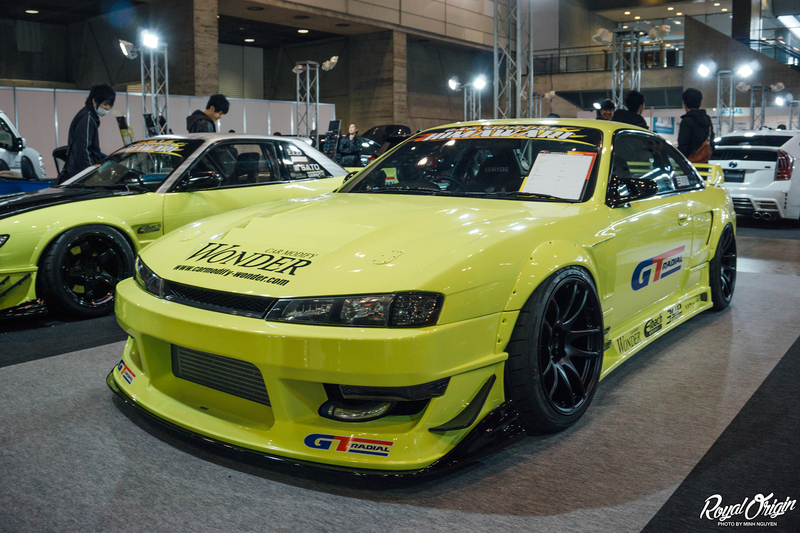 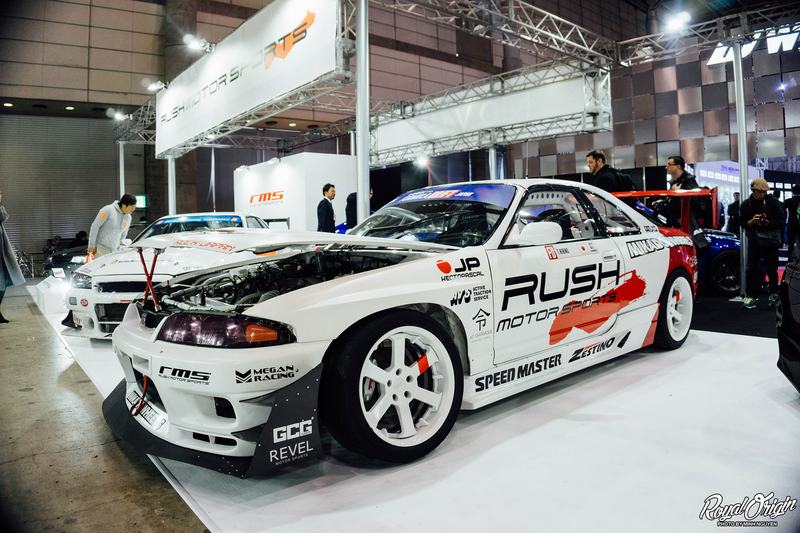 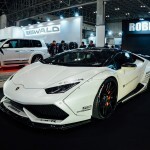 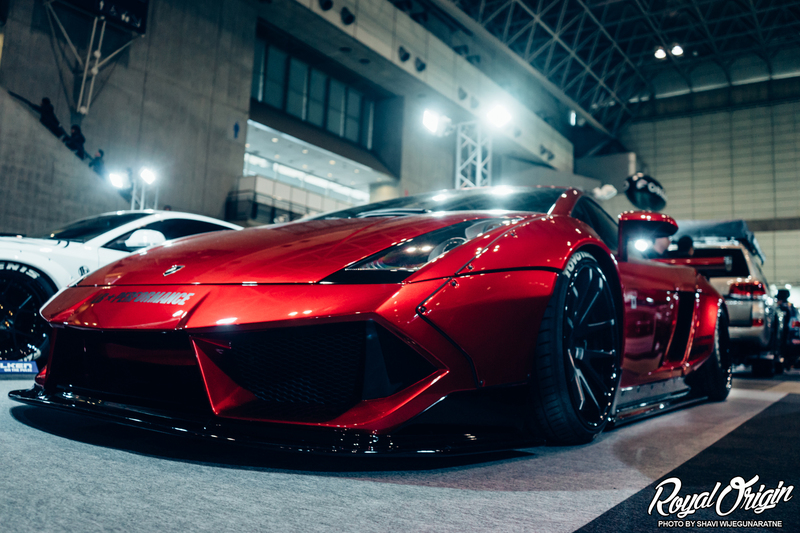 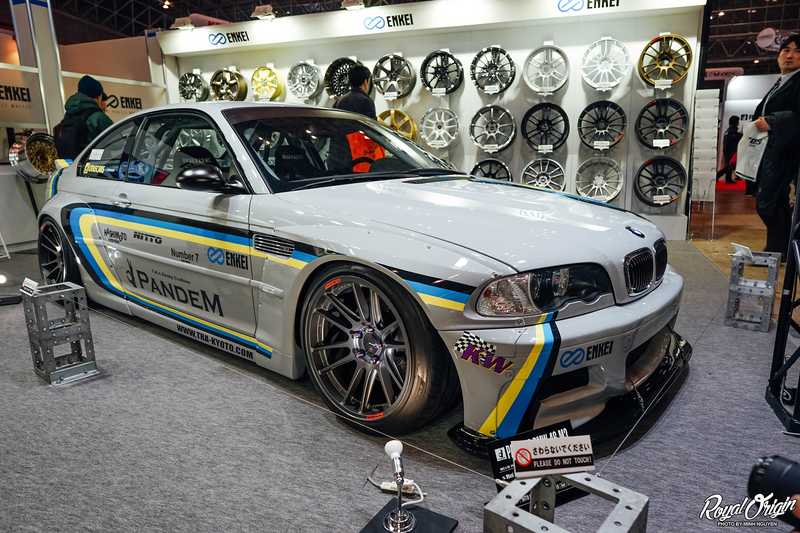 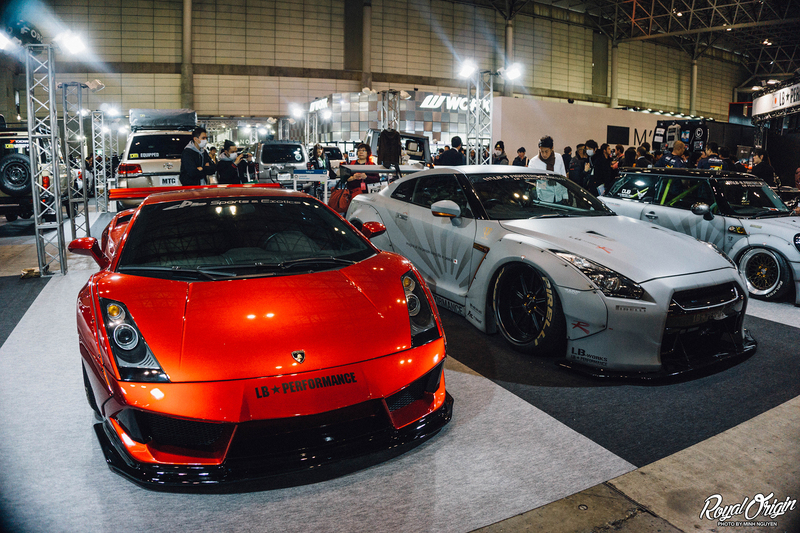 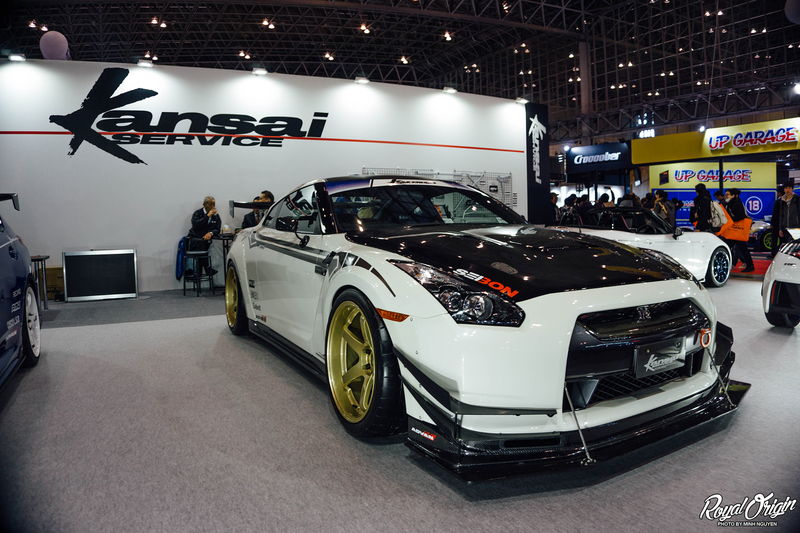 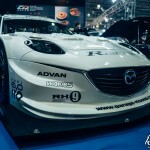 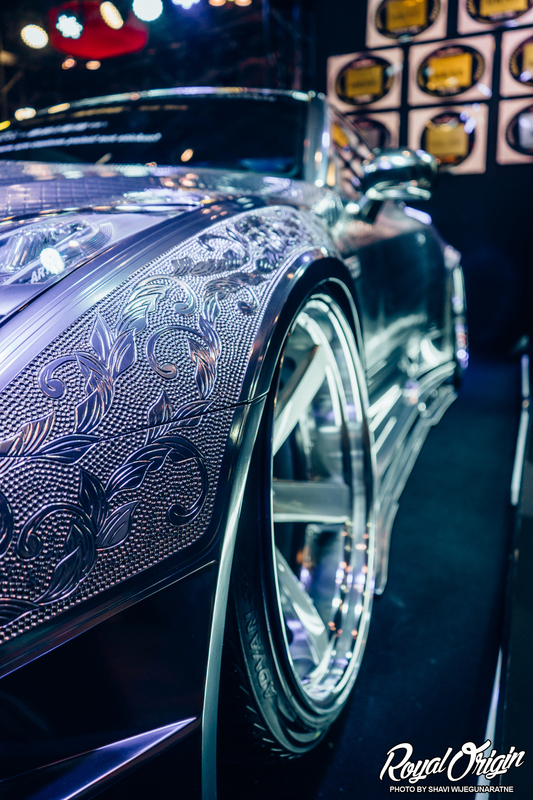 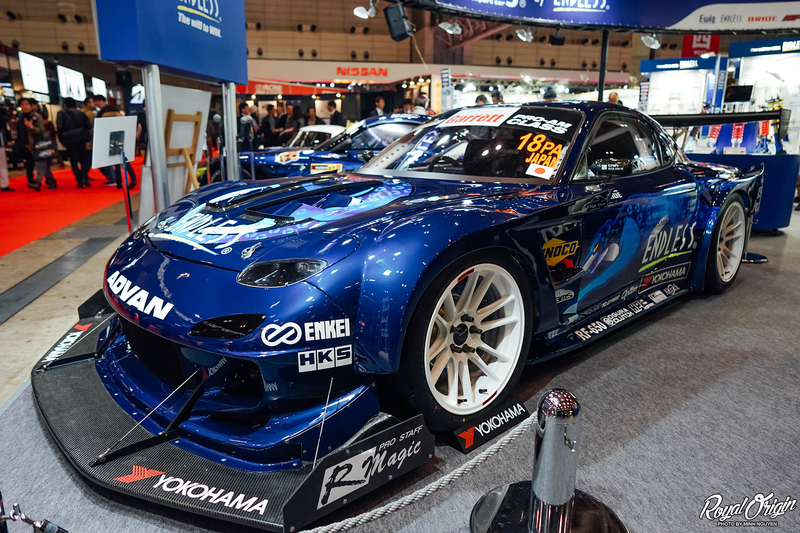 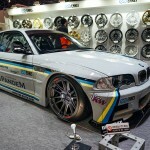 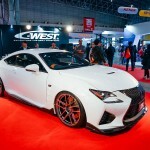 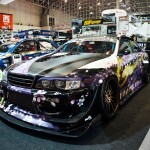 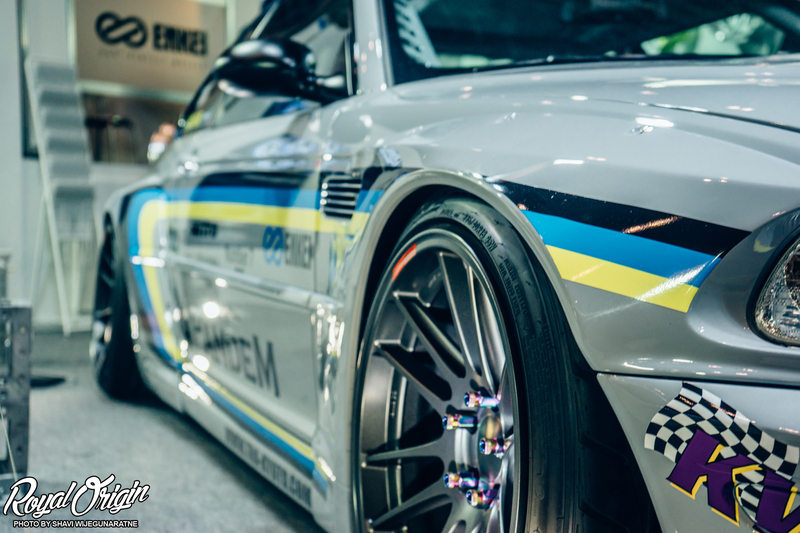 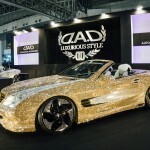 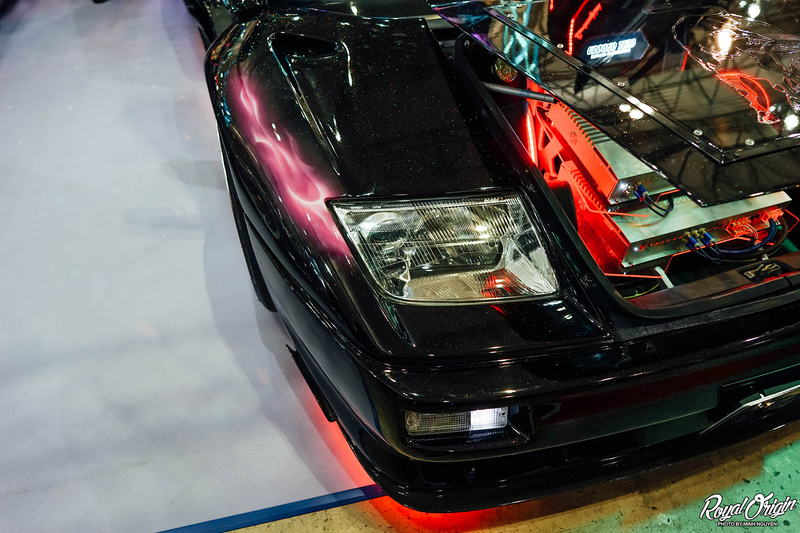 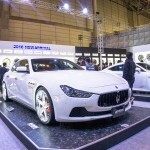 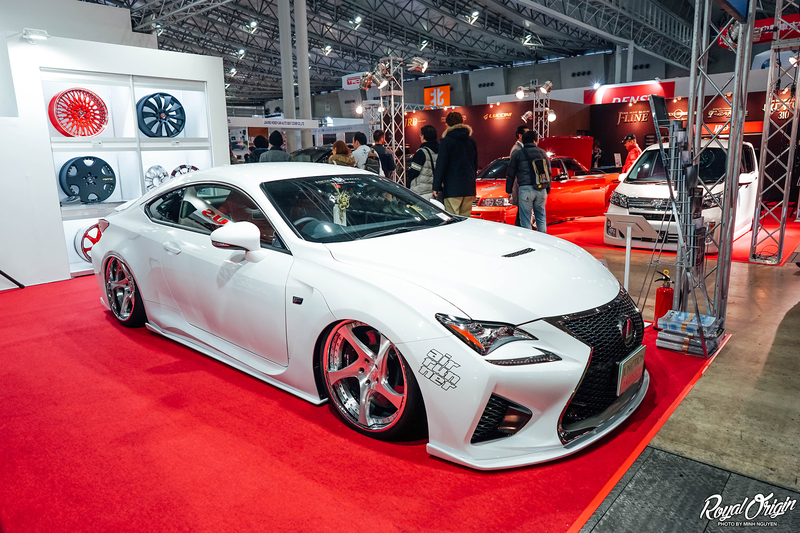 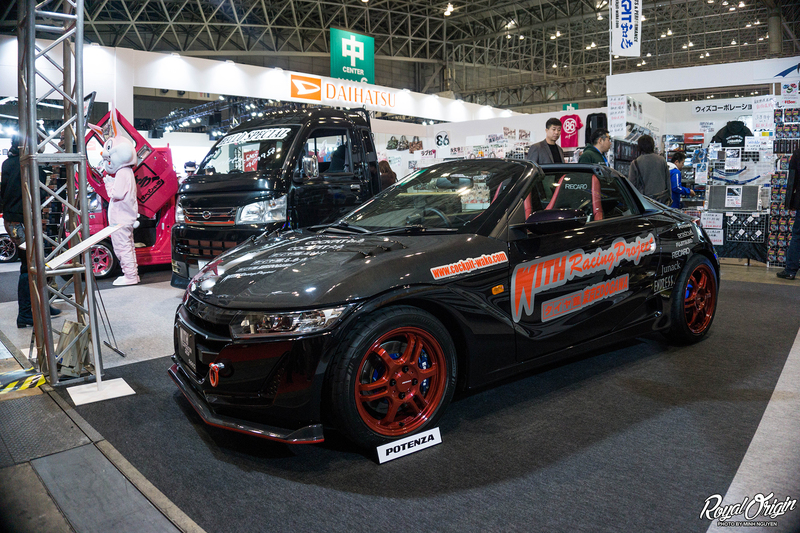 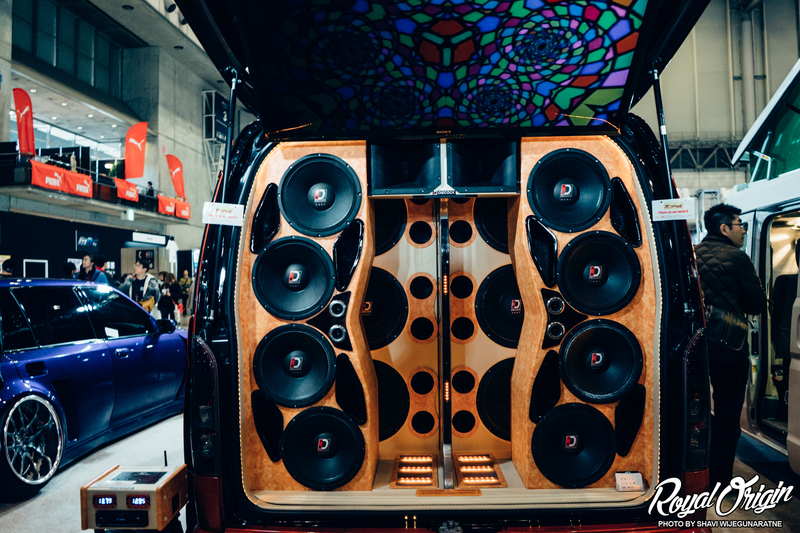 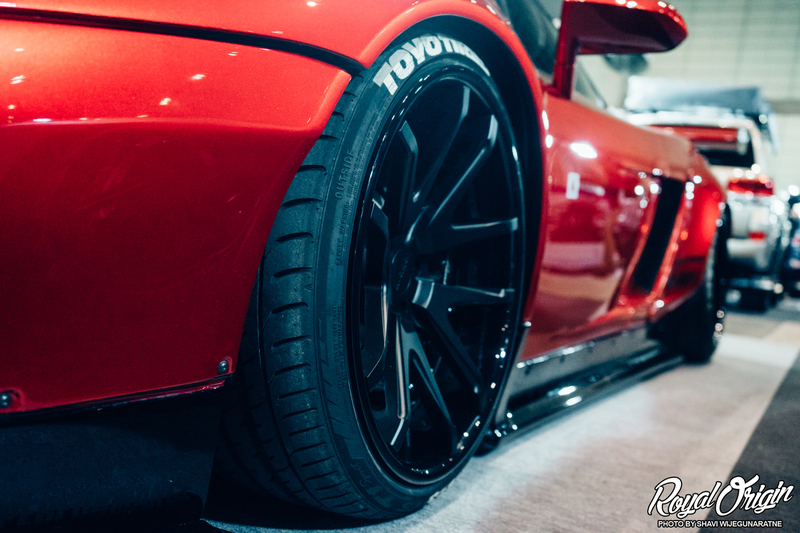 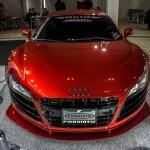 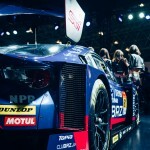 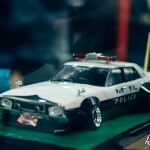 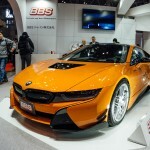 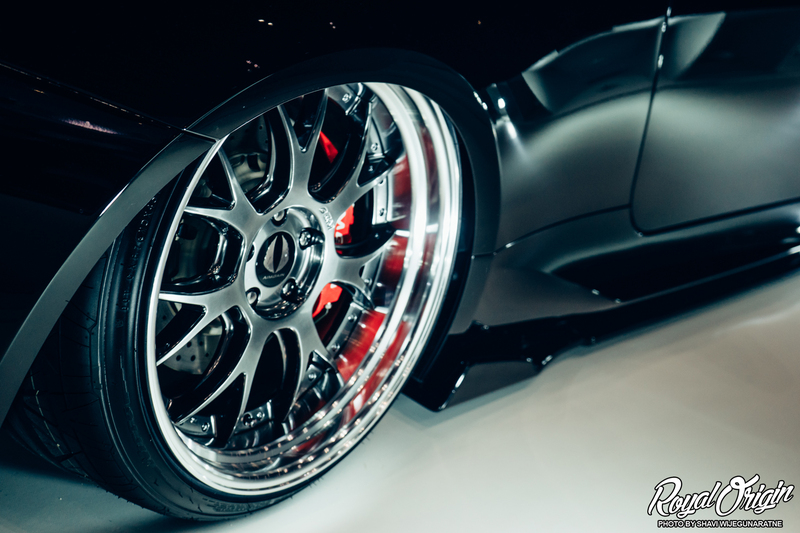 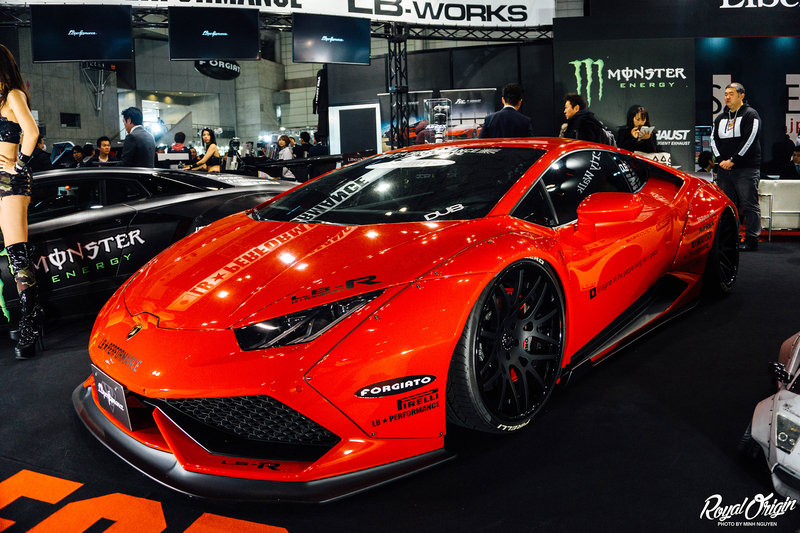 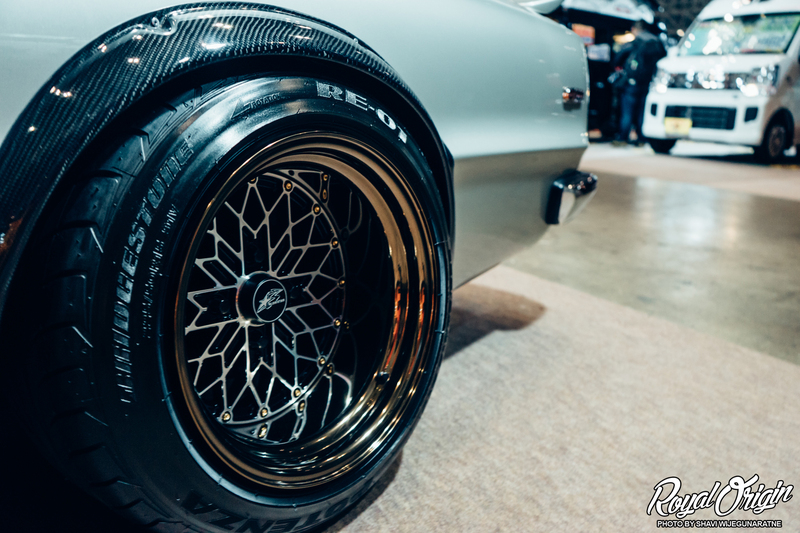 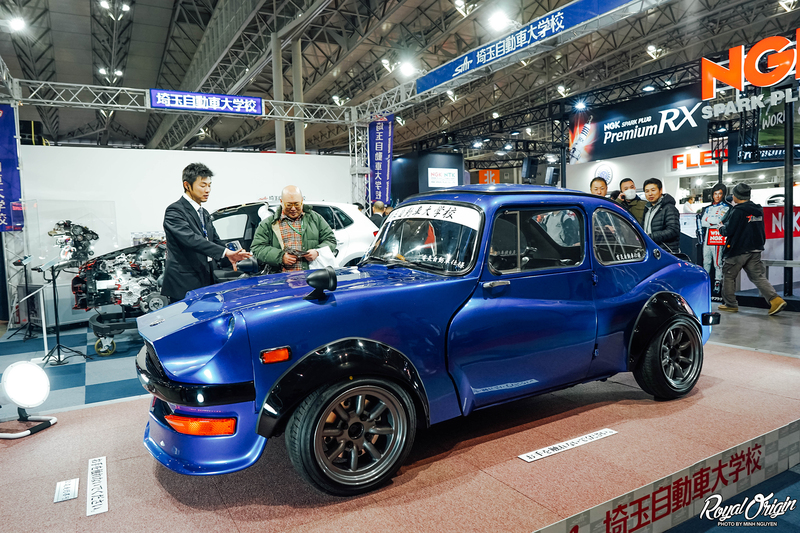 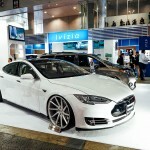 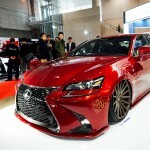 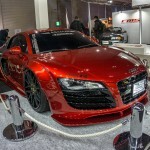 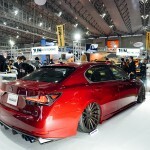 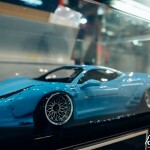 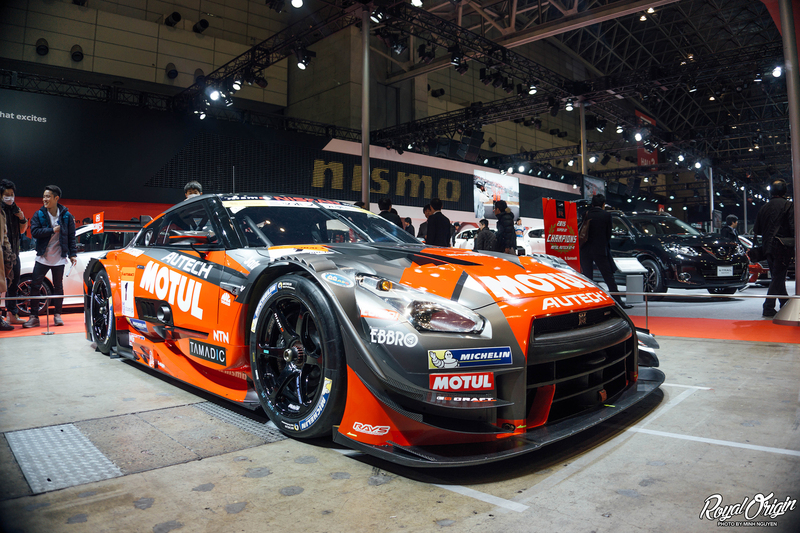 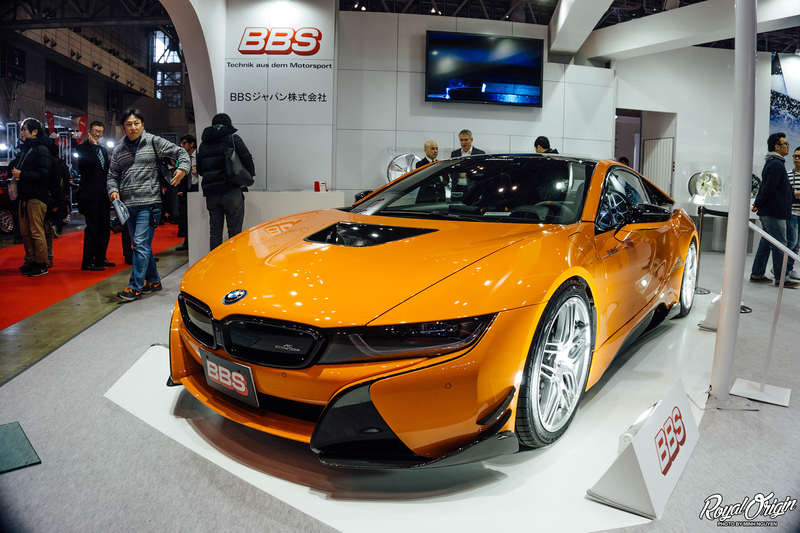 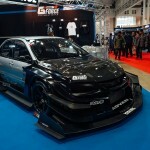 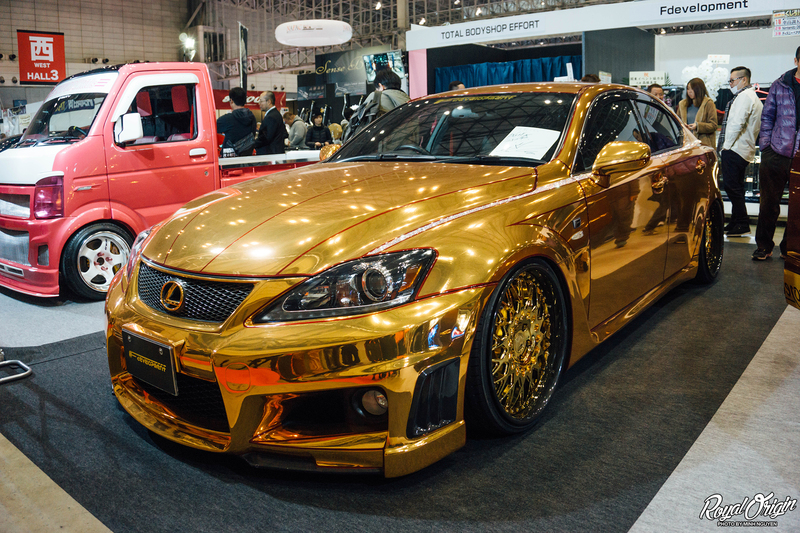 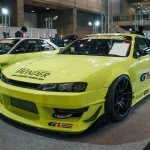 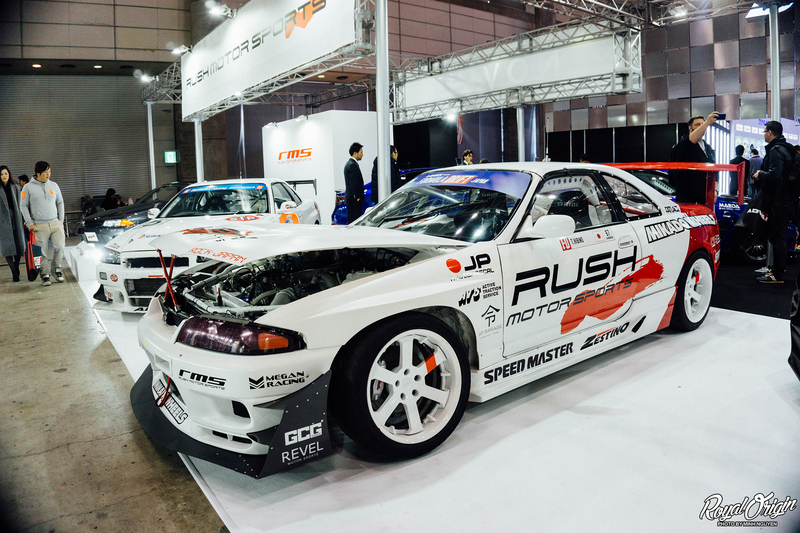 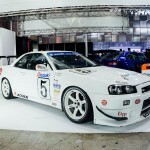 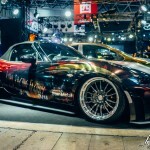 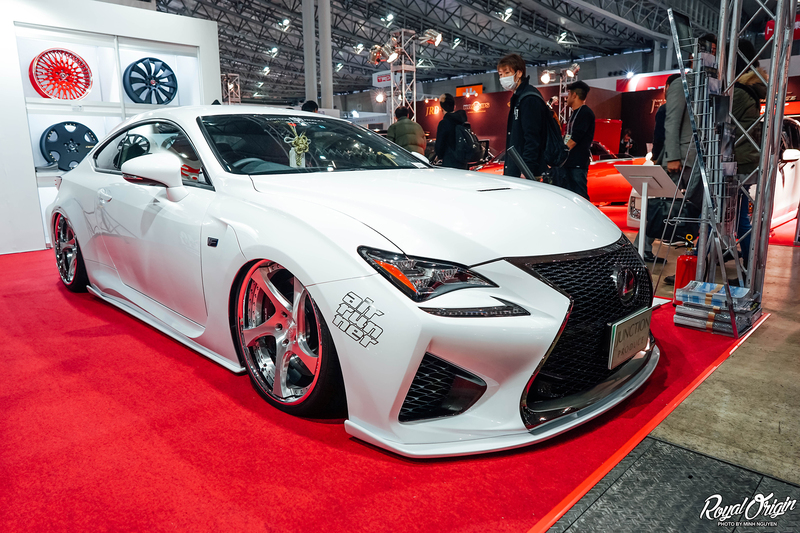 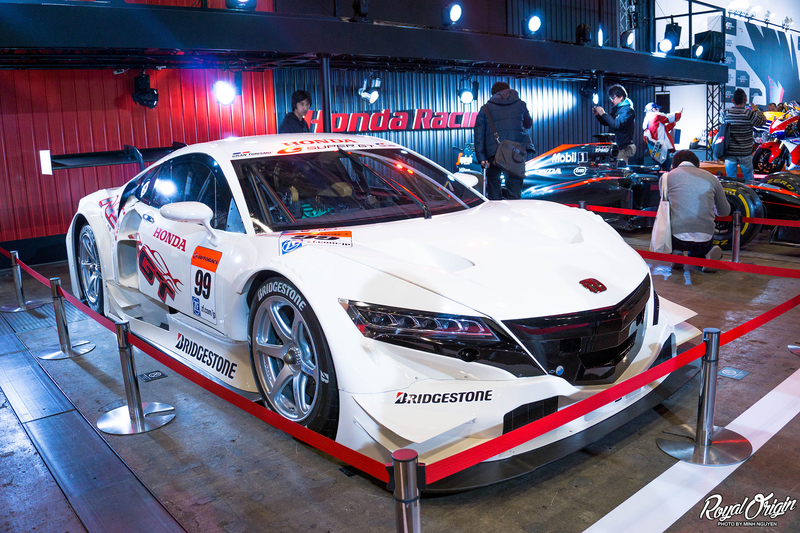 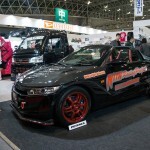 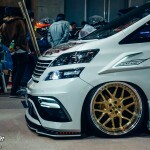 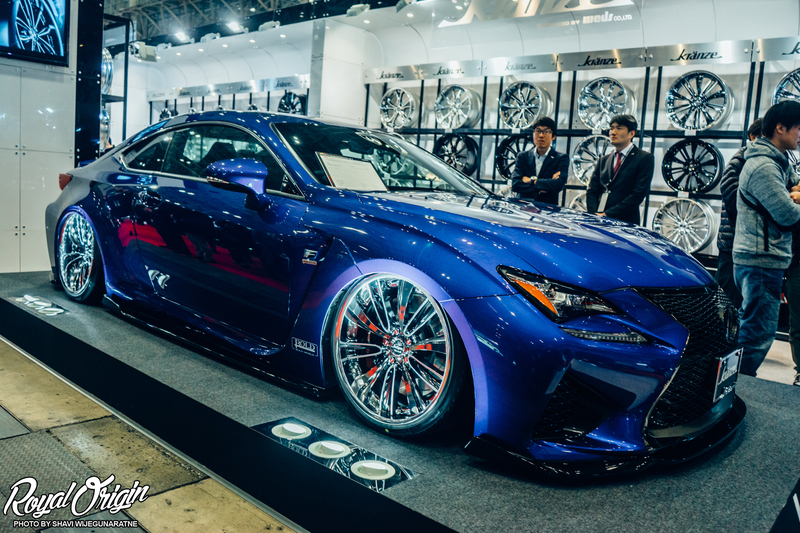 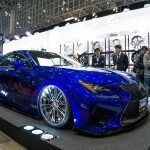 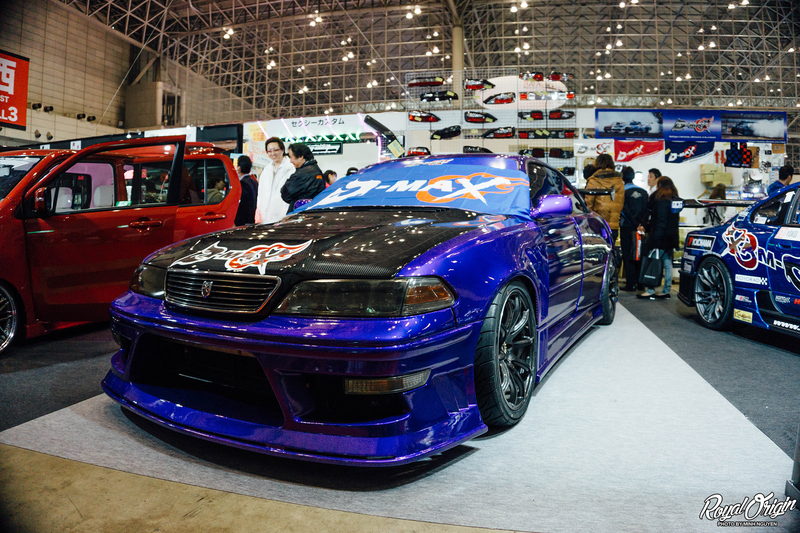 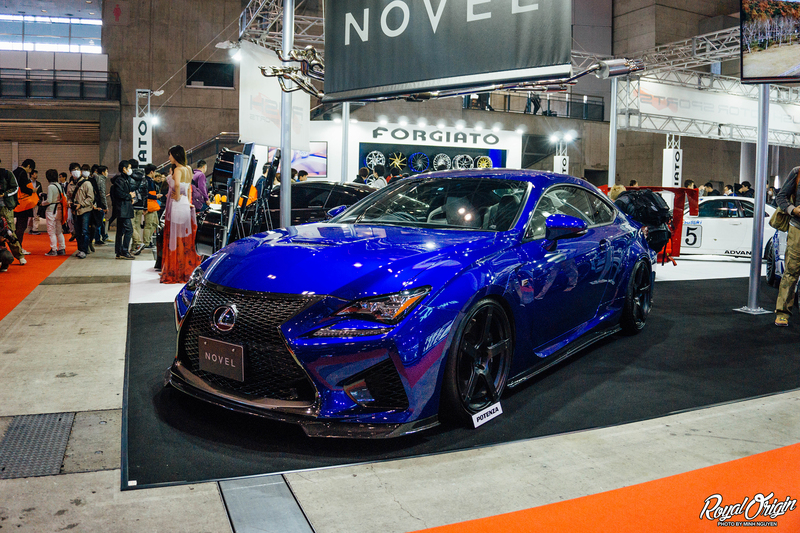 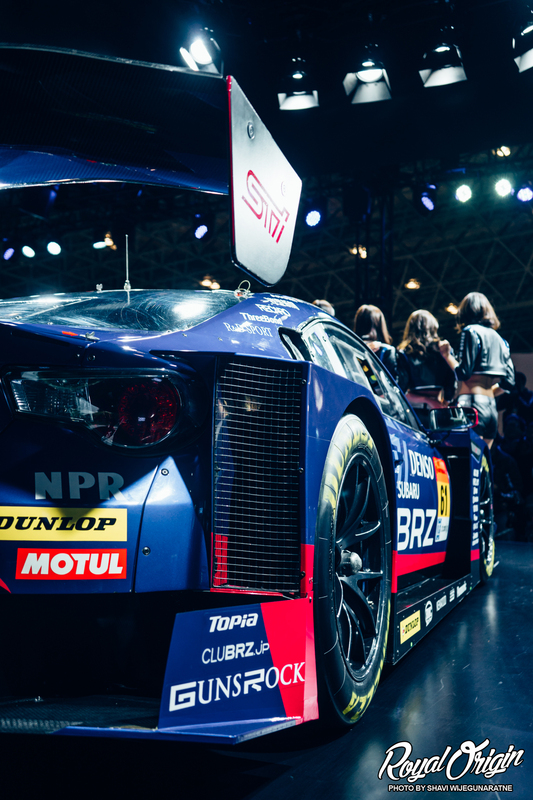 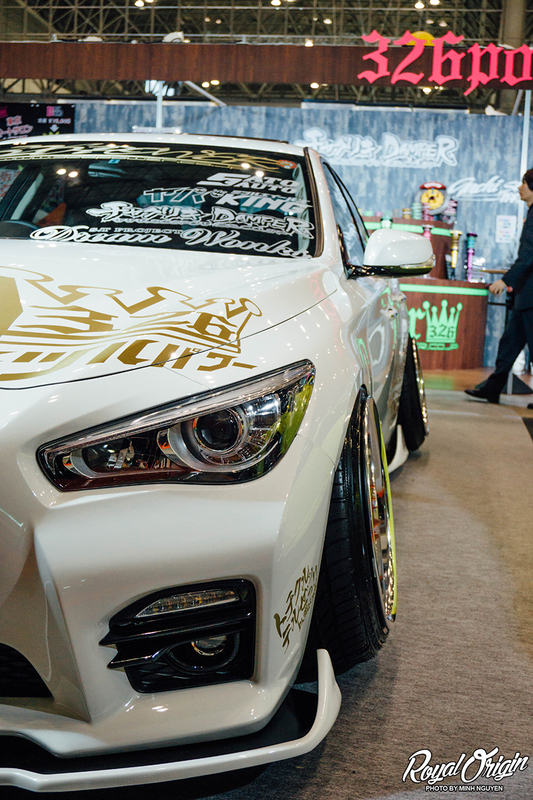 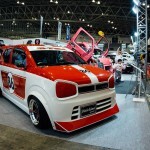 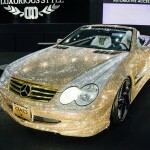 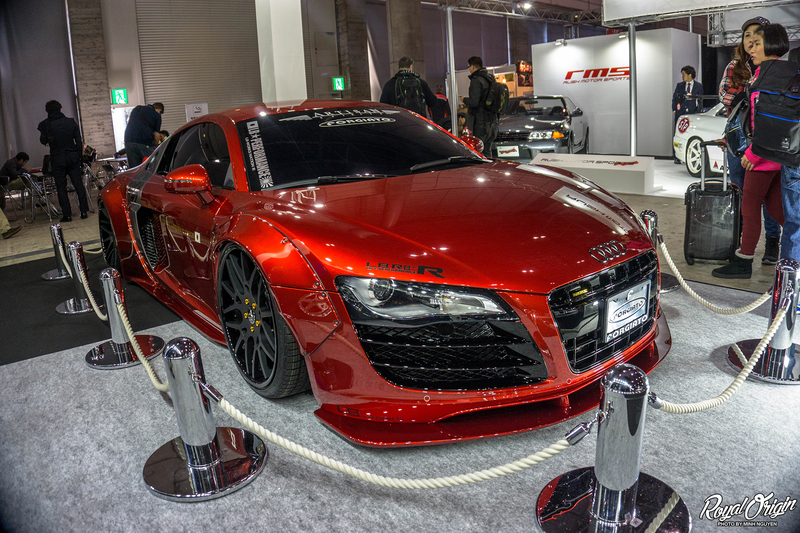 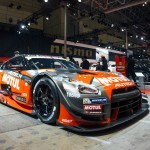 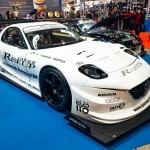 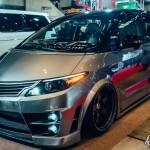 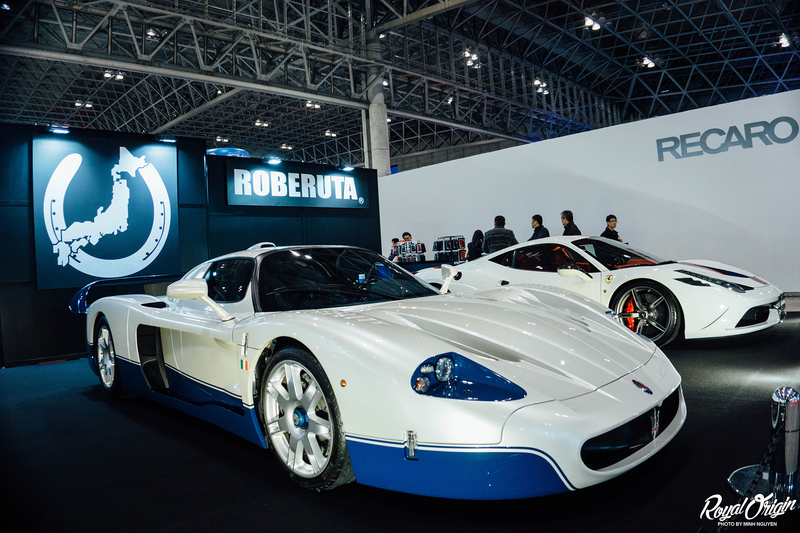 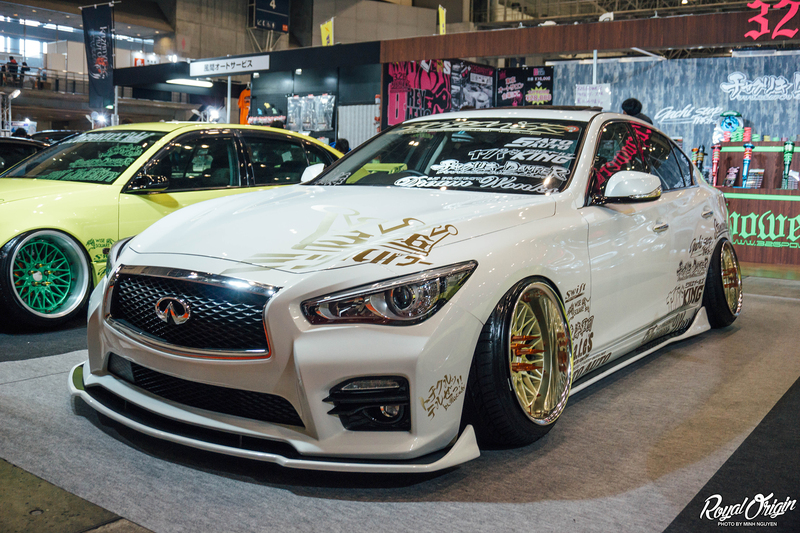 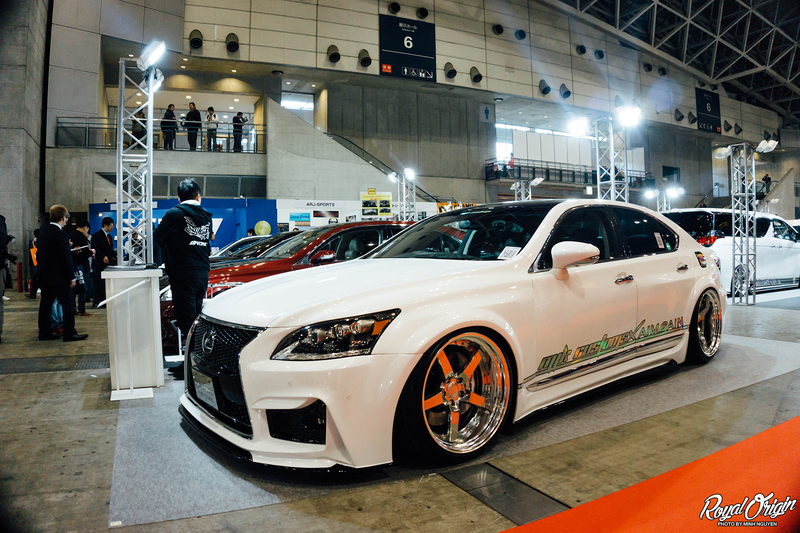 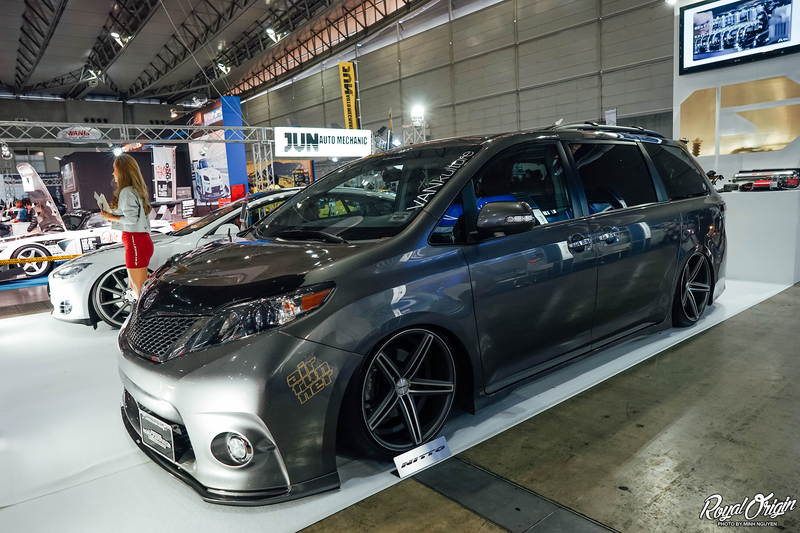 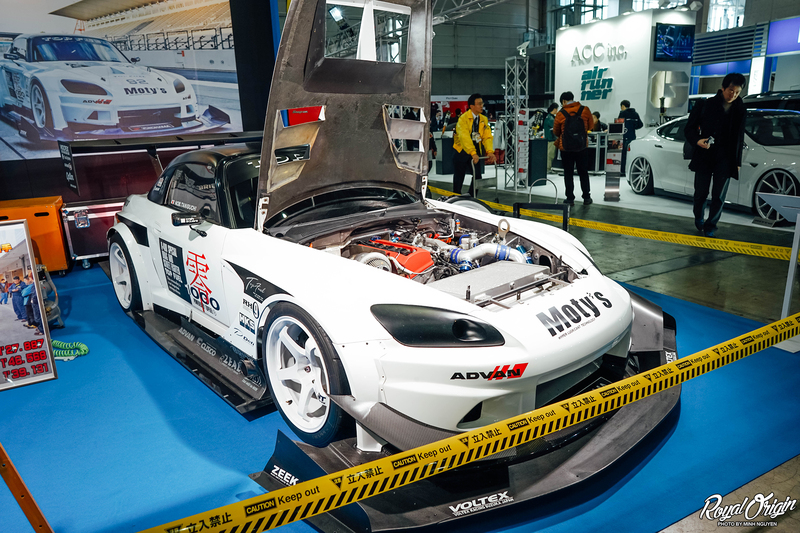 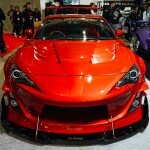 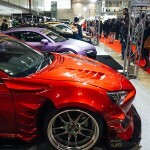 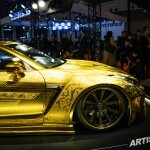 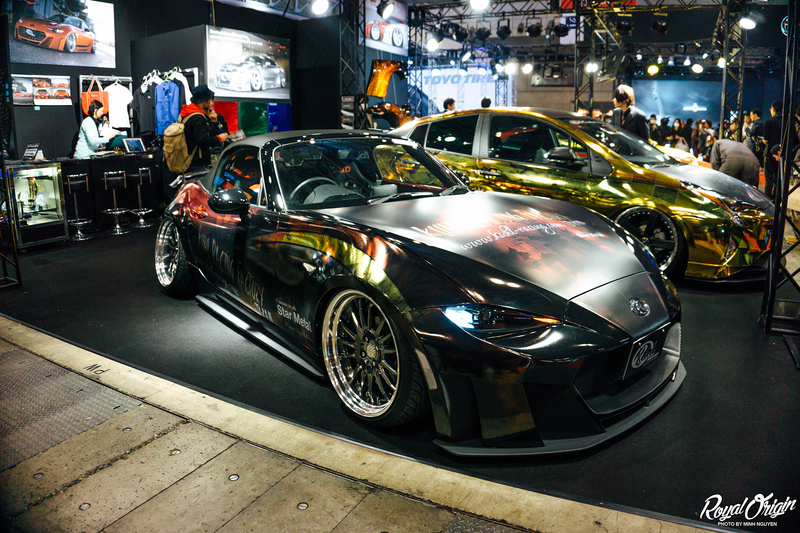 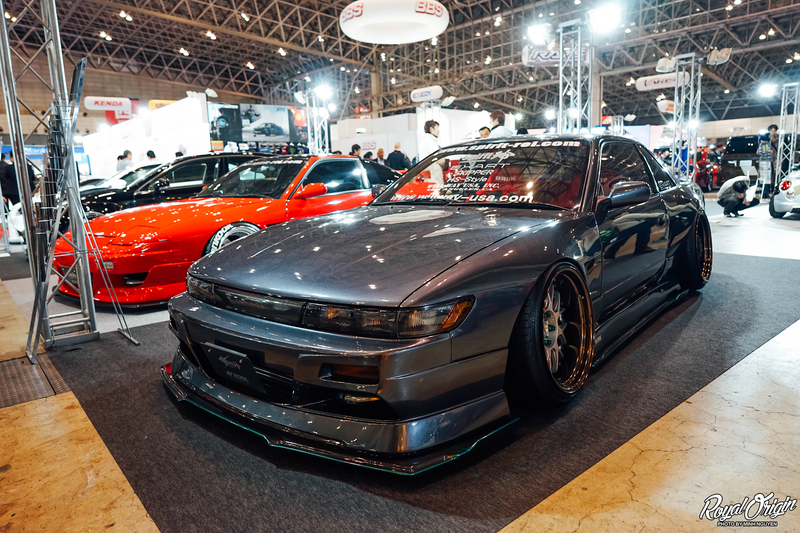 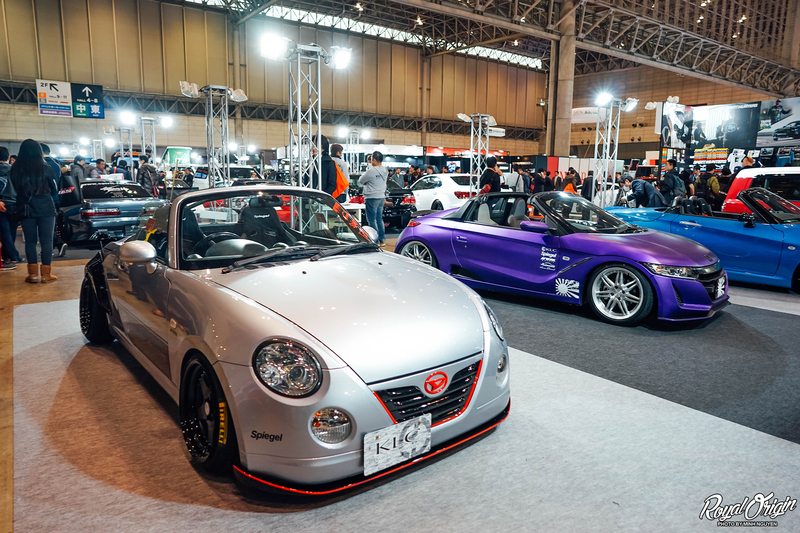 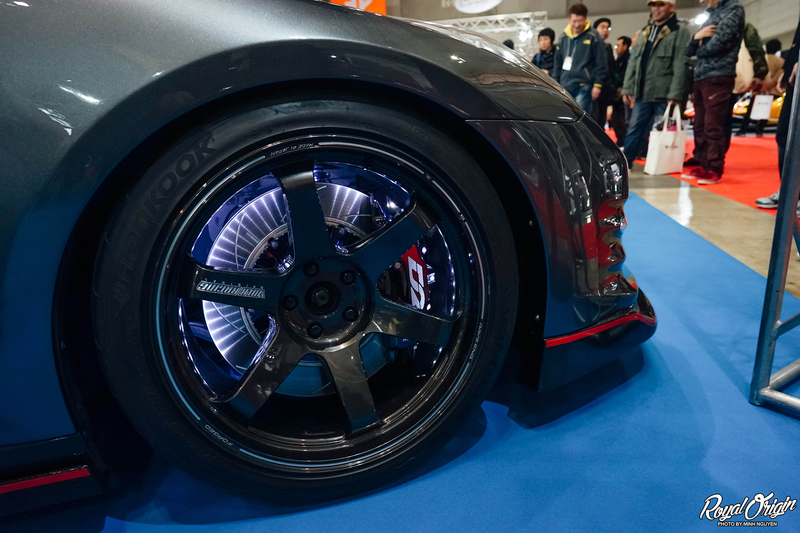 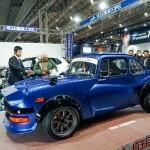 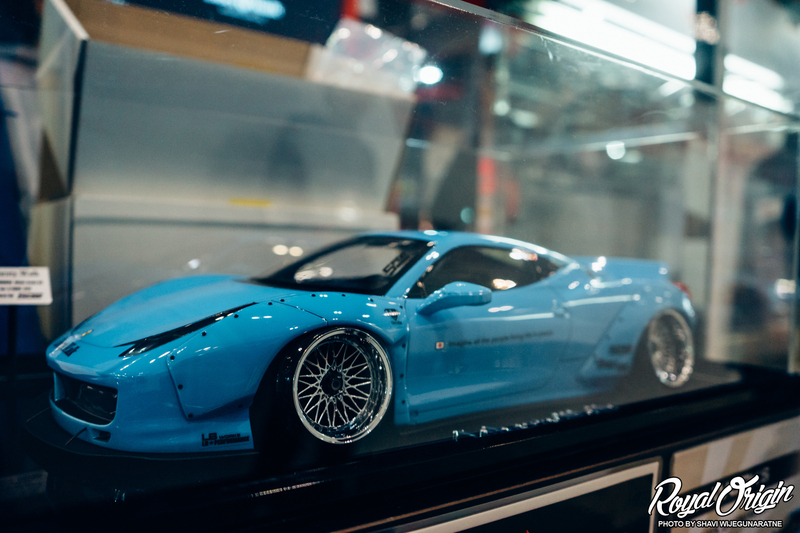 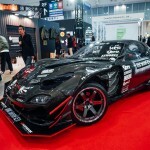 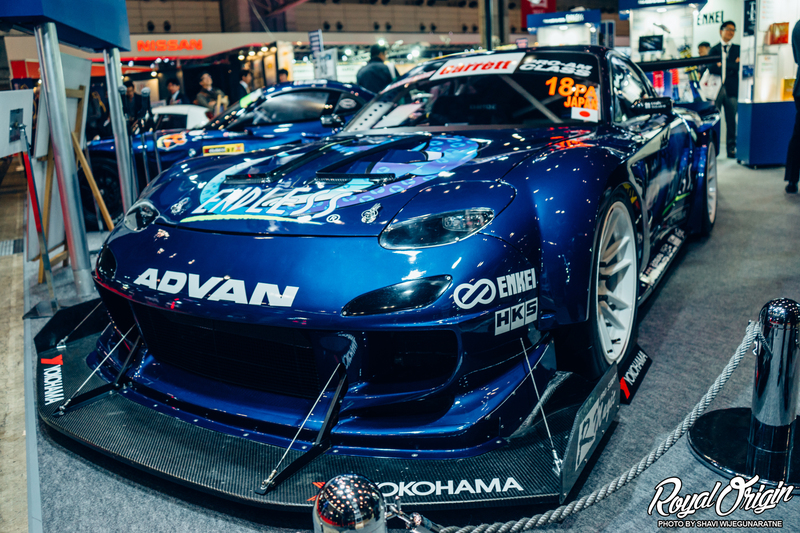 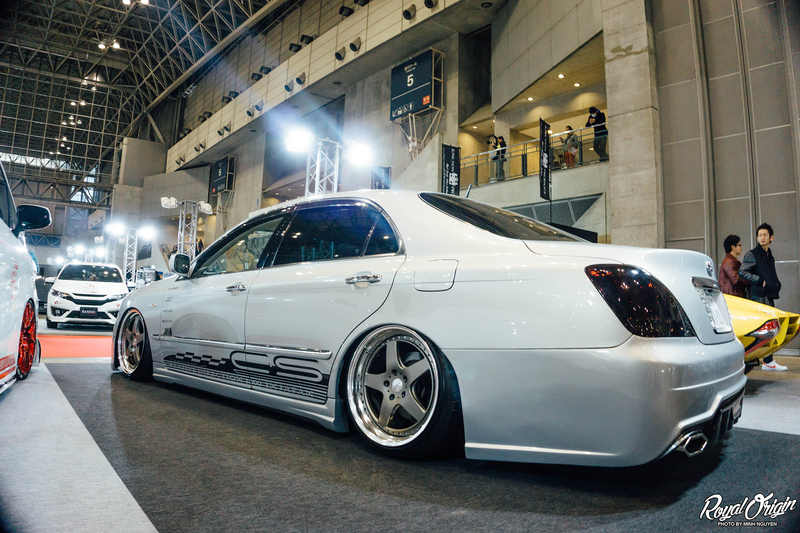 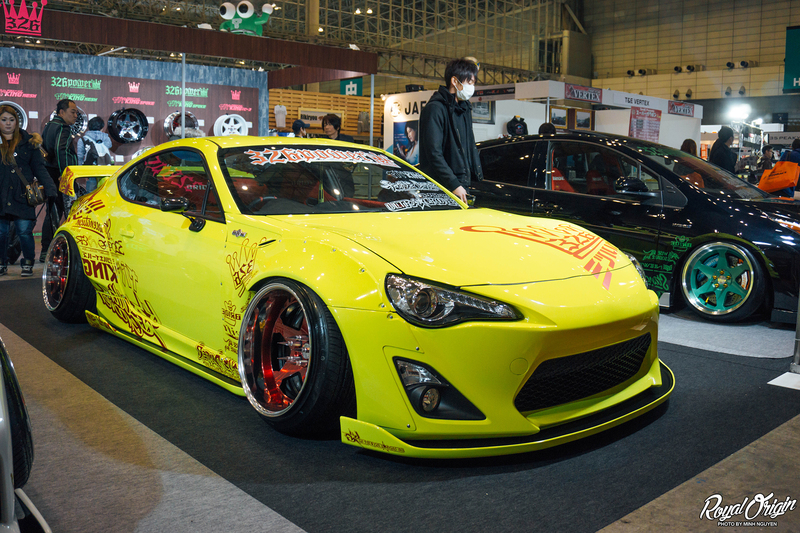 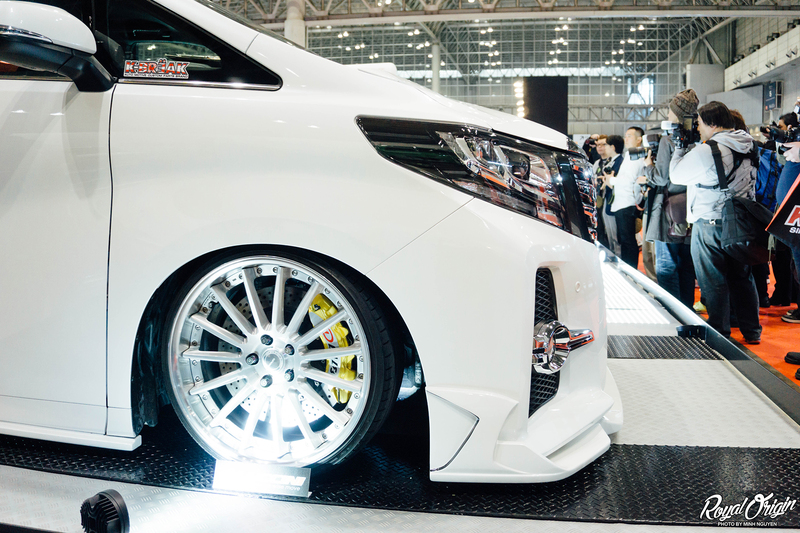 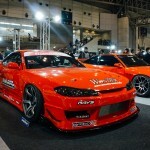 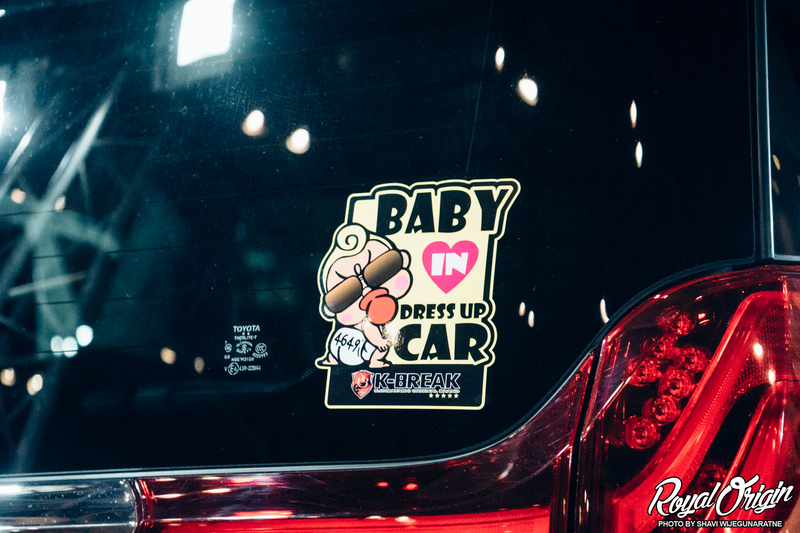 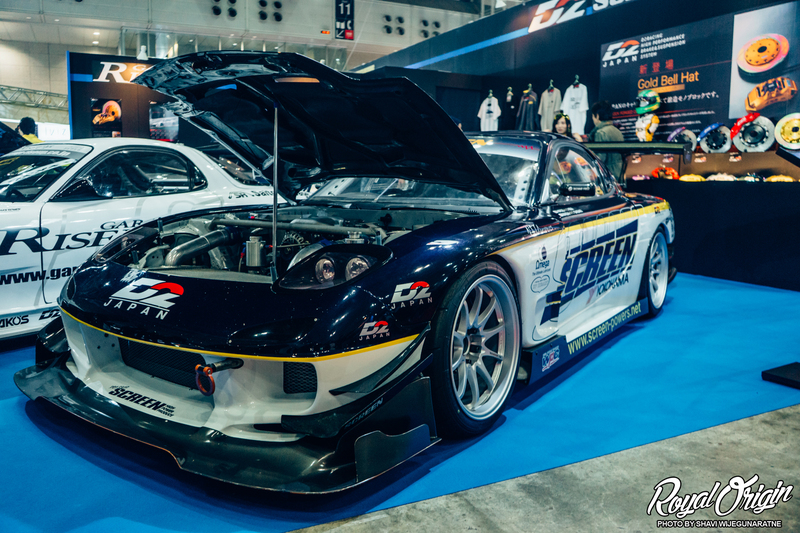 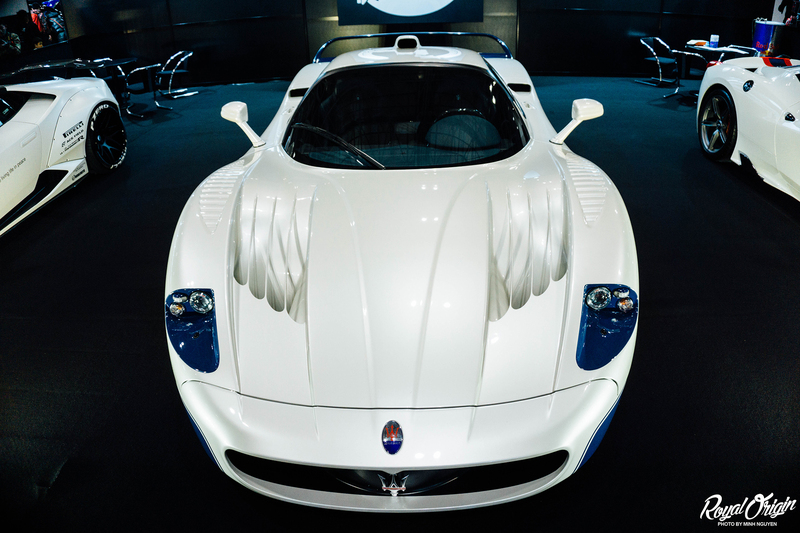 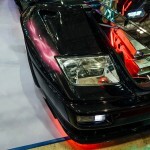 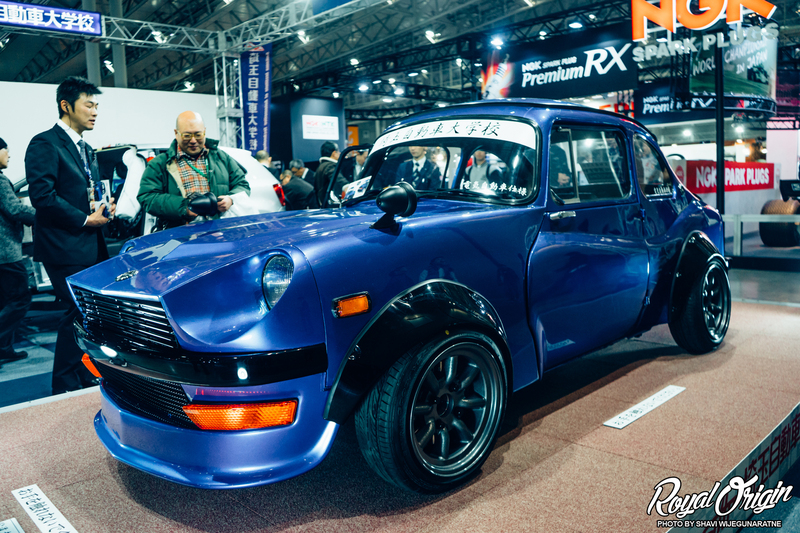 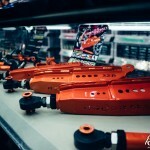 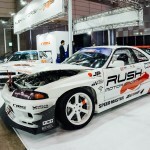 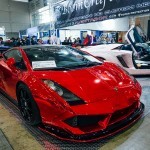 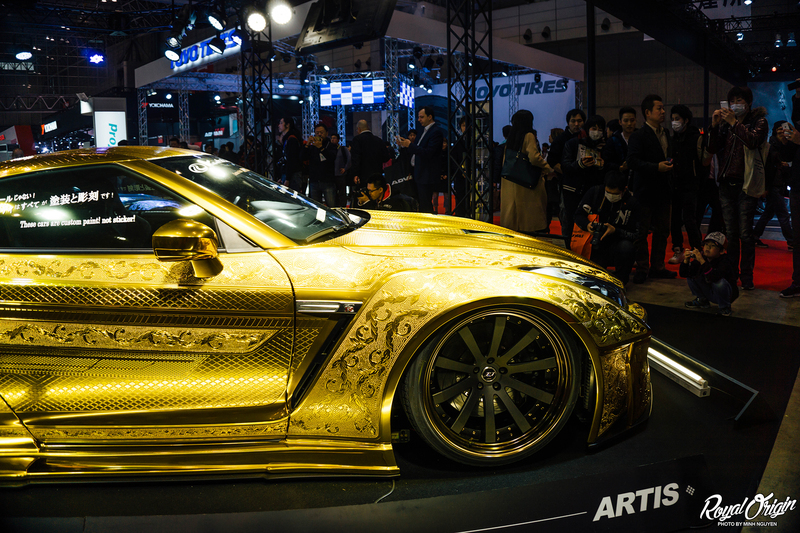 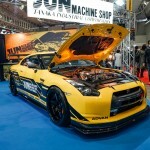 Tokyo Auto Salon is a world famous international auto show by Nippon Auto Parts Aftermarket Committee. 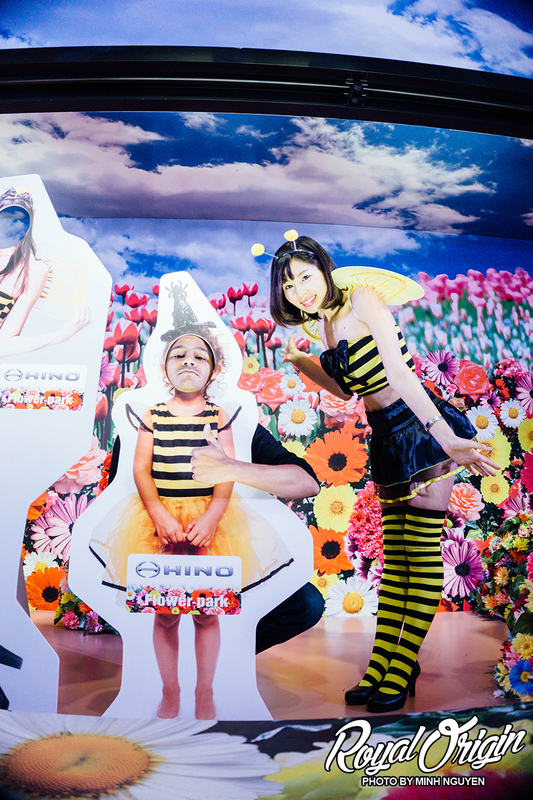 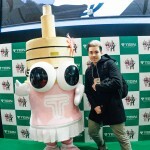 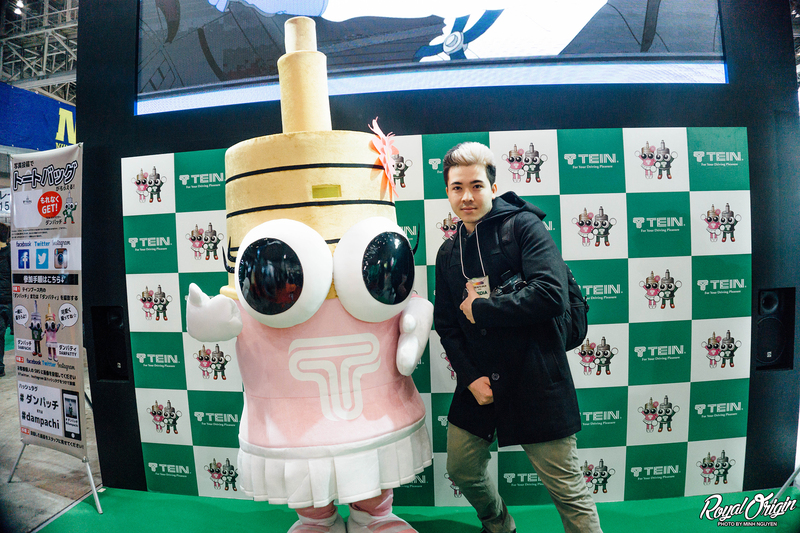 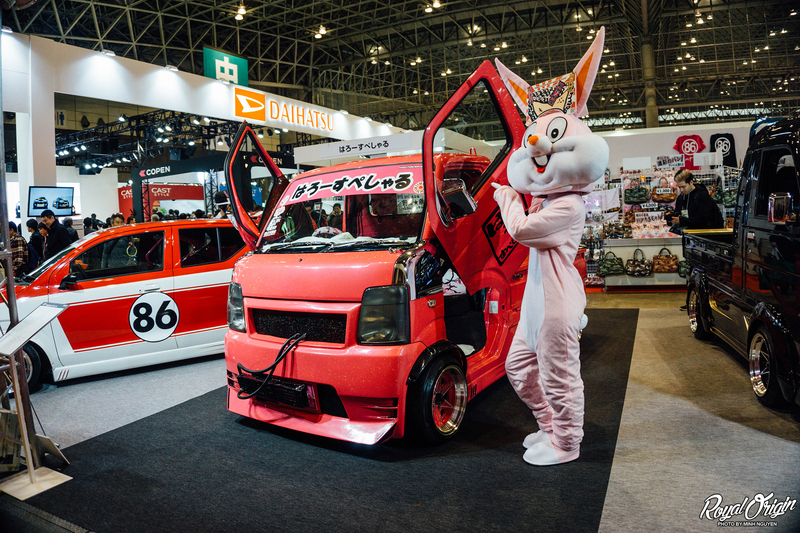 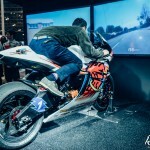 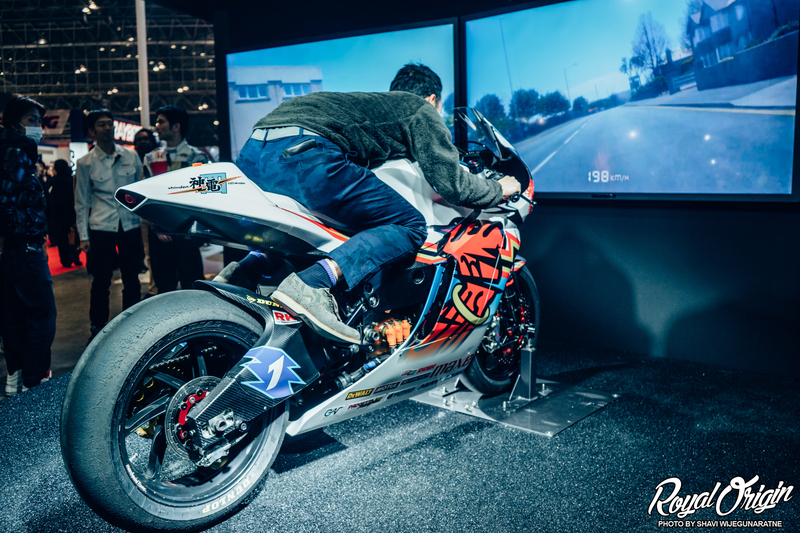 It is held at Makuhari Messe convention in Chiba, Japan, where they display the latest and greatest in Japanese performance and dress-up display. 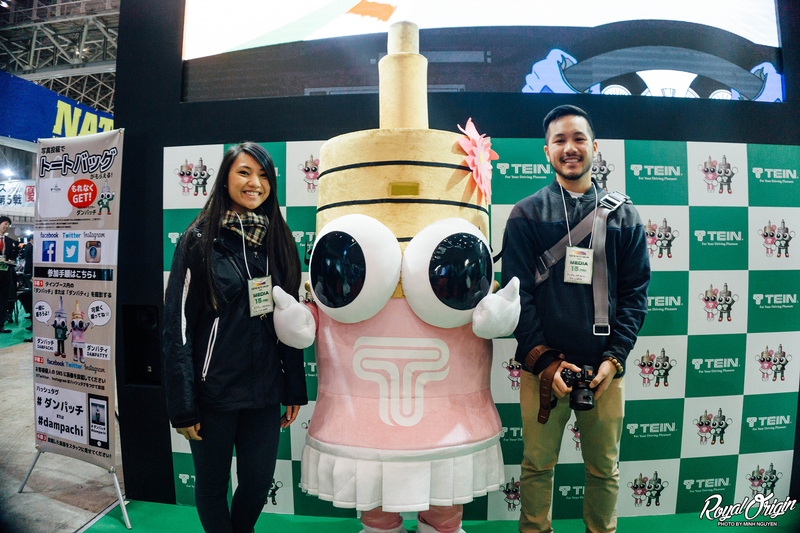 We started the year off by attending this world famous event, and we were definitely more than impressed. 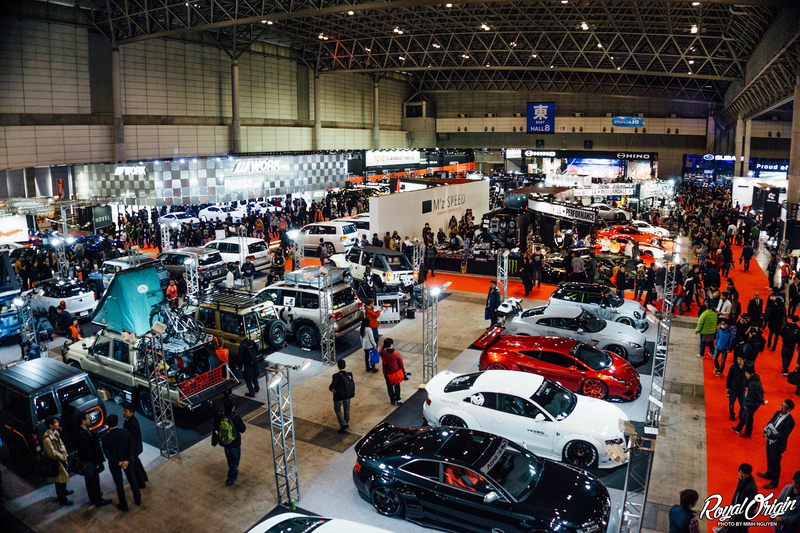 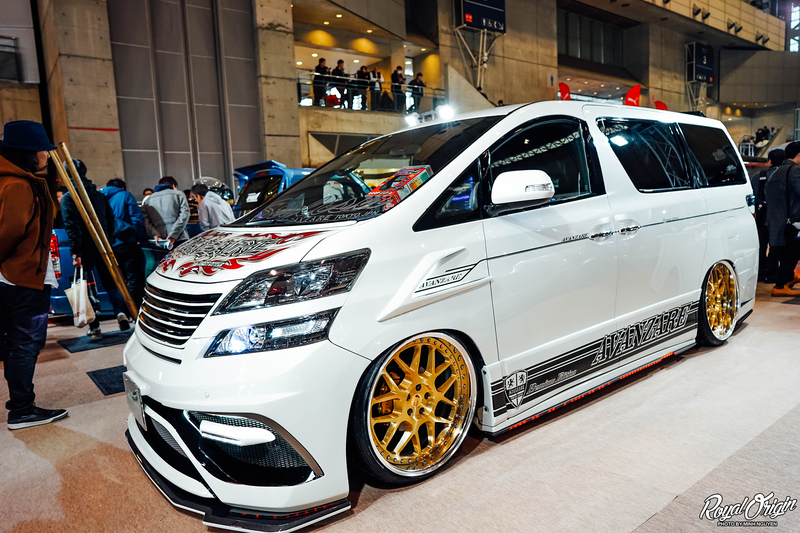 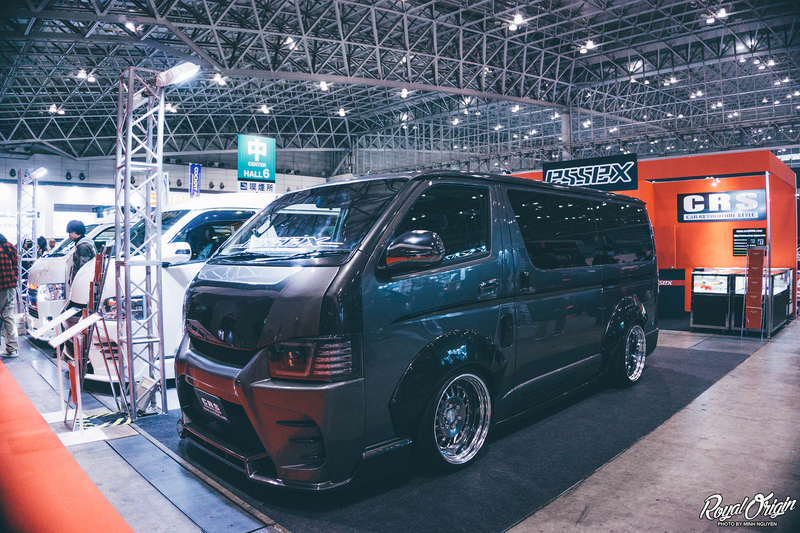 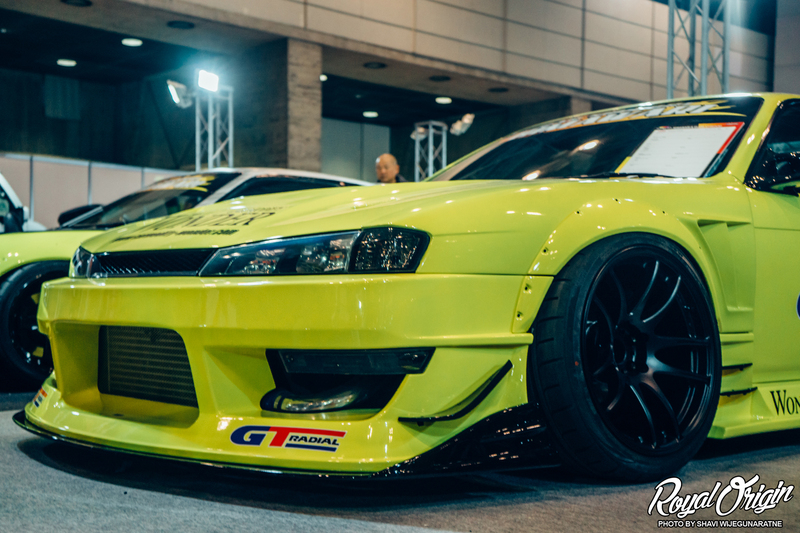 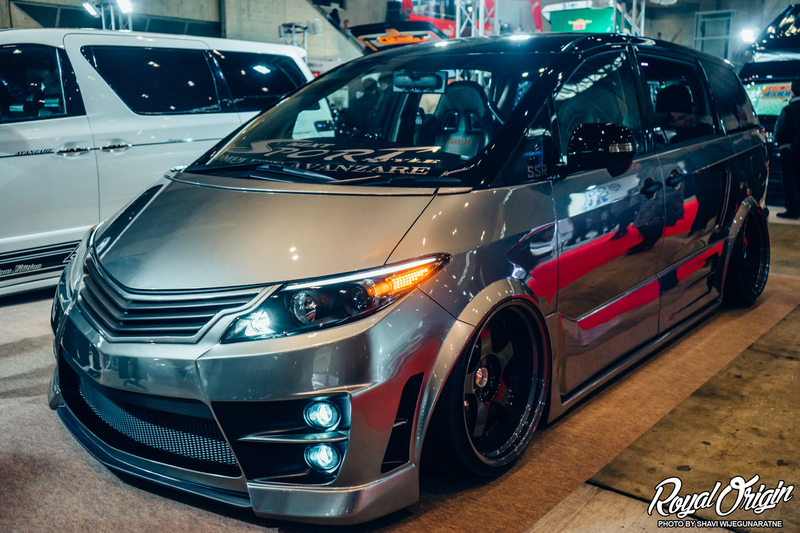 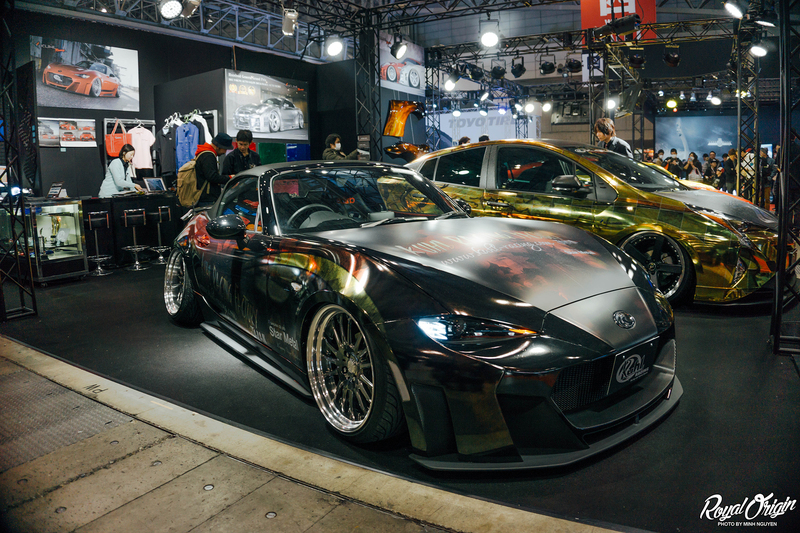 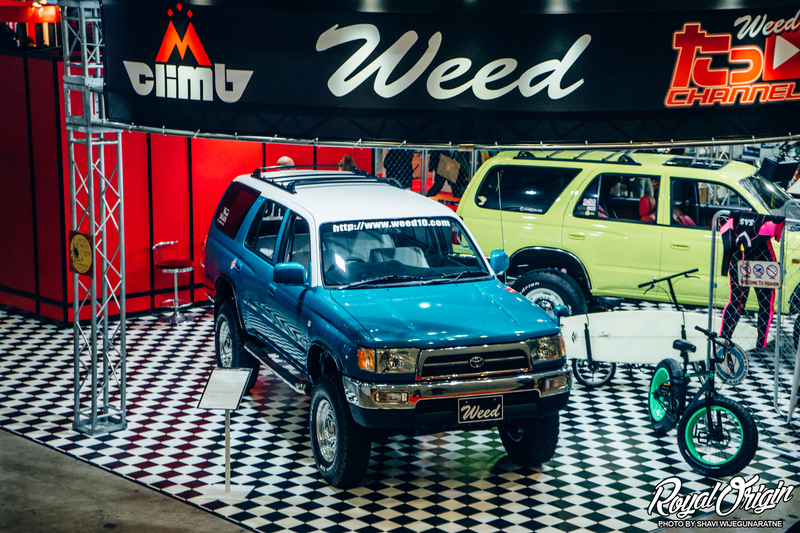 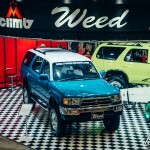 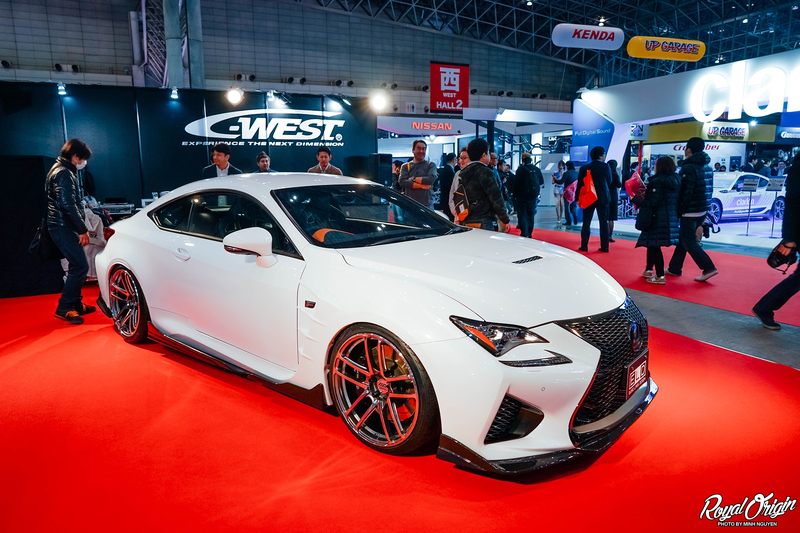 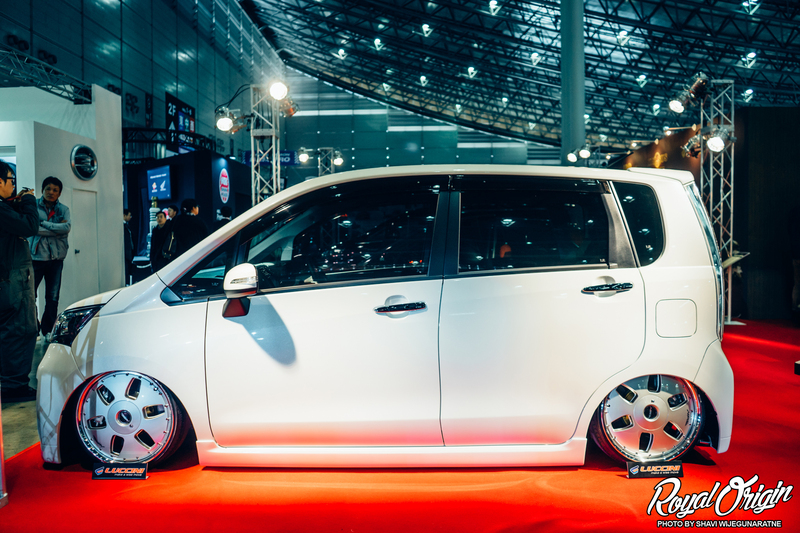 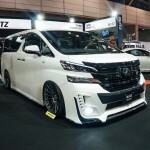 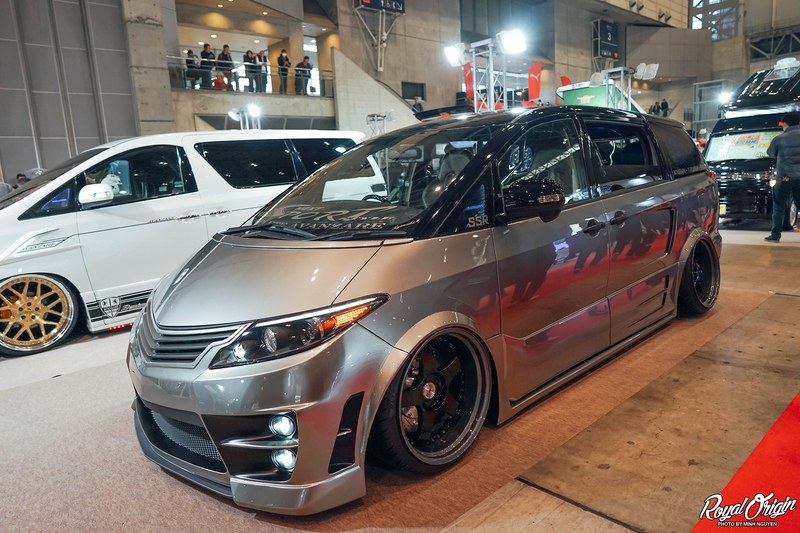 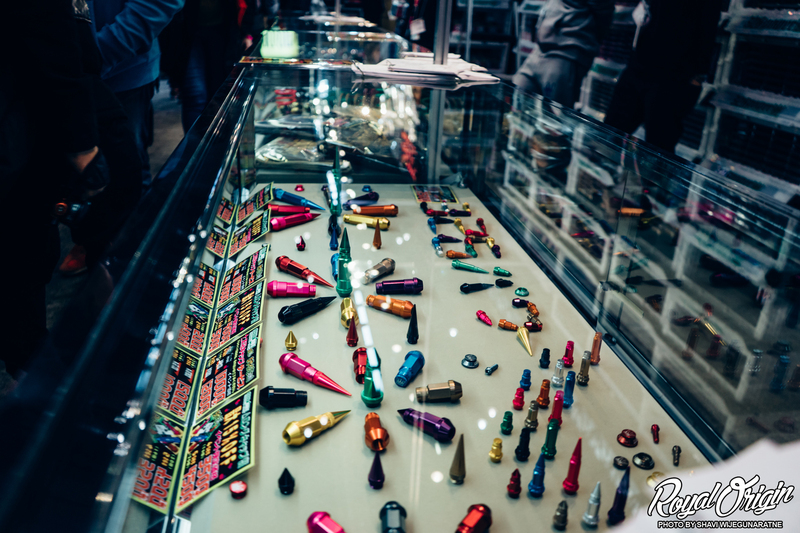 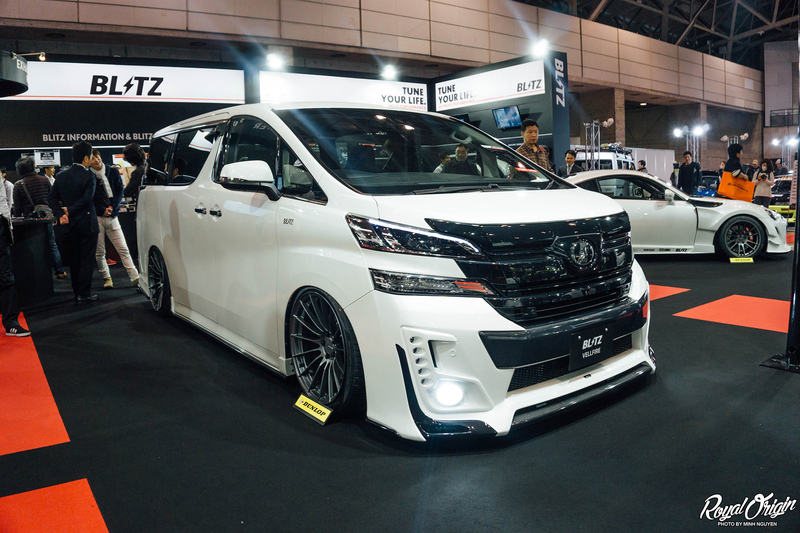 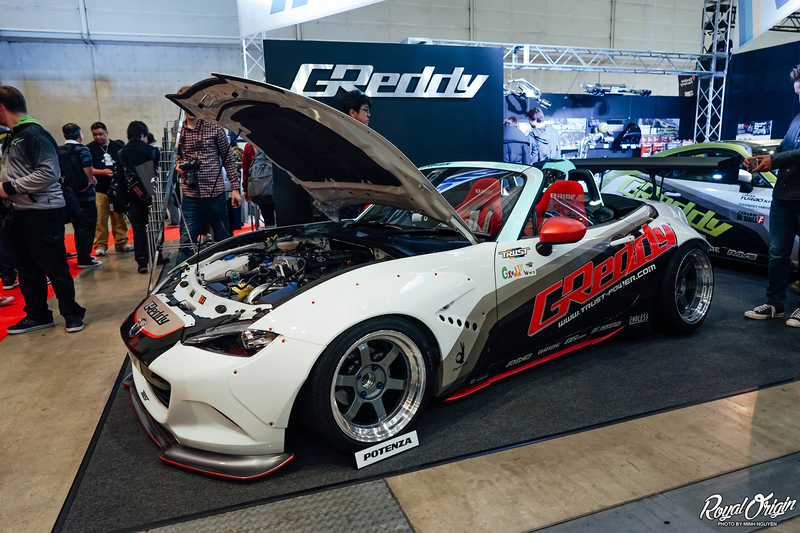 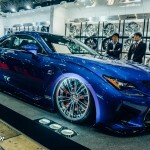 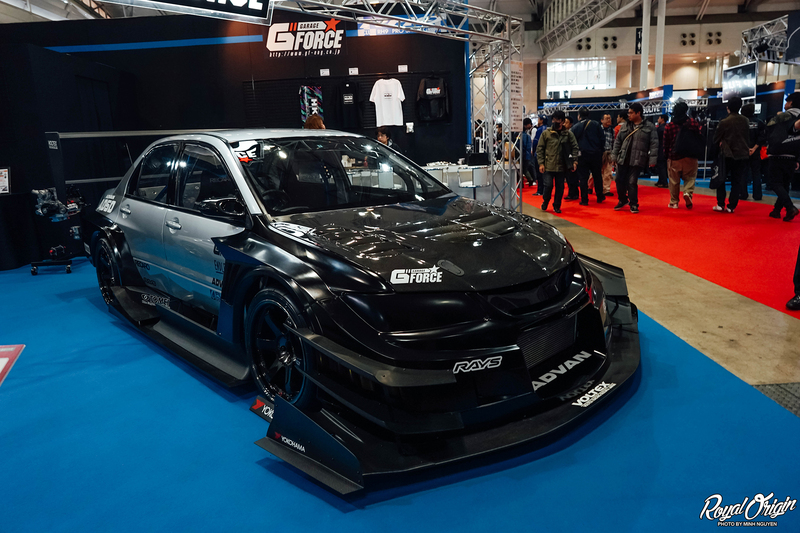 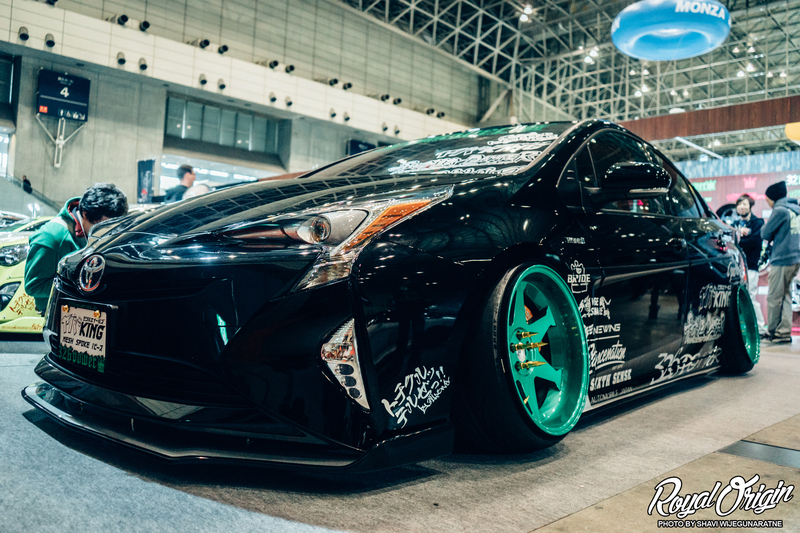 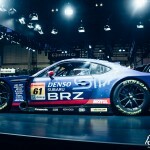 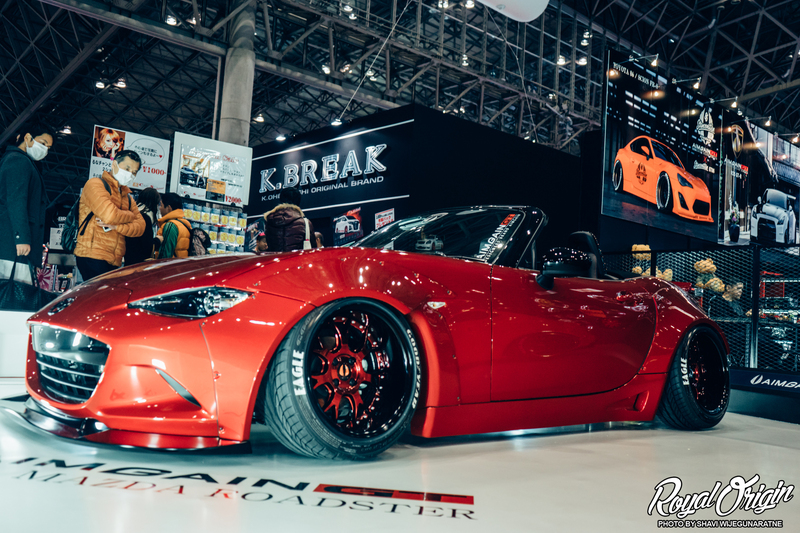 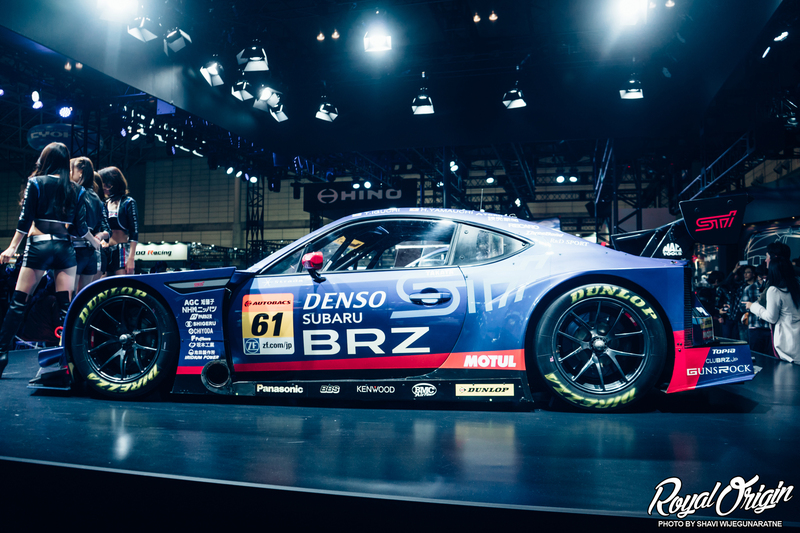 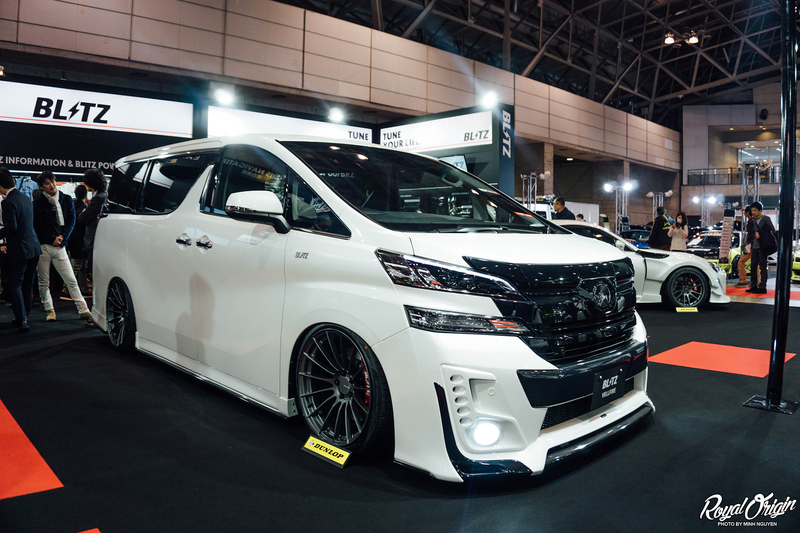 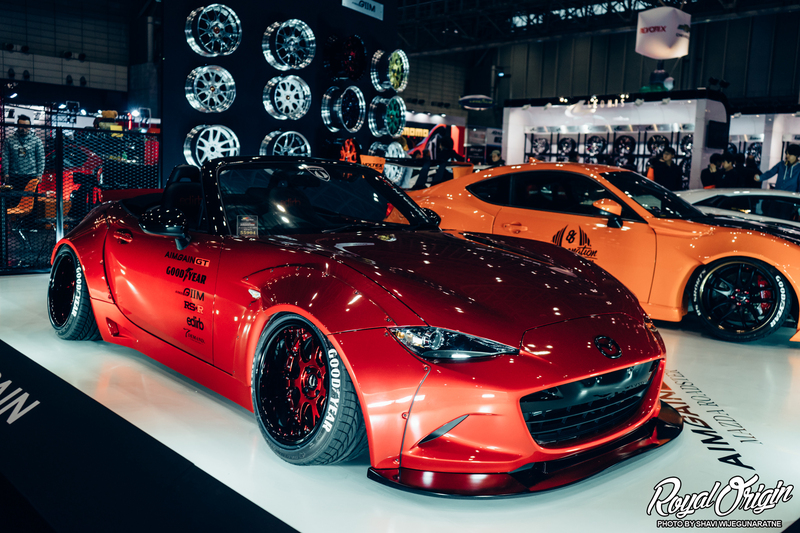 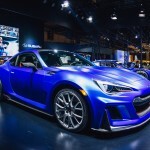 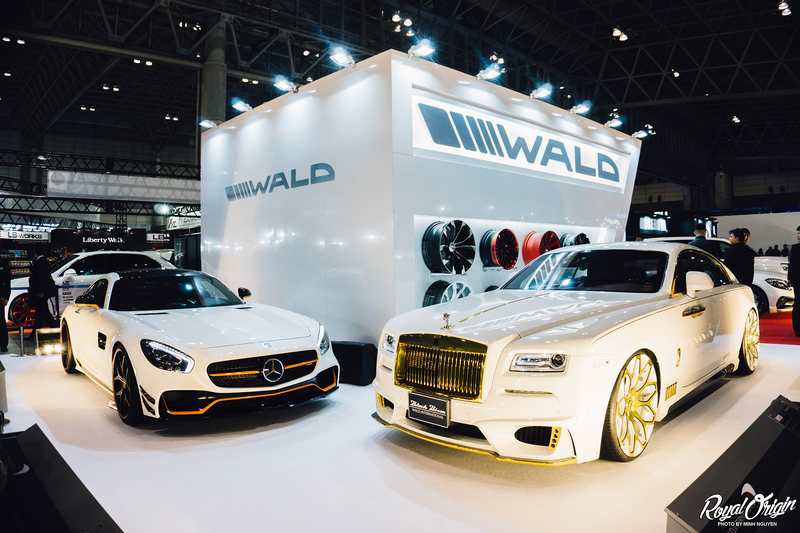 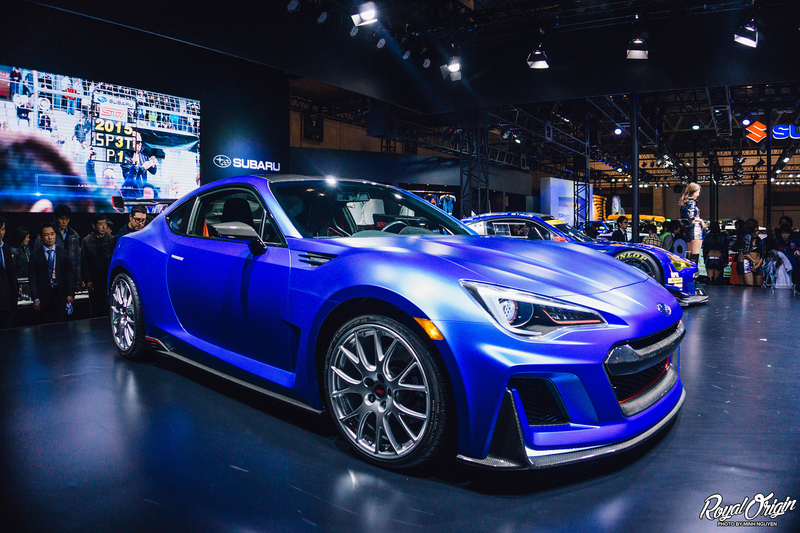 It is quite similar to our famous auto trade event, SEMA, in Las Vegas, Nevada; however, just imagine seeing the awesome Japanese styling just consistently throughout the entire event. 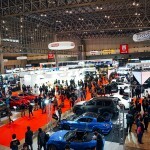 One of about 11 halls filling up fast with media, attendees, and those involved in the Japanese automotive industry. 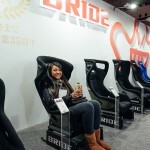 Over at Rush Motorsports we spotted a familiar face, Sara Choi. 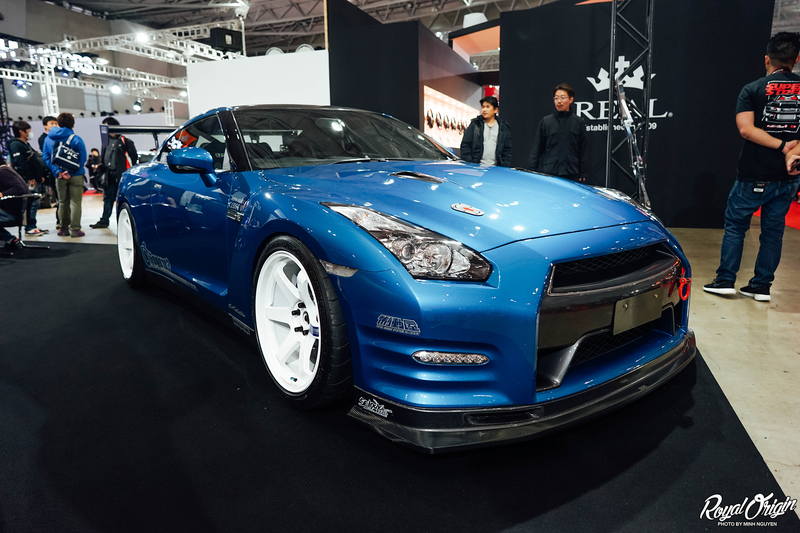 Nissan GT-R R35 on Mikado Hayabusa wheels. 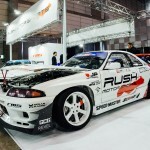 Rush Motorsports Nissan Skyline GT-R R33 on Mikado Hayabusa wheels. 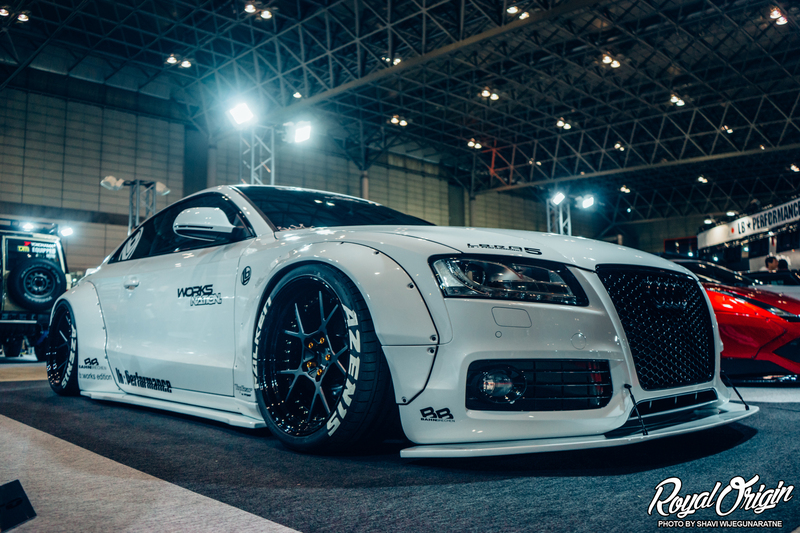 Forgiato x Liberty Walk Audi R8. 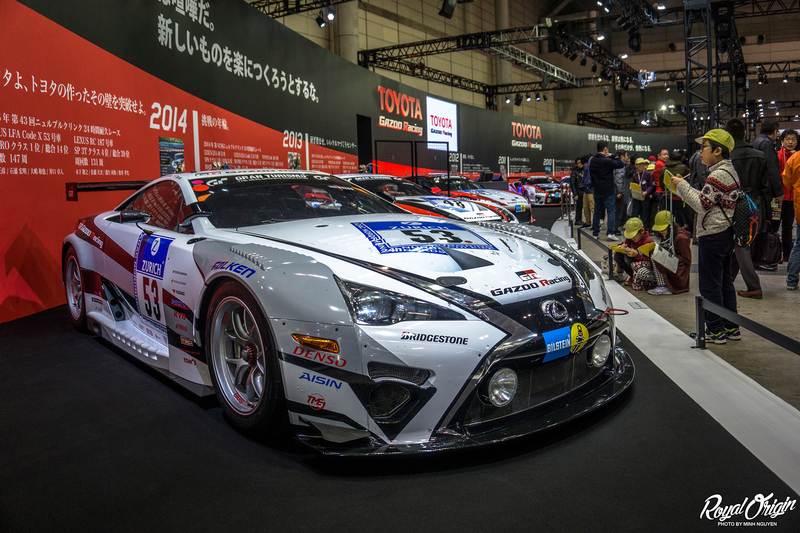 Over at the Toyota Gazoo Racing booth you have school kids taking notes, and learning a thing or two about the history of Toyota Gazoo Racing. 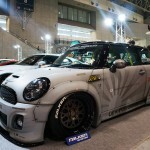 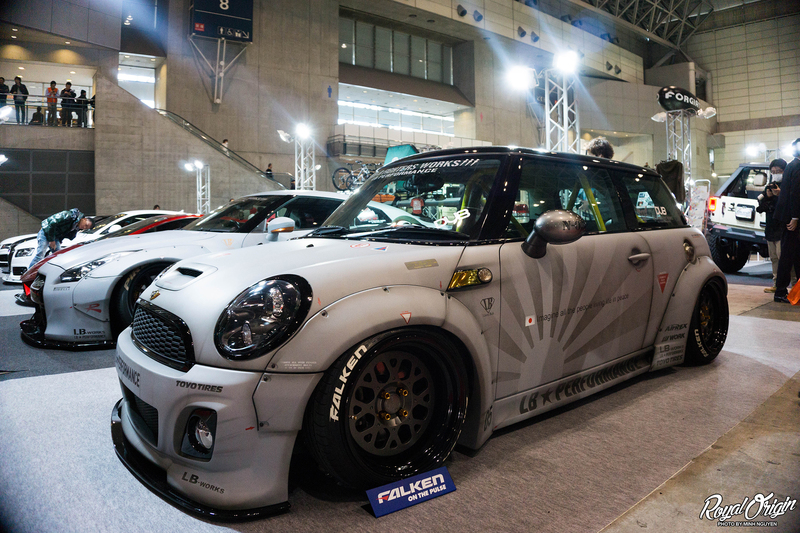 Liberty Walk Mini Cooper R56. 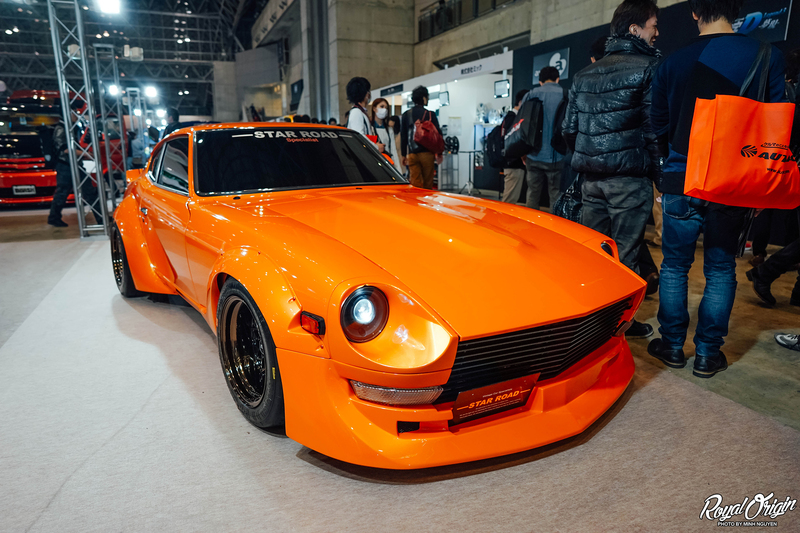 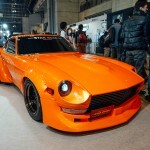 Liberty Walk Nissan Fairlady Z S30. 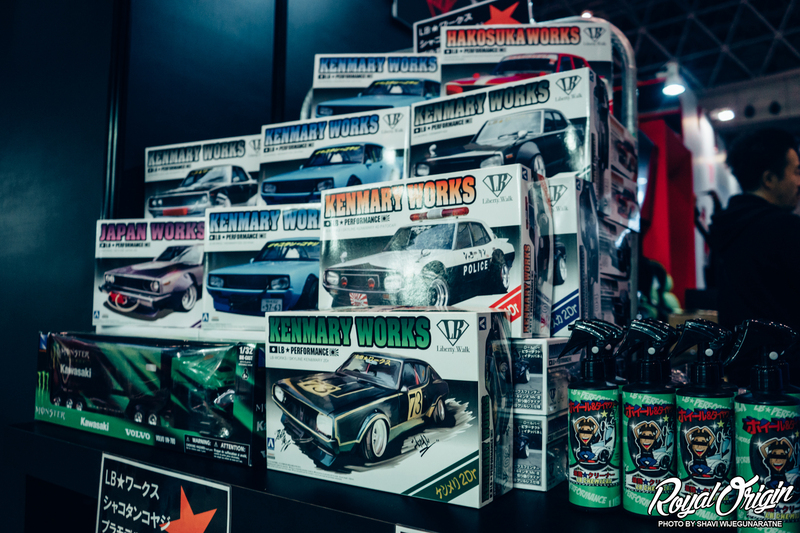 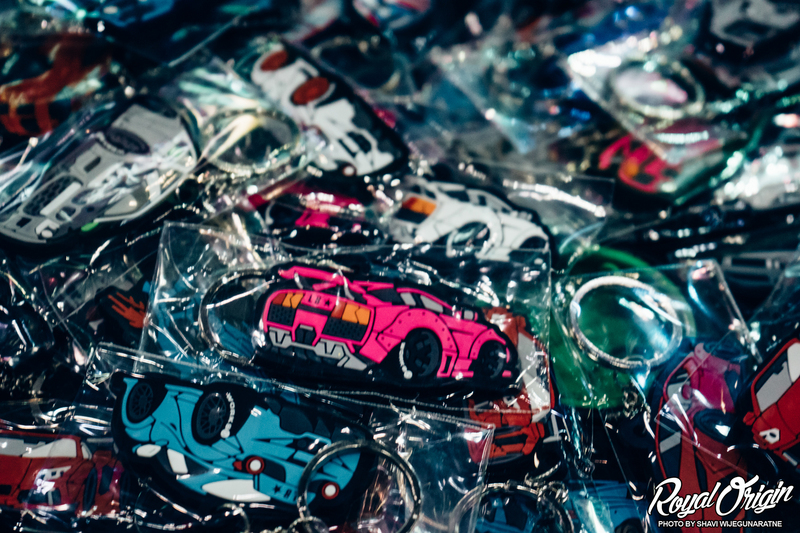 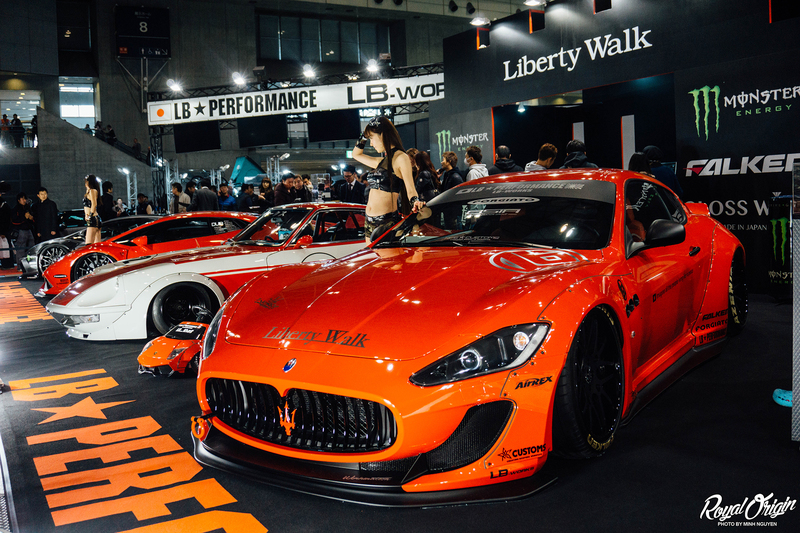 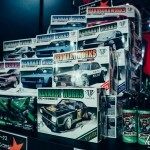 Bunch of Liberty Walk merchandise everywhere. 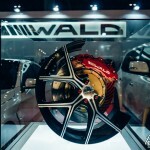 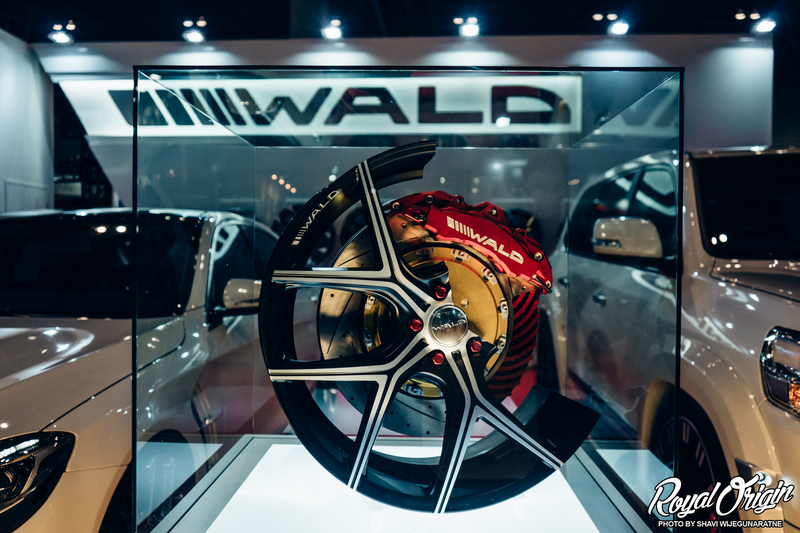 WALD displaying the latest wheel and brake products. 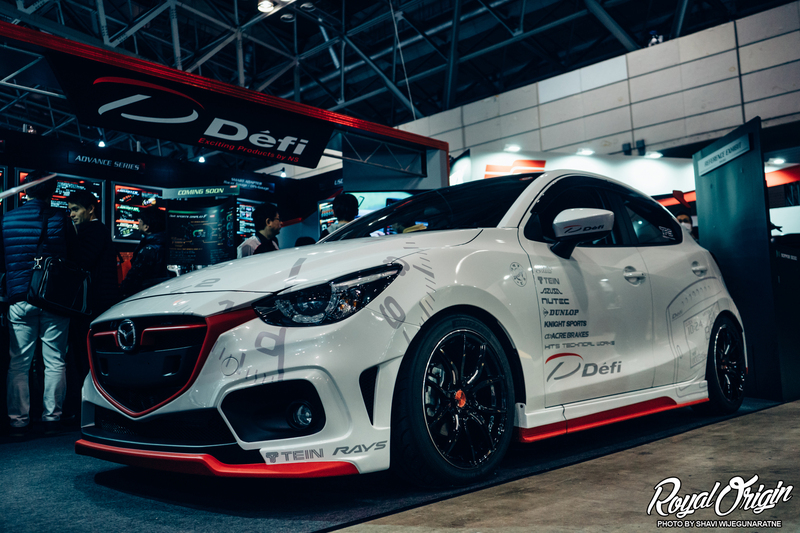 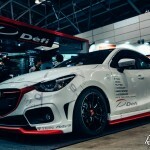 Defi showing off the latest for the newest Mazda 2 Demio. 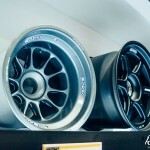 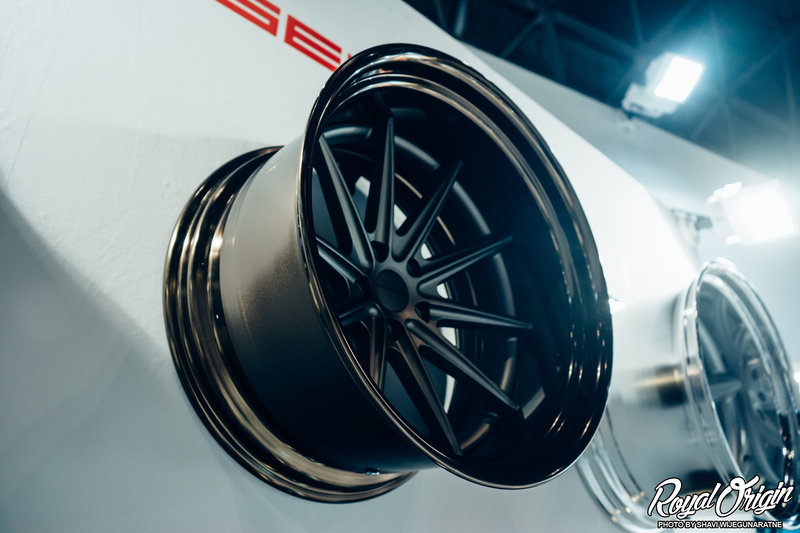 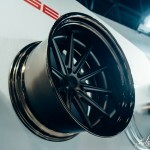 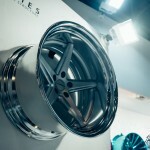 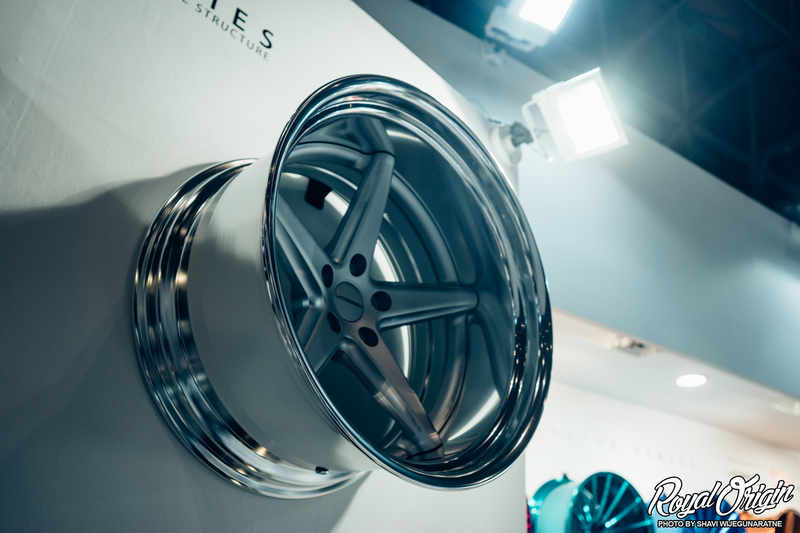 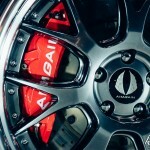 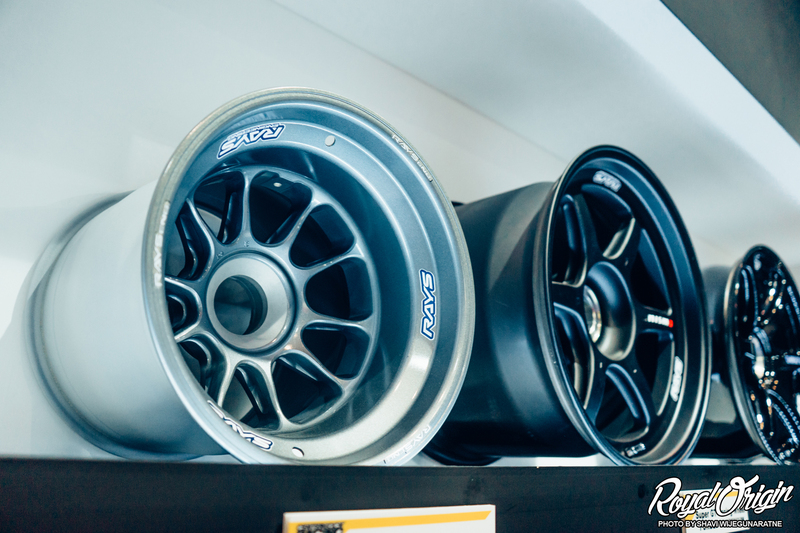 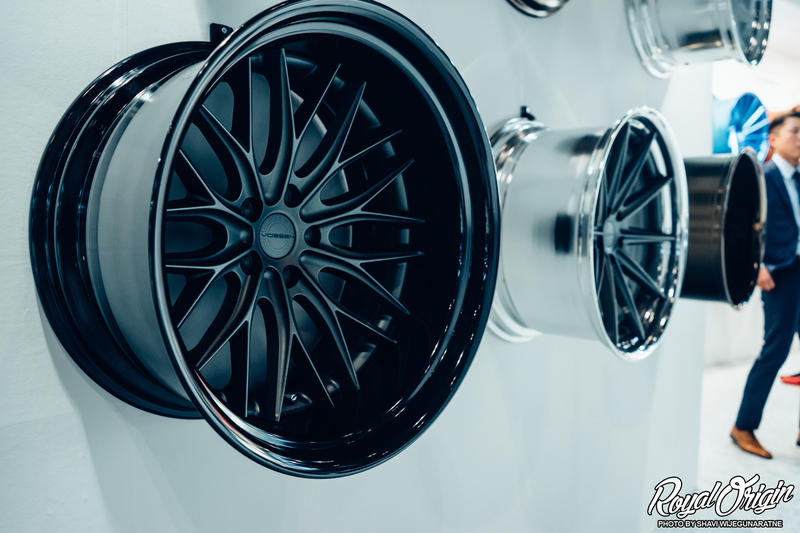 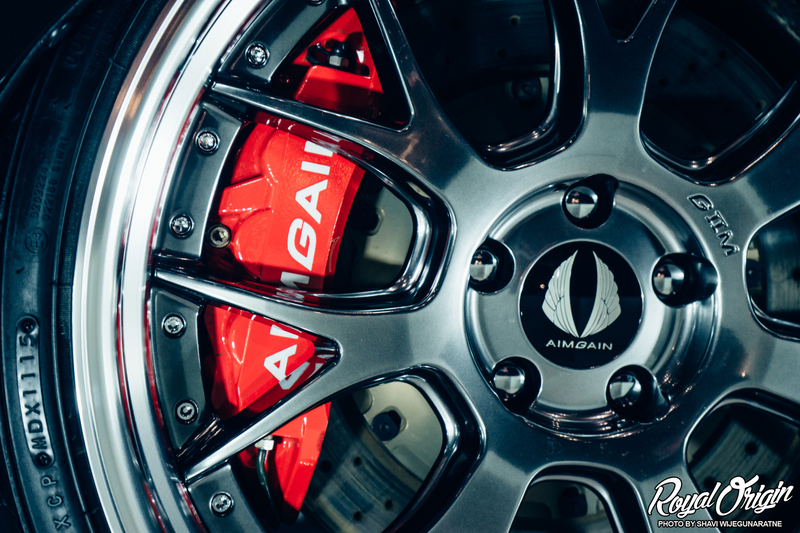 The latest from Vossen x Work. 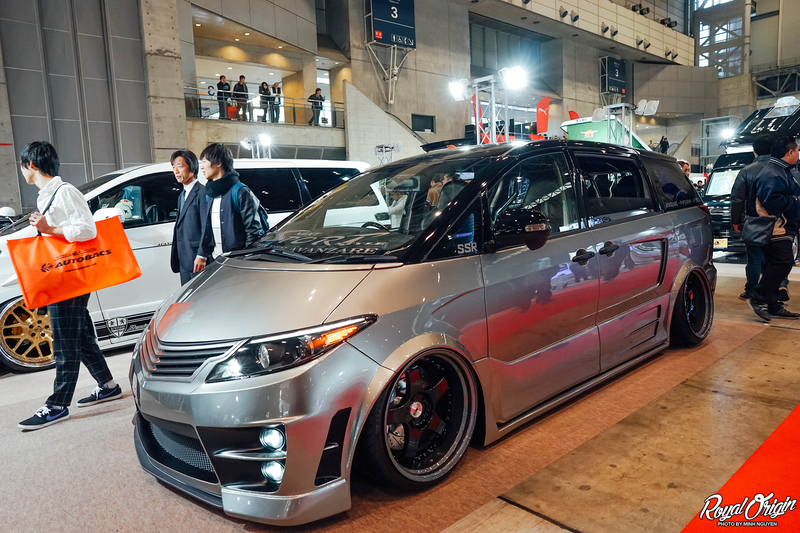 This VW has a mixture of USDM and JDM styling. 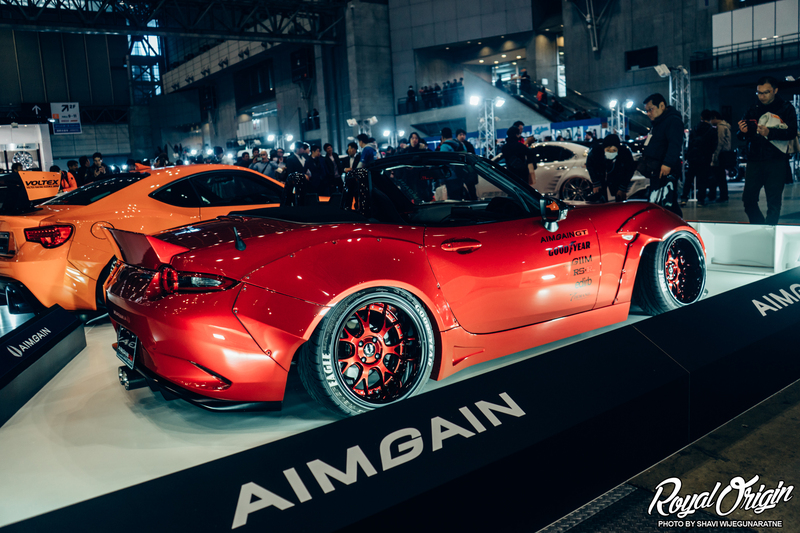 The AIMGAIN ND Miata. 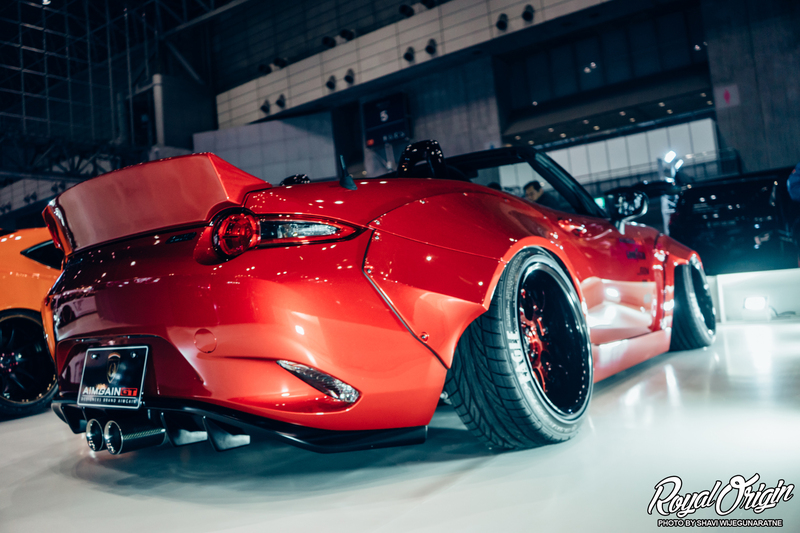 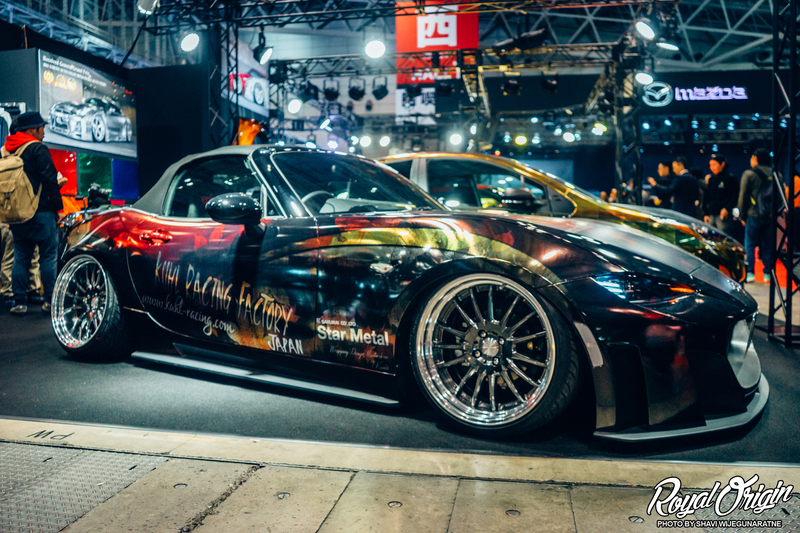 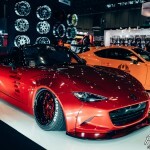 One of the nicest ND builds of Tokyo Auto Salon. 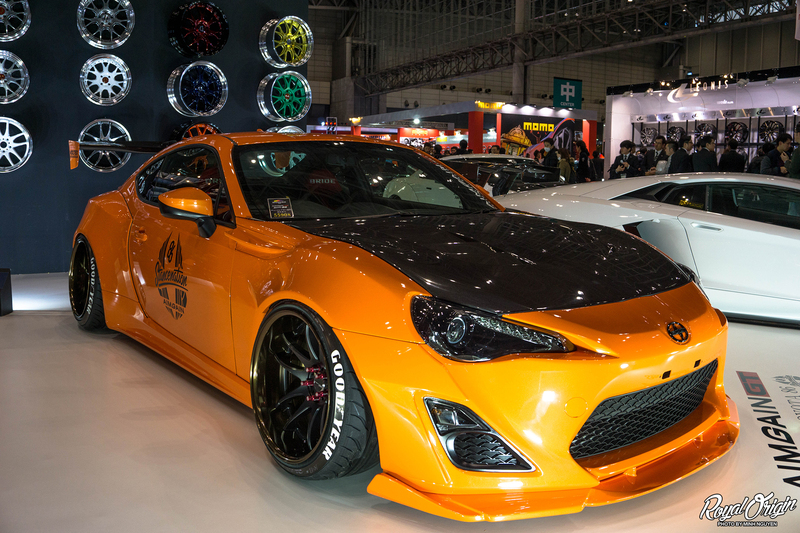 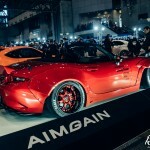 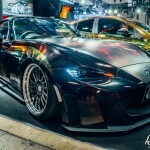 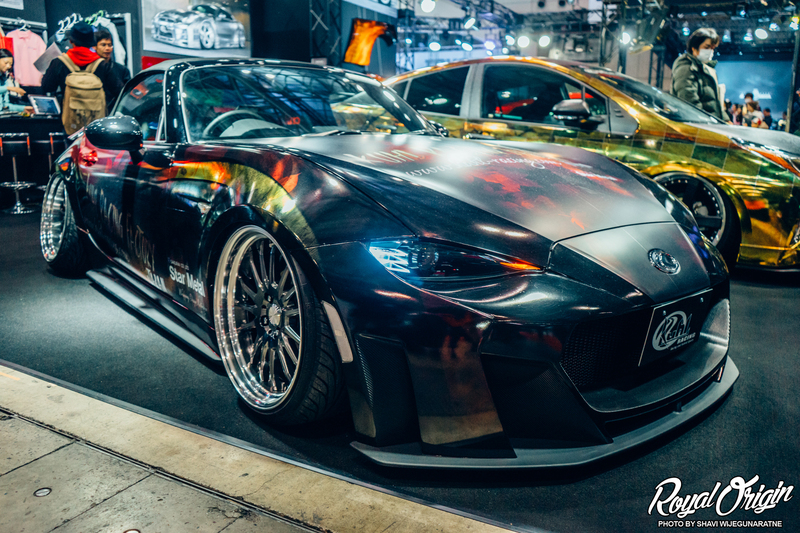 The AIMGAIN X STANCENATION Toyota FRS. 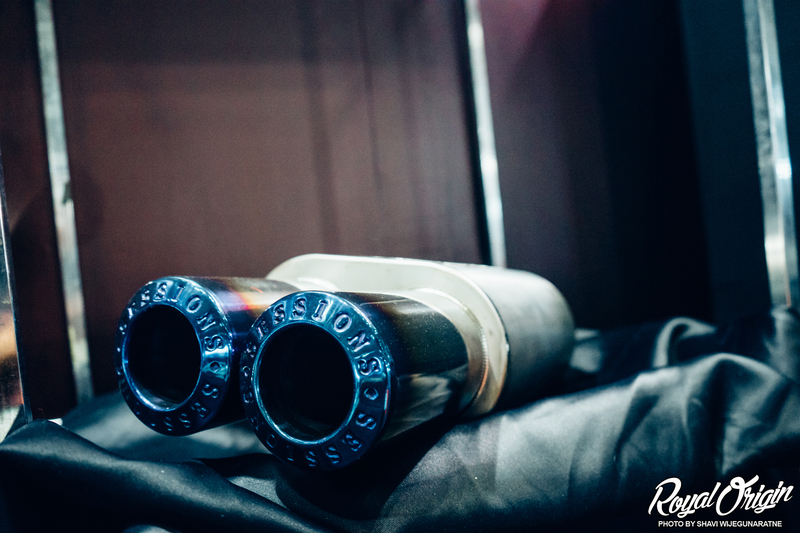 As you can see this version of the kit includes no rivets at all. 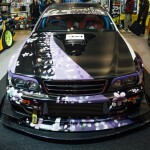 One of a few simulators around TAS. 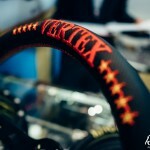 Vertex was in the house. 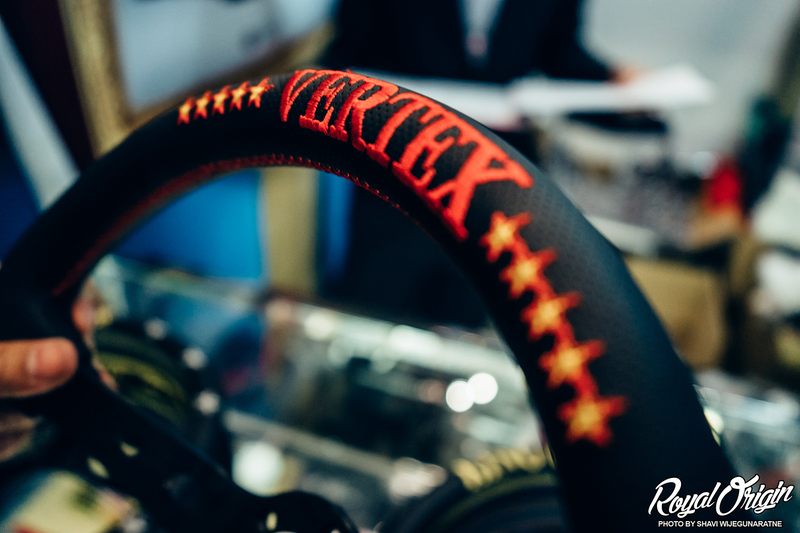 Quality steering wheels. 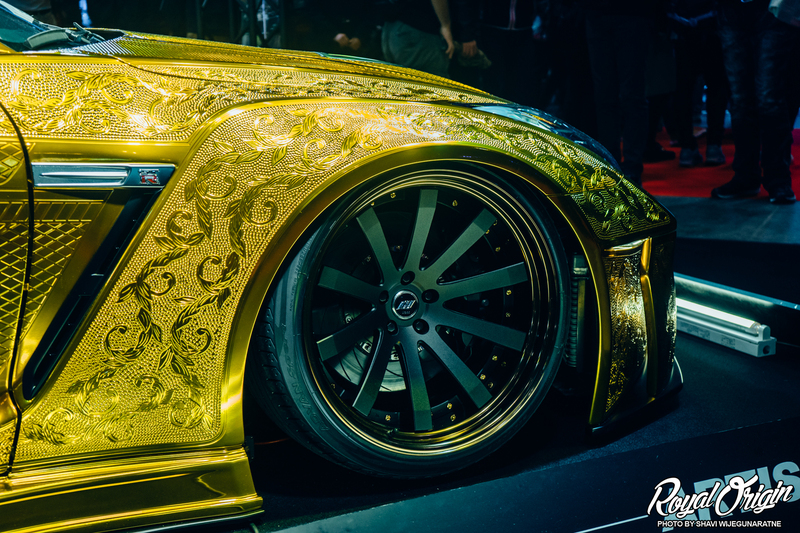 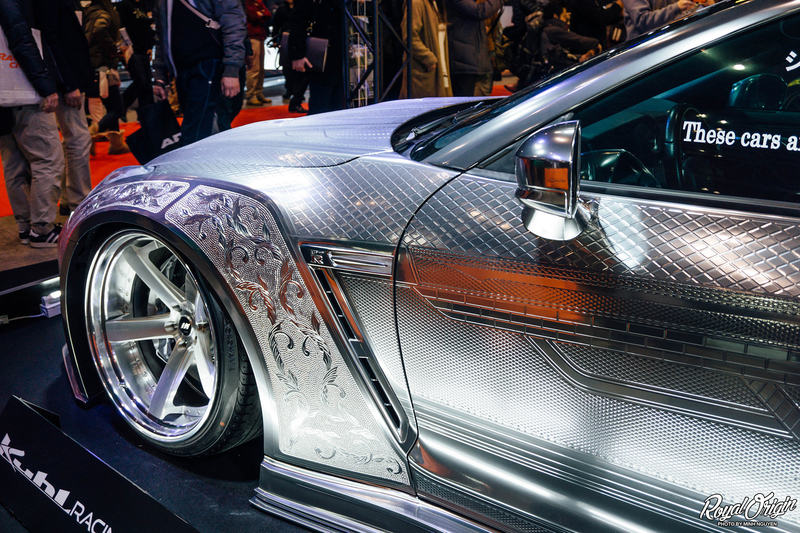 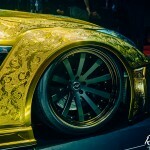 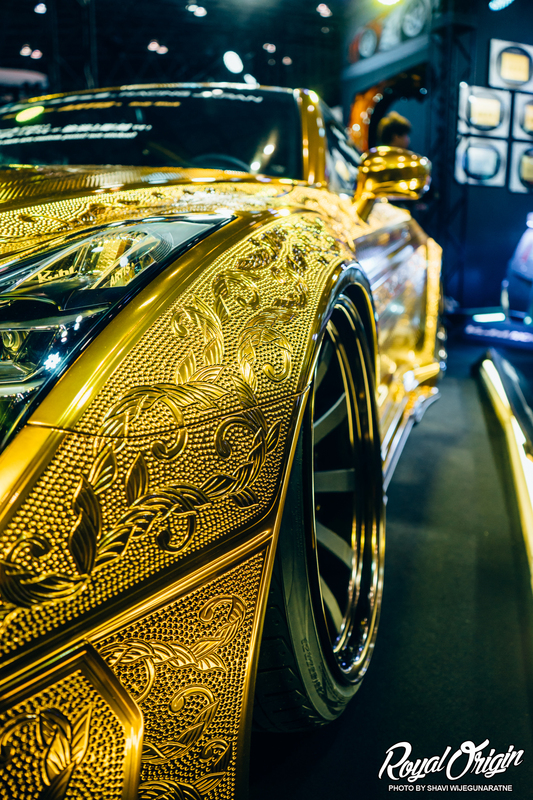 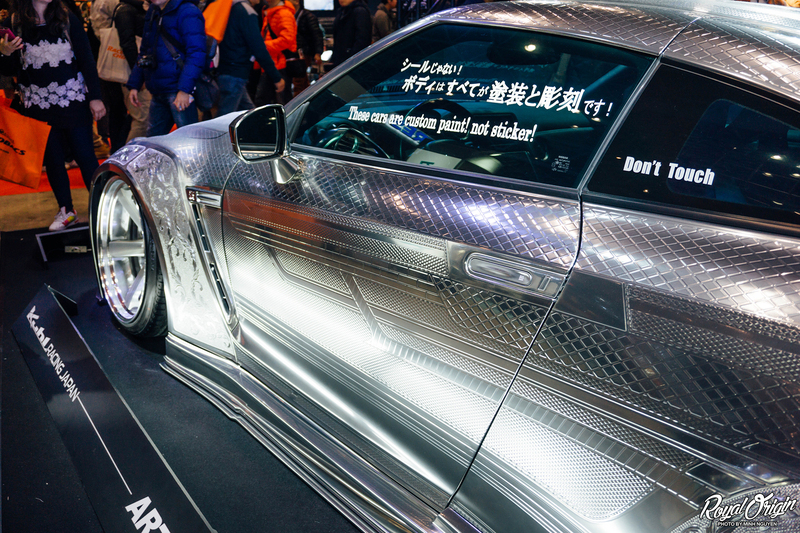 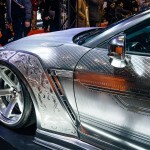 These two Nissan GT-R showcasing truly beautiful hand-crafted paint work. 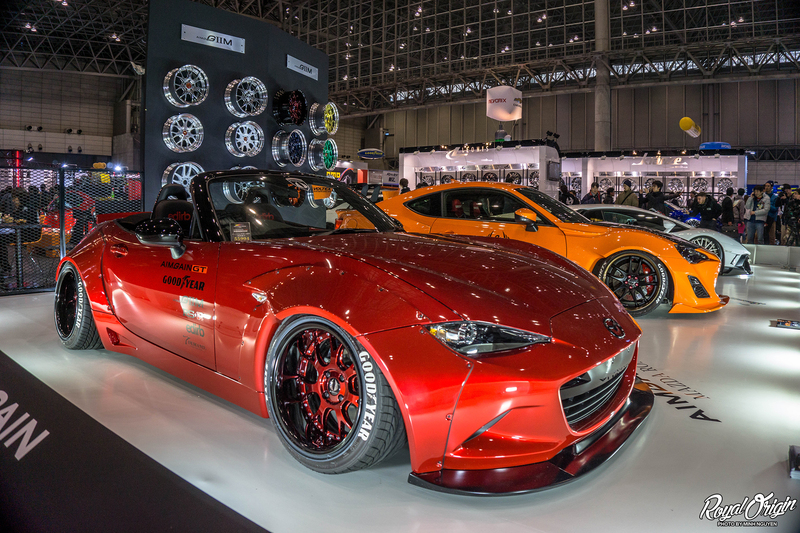 The Kuhl Racing ND Miata. 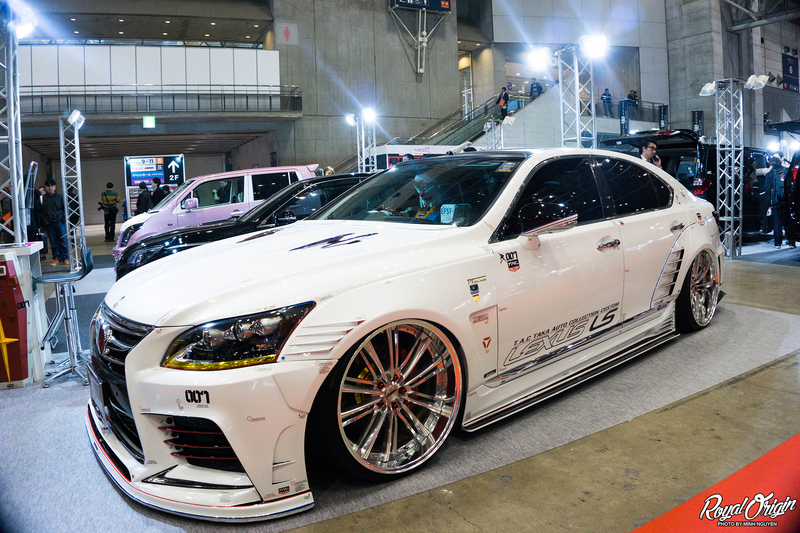 Y33 Cima tucking ridiculously all around with butterfly doors. 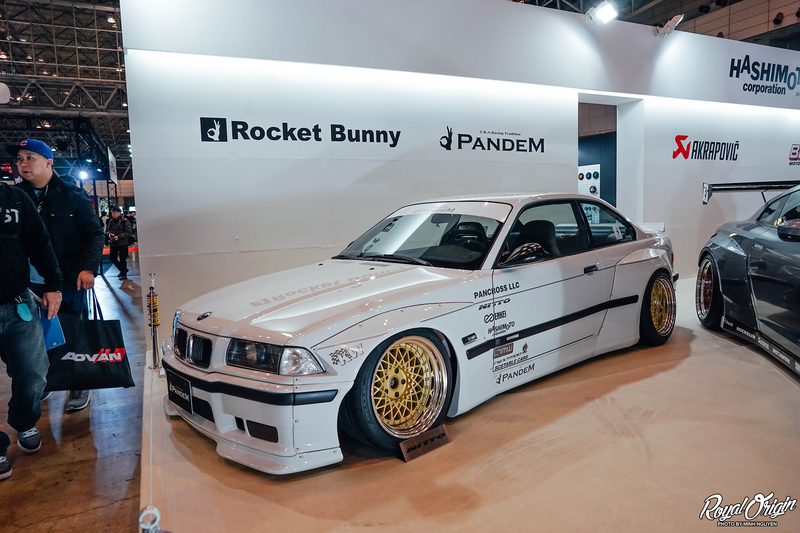 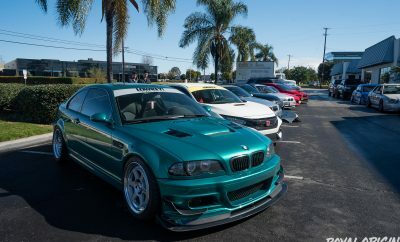 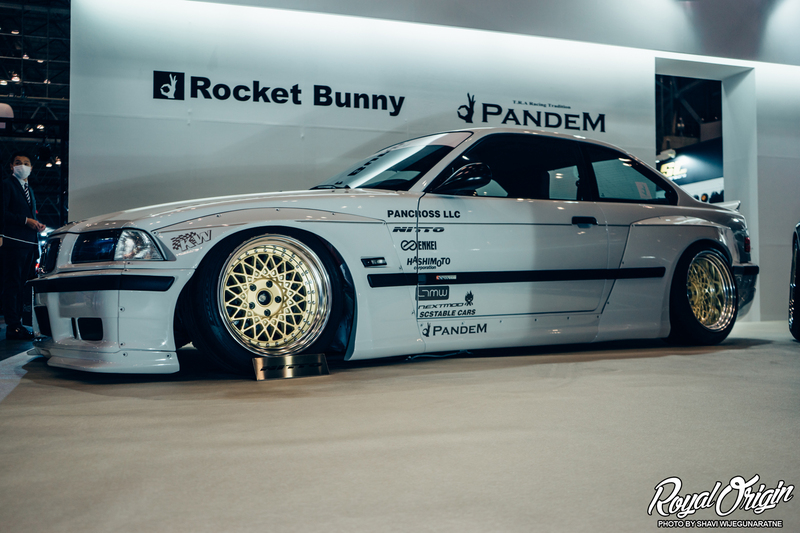 Pandem Rocket Bunny E36 M3. 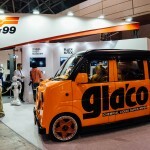 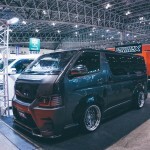 Microvans and K-cars were amazing. 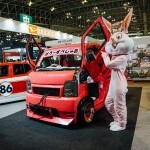 Something you definitely do not see in the US. 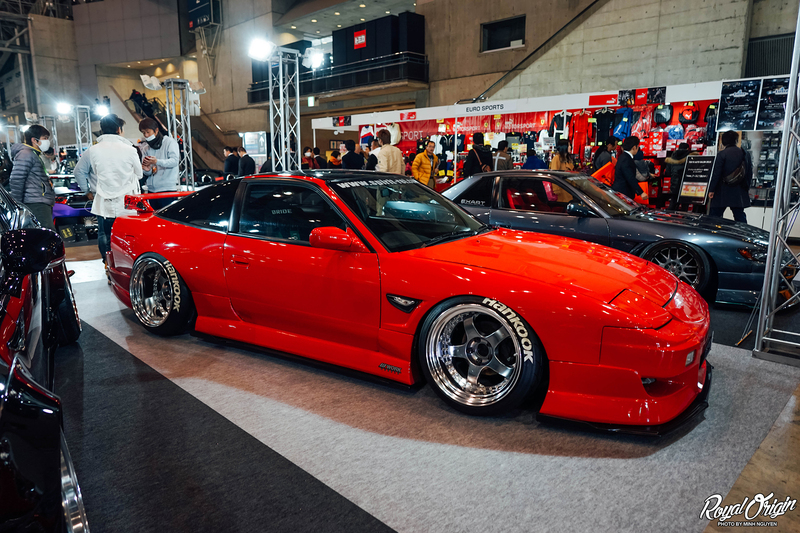 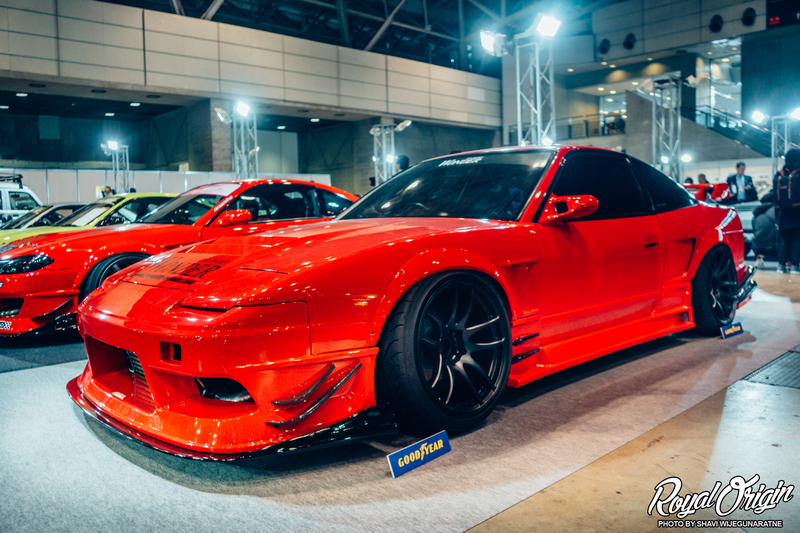 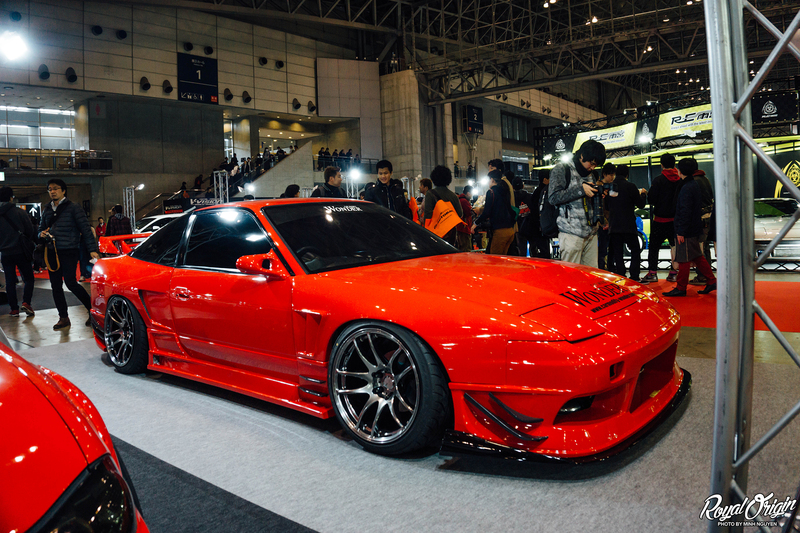 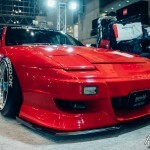 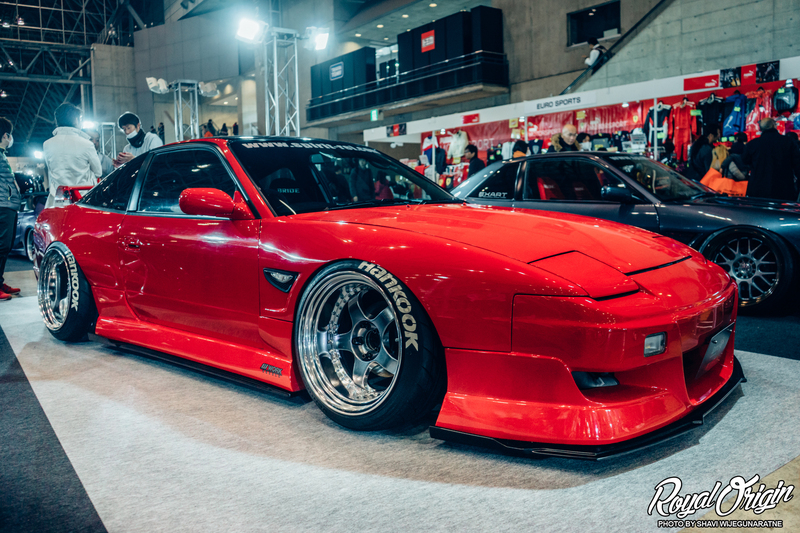 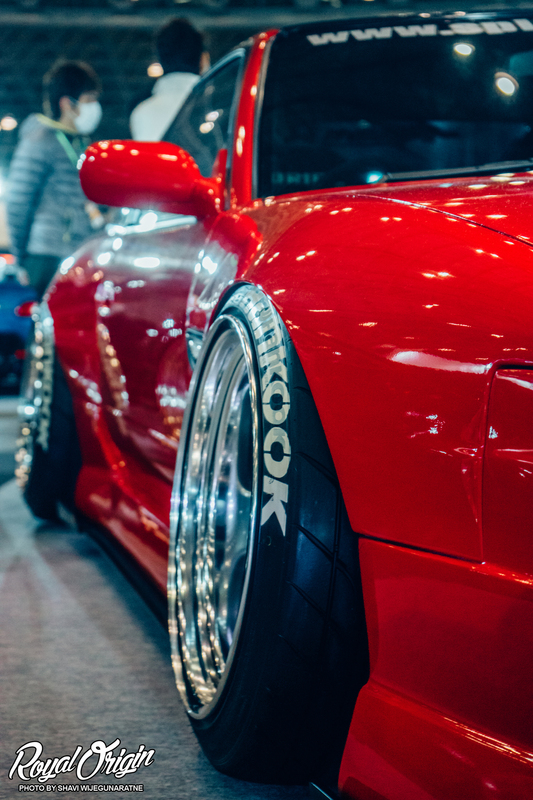 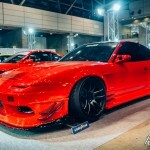 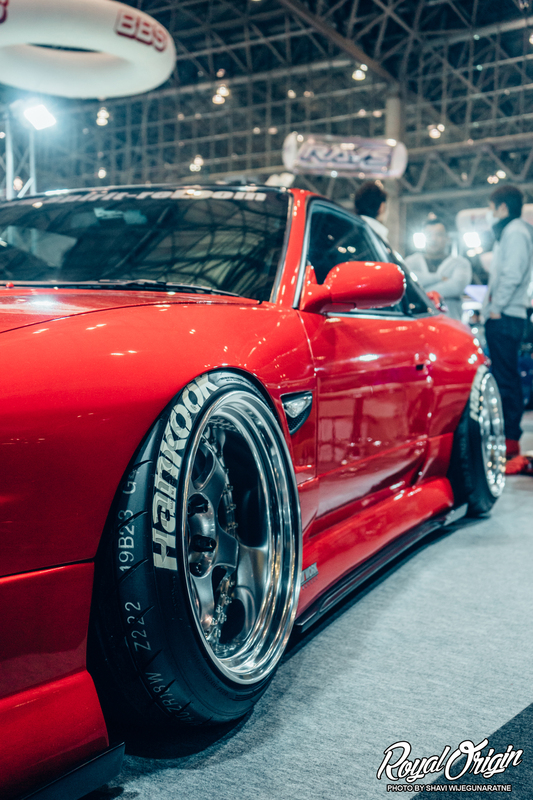 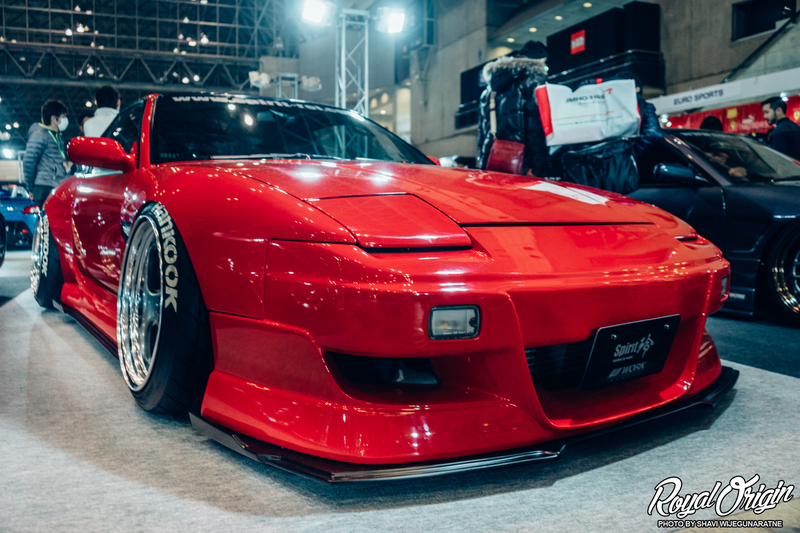 Probably our favorite build of Tokyo Auto Salon was this red Spirit Rei 180sx. 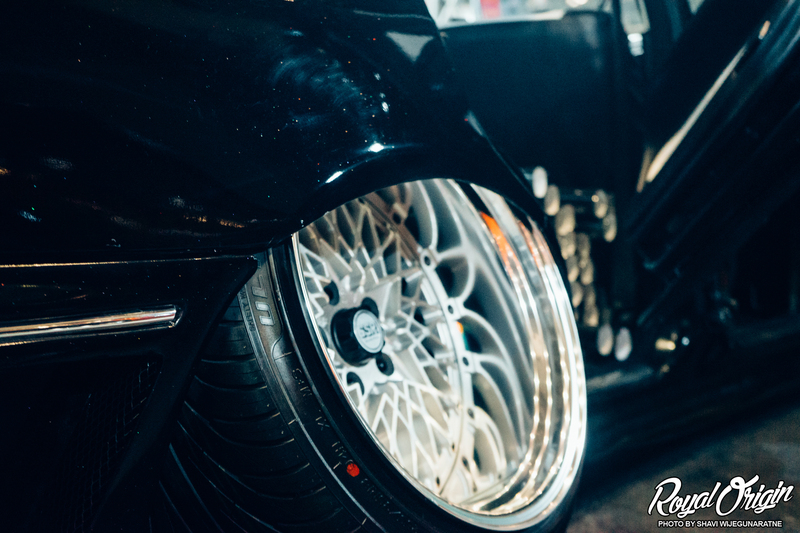 The fitment and everything was on point. 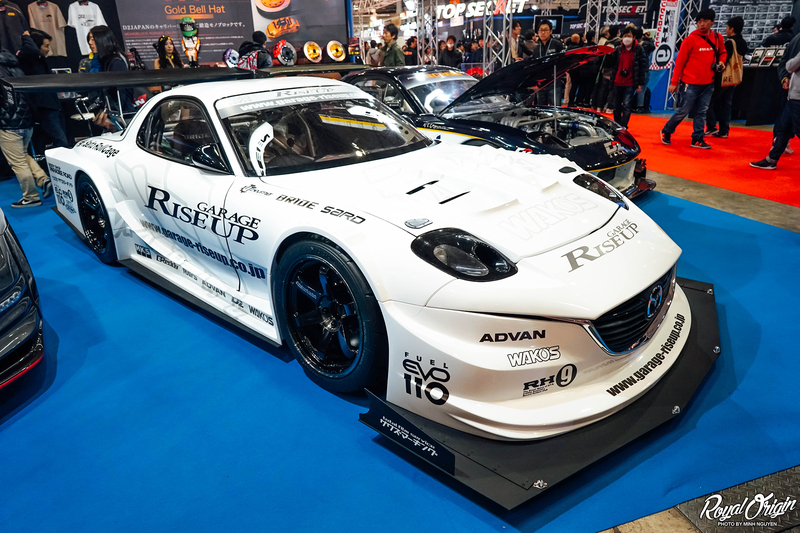 Garage RiseUP FD3S RX-7 bringing an update to the whole FD front end. 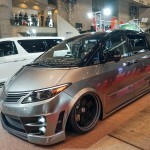 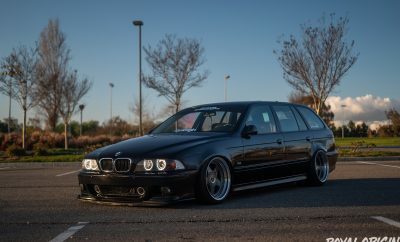 Car Modify Wonder; loved them all. 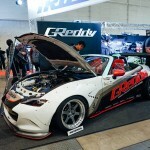 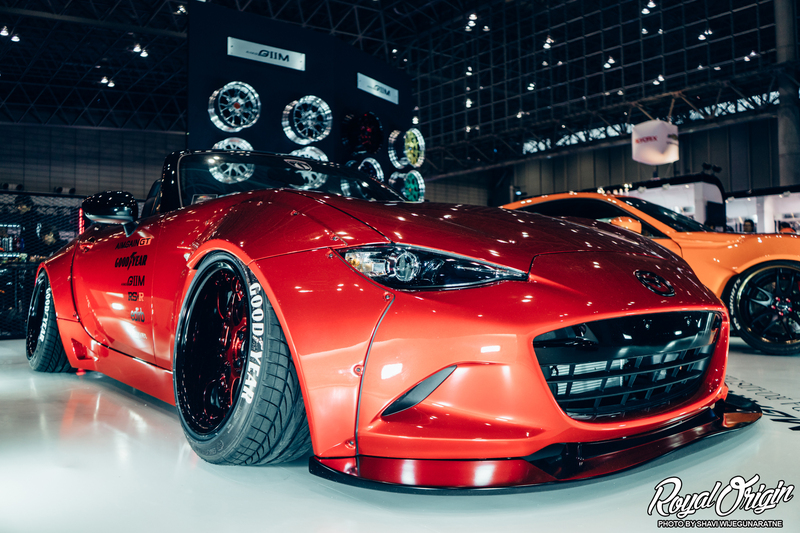 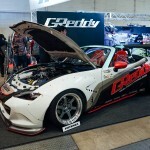 Greddy Rocket Bunny ND Miata. 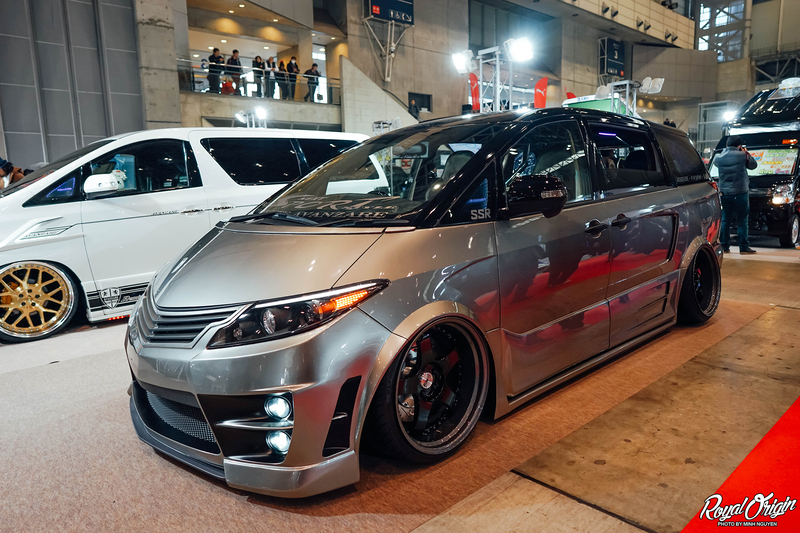 Another over fender build. 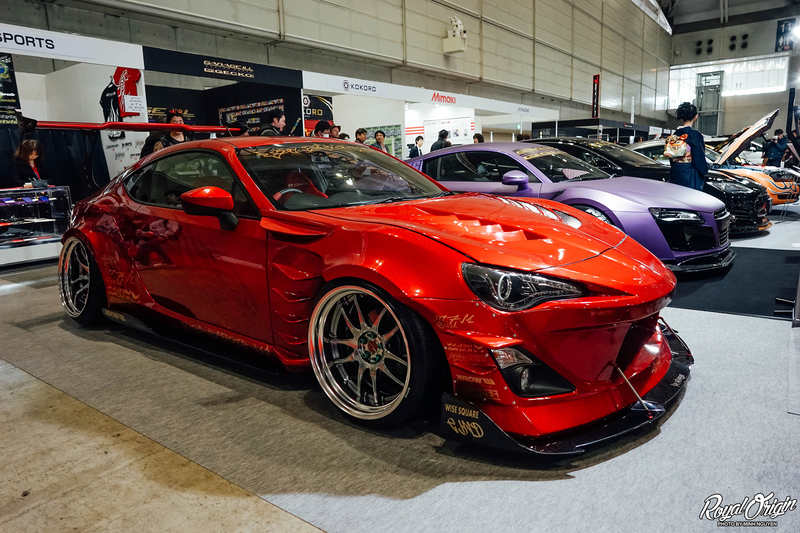 BN SPORTS kitted Toyota 86. 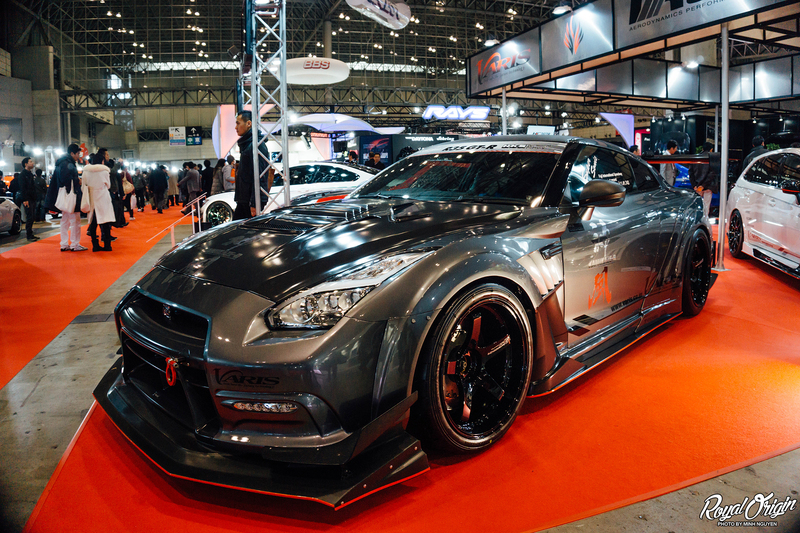 COCKPIT TATEBAYASHI Nissan Skyline GT-R.
We highly recommend anyone that is able to head out to Japan to give Tokyo Auto Salon a look, because you surely will be impressed by nearly every car. 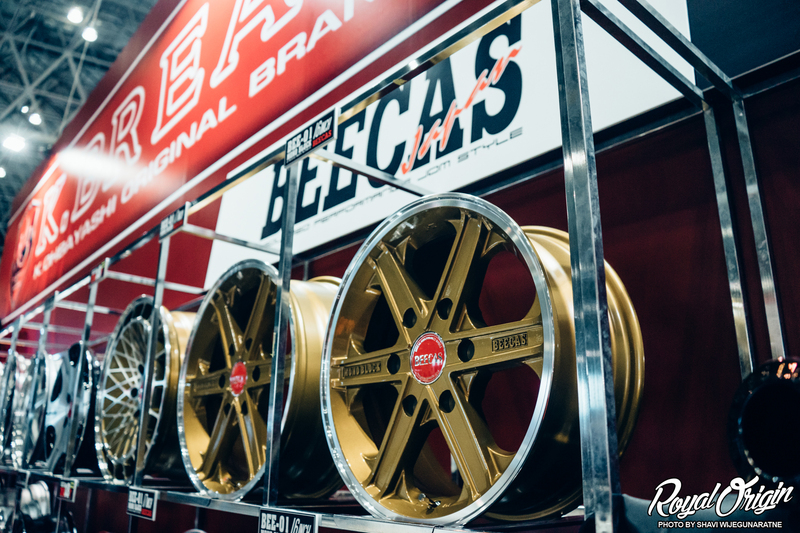 And if you do, be sure to bring a long a good amount of money, because there are ridiculous deals on car parts for cheapy cheaps. 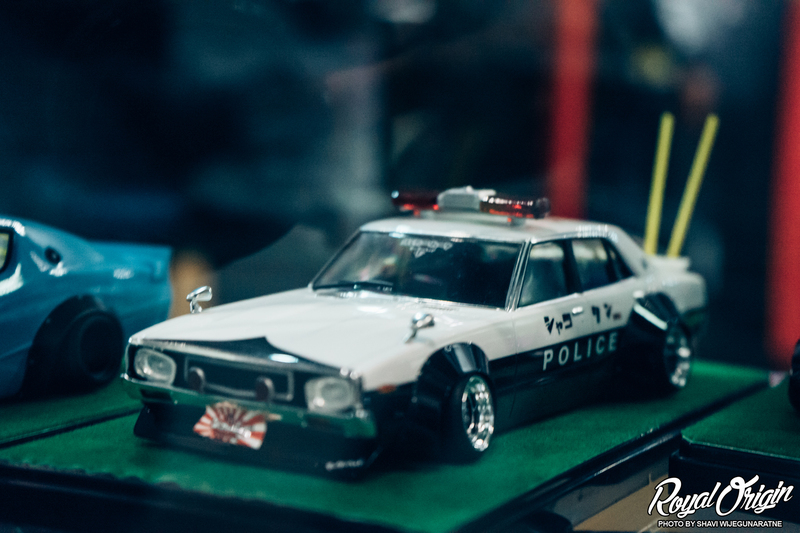 Photos by @shaviw and @nguminh. 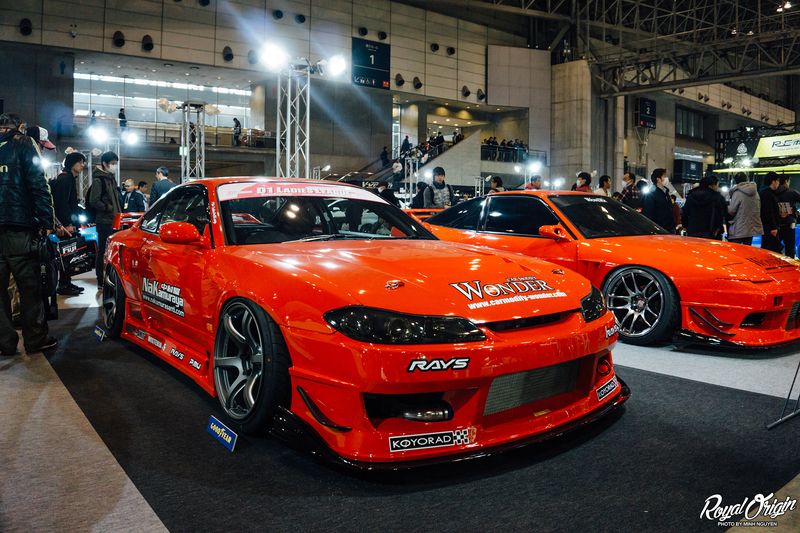 Please check watermark to give credit to the correct photographer.